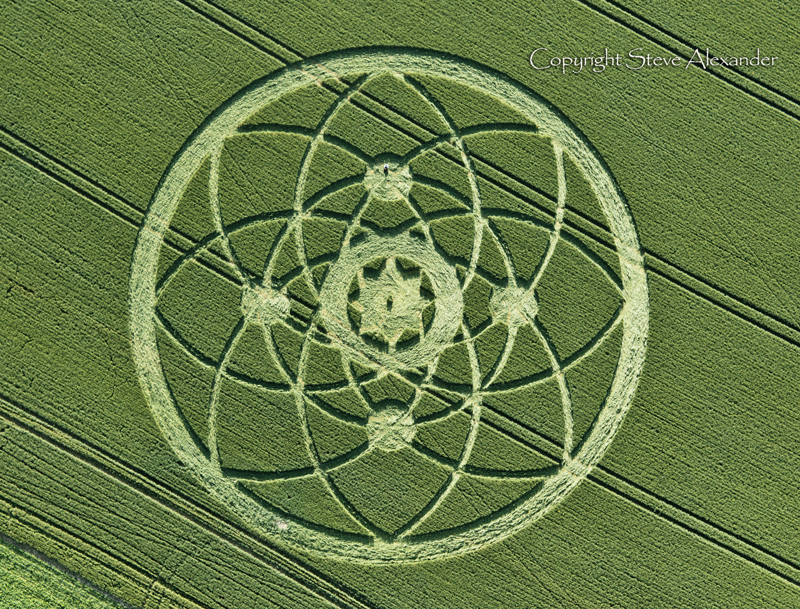 2013 was a year of transition, change and recalibration. 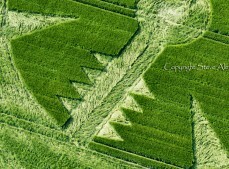 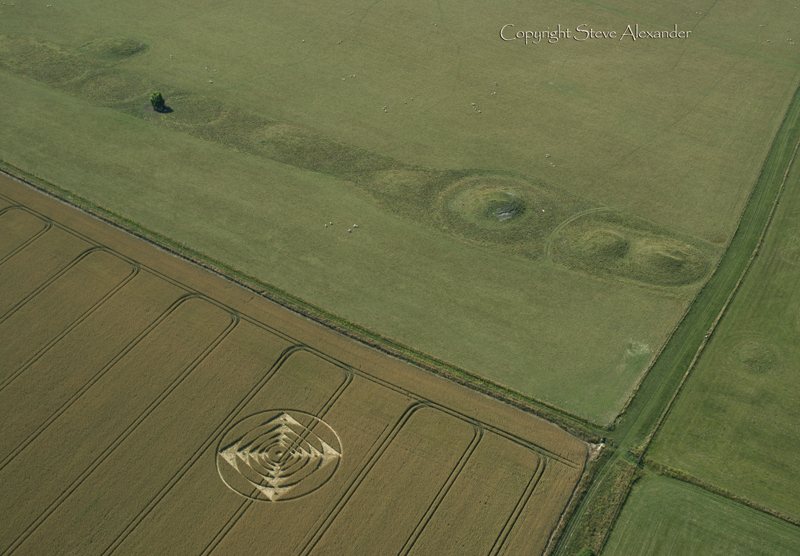 Several formations seem to point to a reorientation. 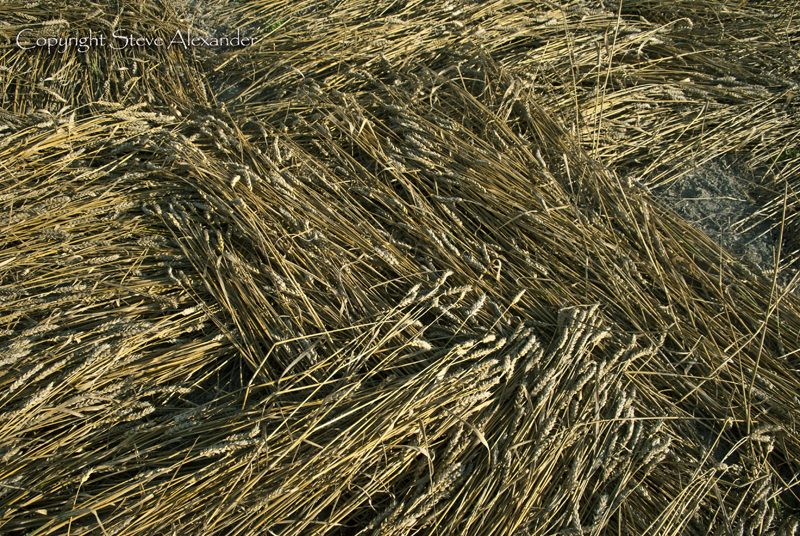 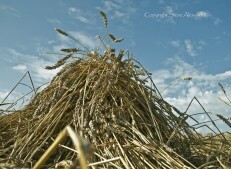 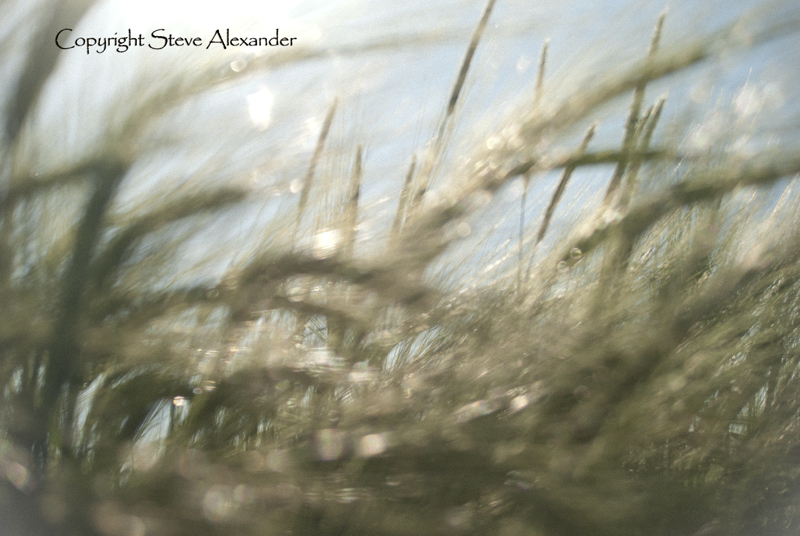 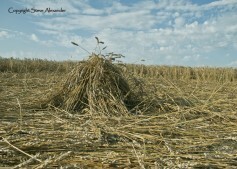 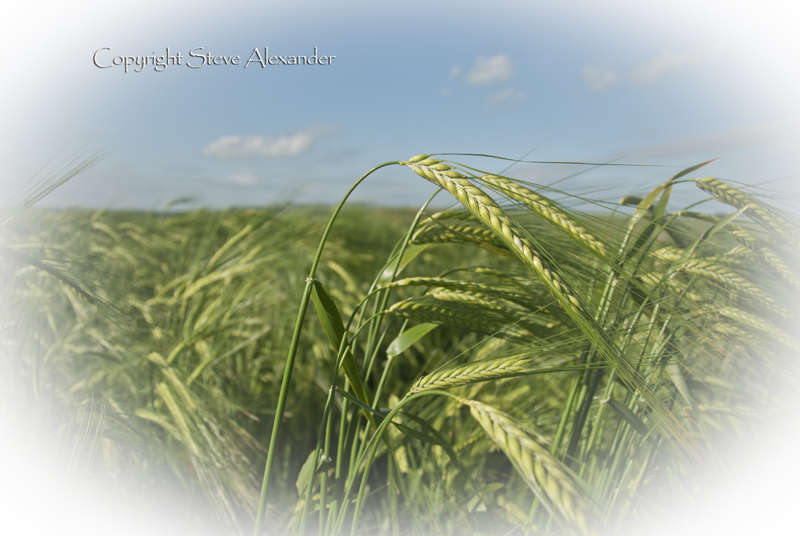 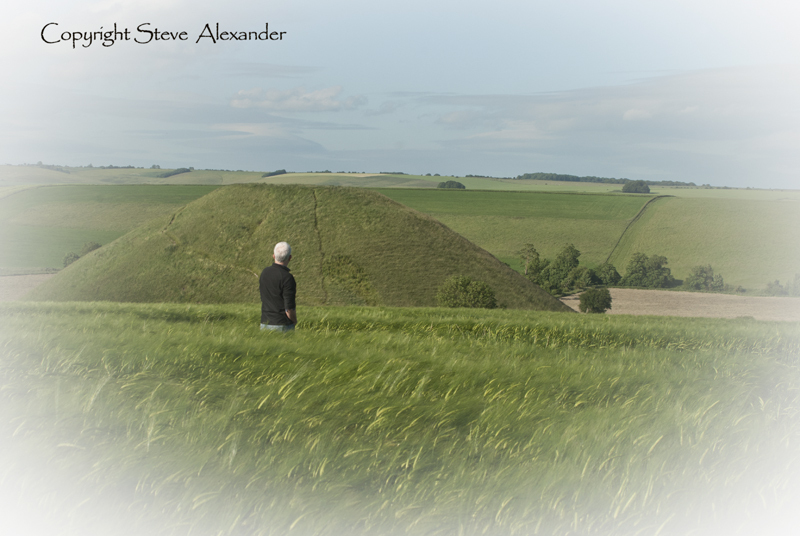 If 2012 was the end of something, then 2013 was the beginning of the painful process of change. 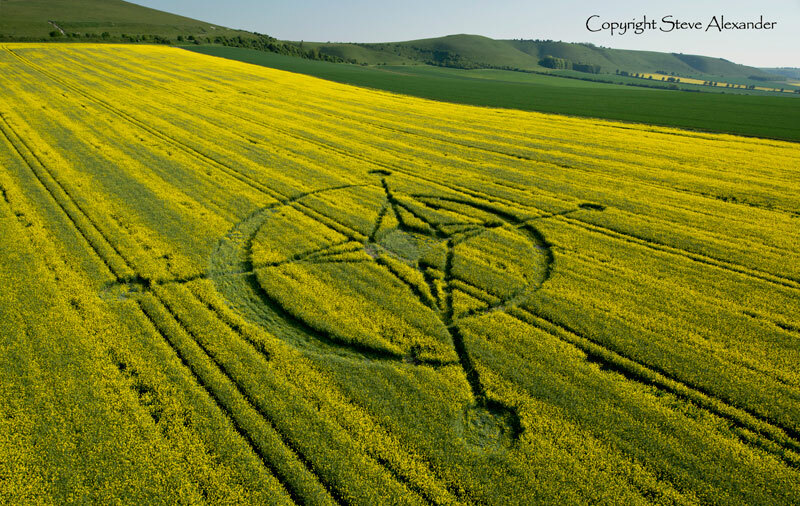 An early circle seemed to be a simple compass, which called for a reorientation, a small ‘seed of life’ flower at Yatesbury the planting of the seeds of the new. 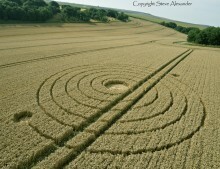 What at first appeared to be a set of fine concentric rings at the Ridgeway, was in fact a set of concentric ribbons which thickened and thinned and beautiful example of classical geometry, the whole thing was underpinned by a set of squares – the marriage of the circle of the circle and square, heavenly and earthly has been a longstanding theme of the crop circle phenomenon. 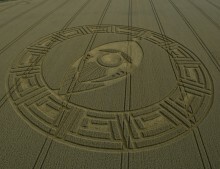 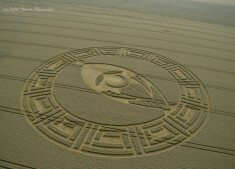 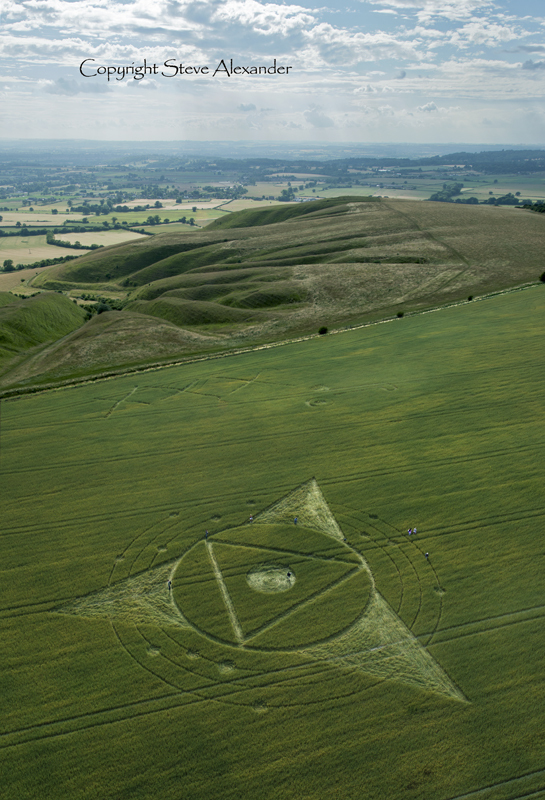 The Hackpen Hill Dream-Catcher was seen as a sigil to warn off anxiety during this time of transition. 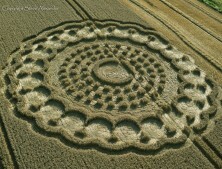 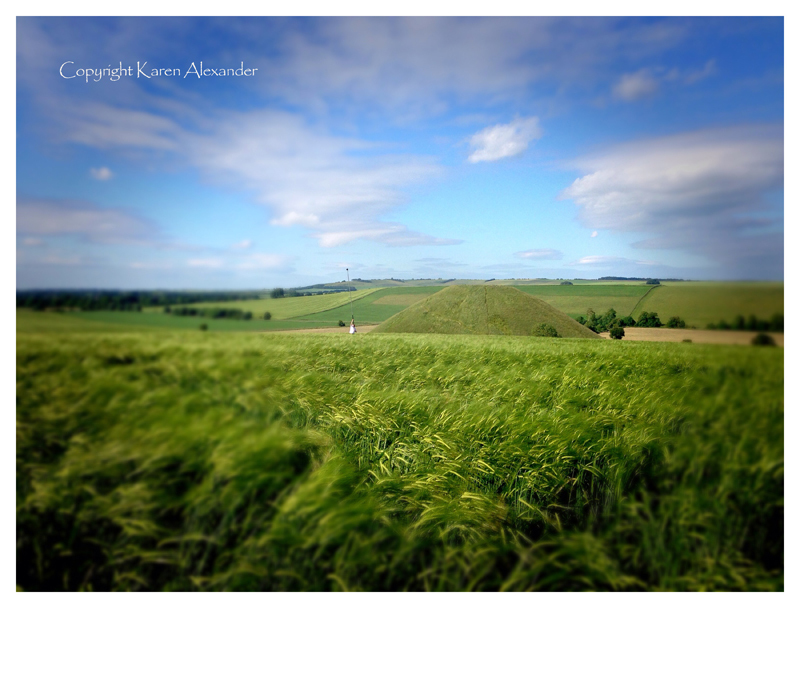 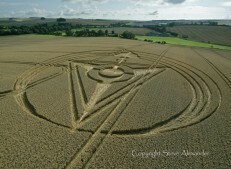 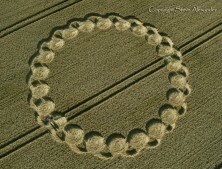 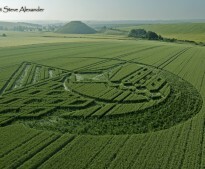 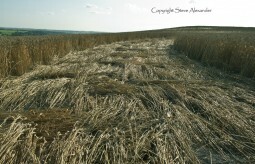 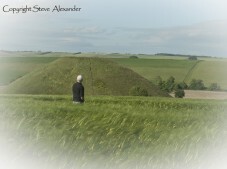 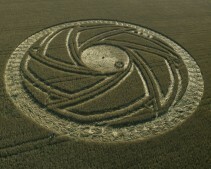 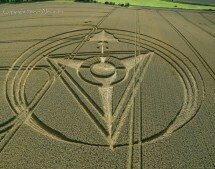 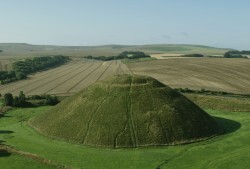 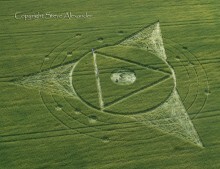 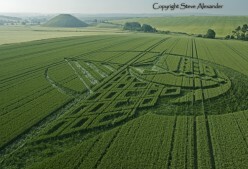 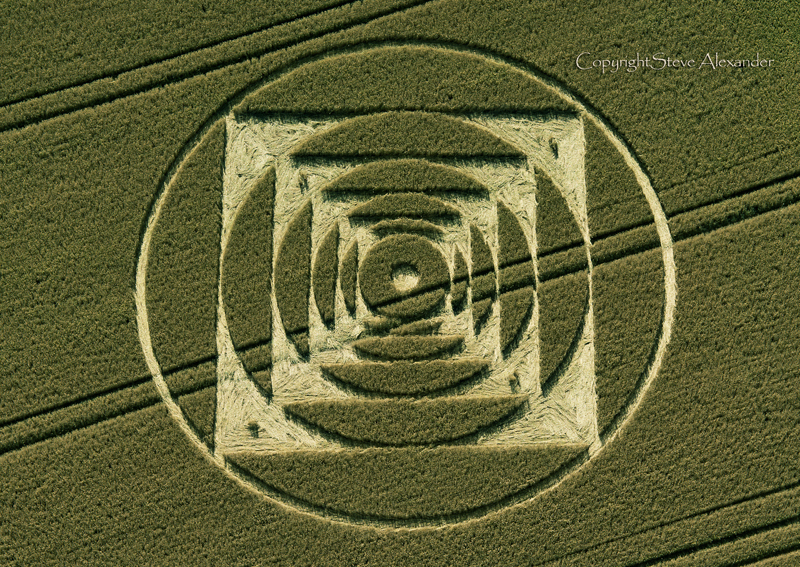 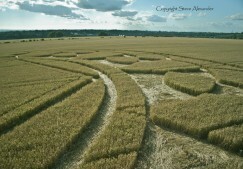 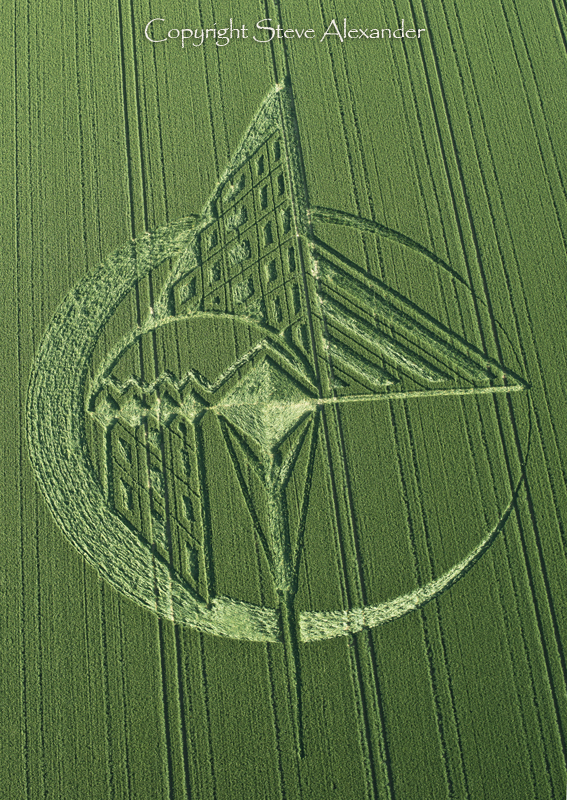 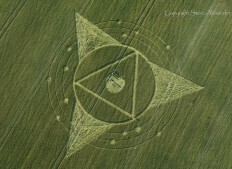 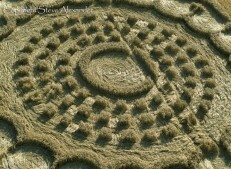 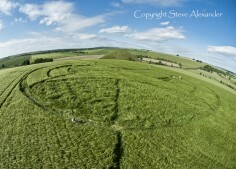 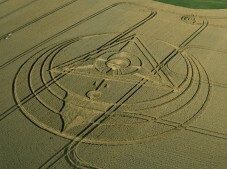 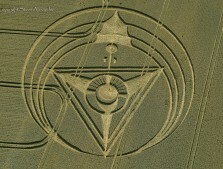 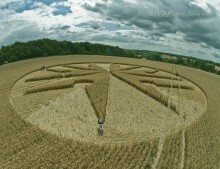 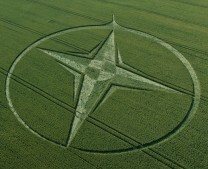 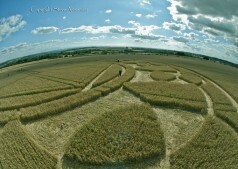 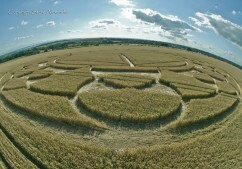 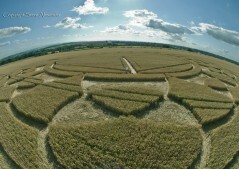 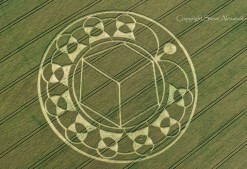 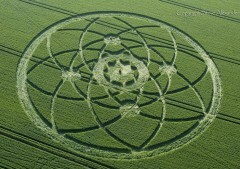 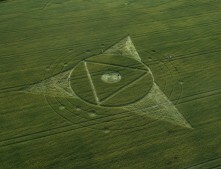 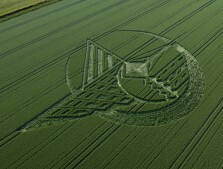 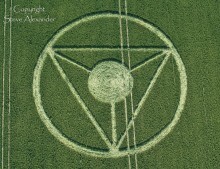 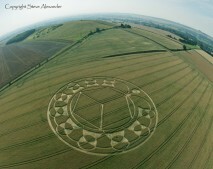 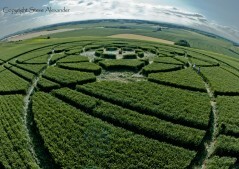 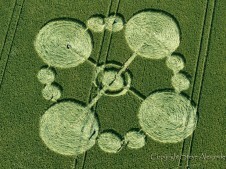 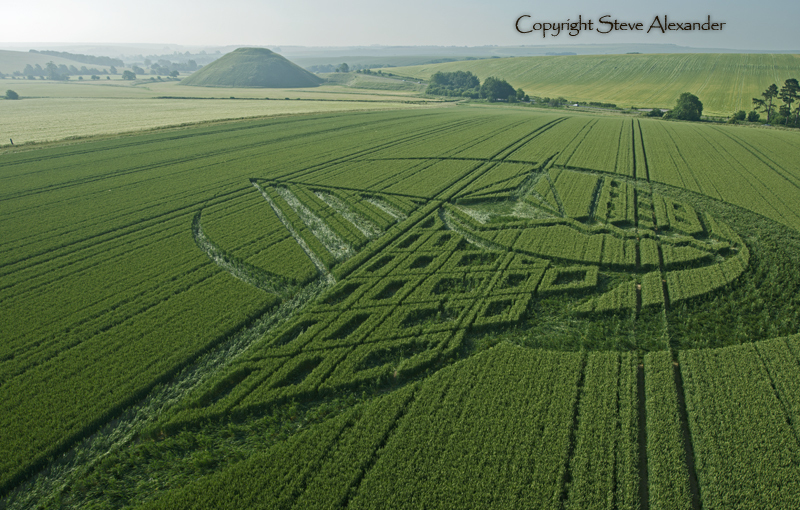 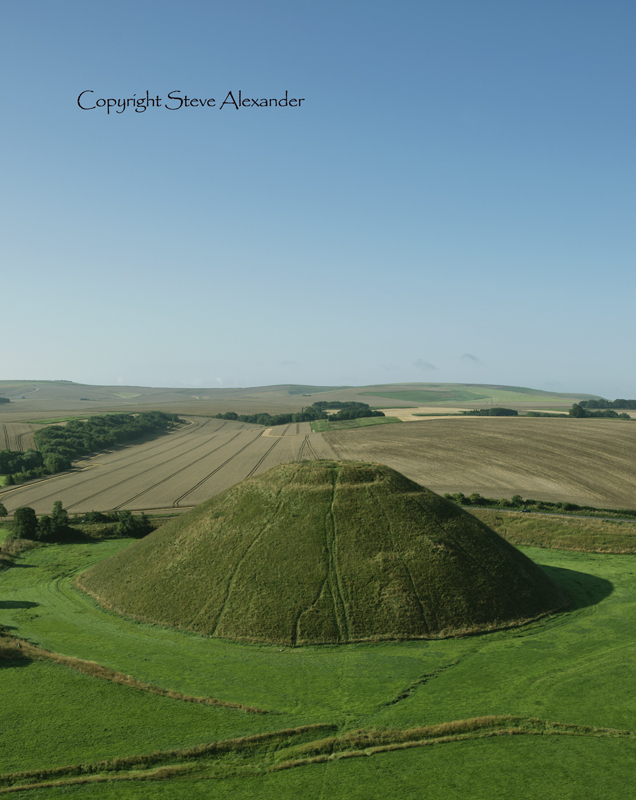 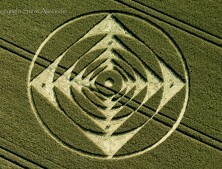 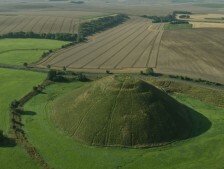 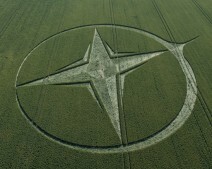 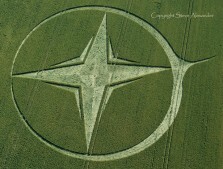 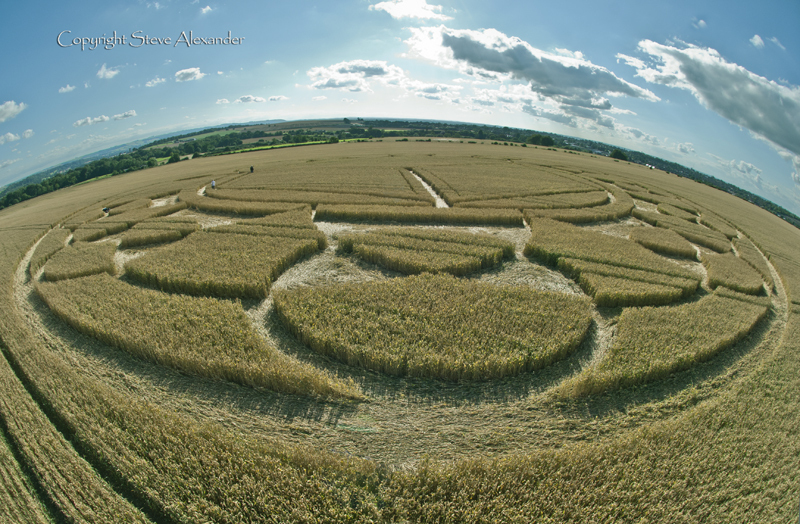 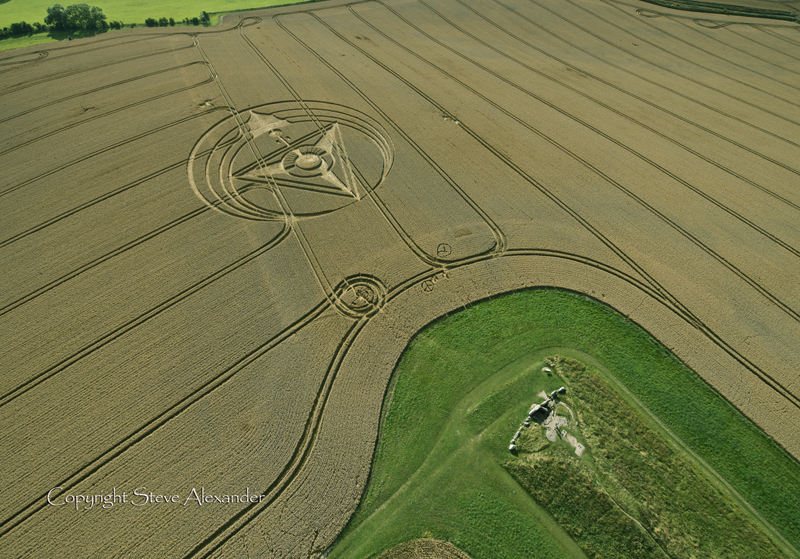 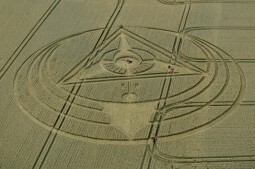 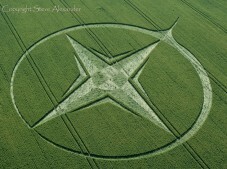 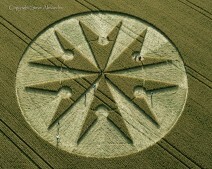 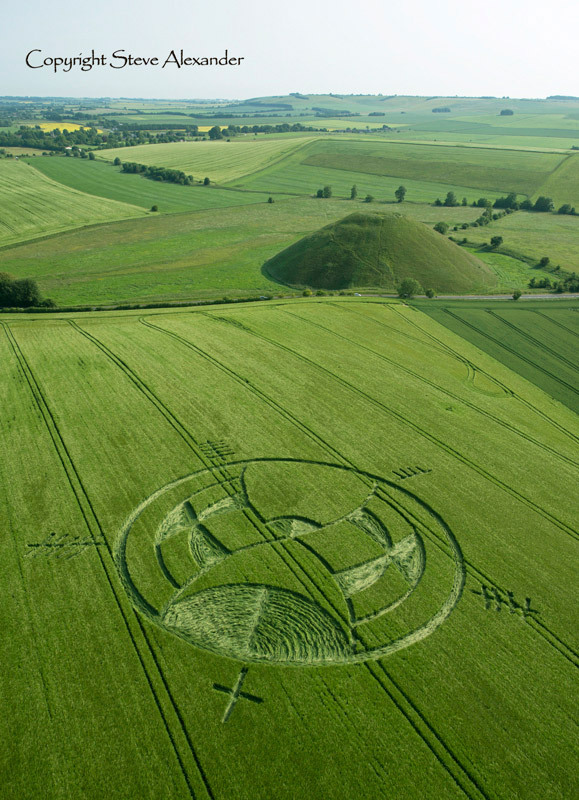 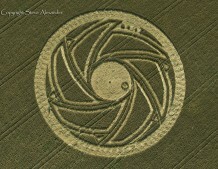 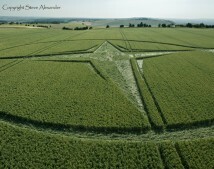 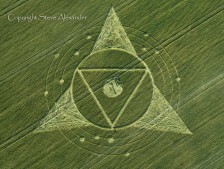 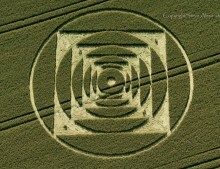 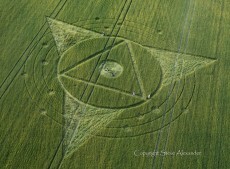 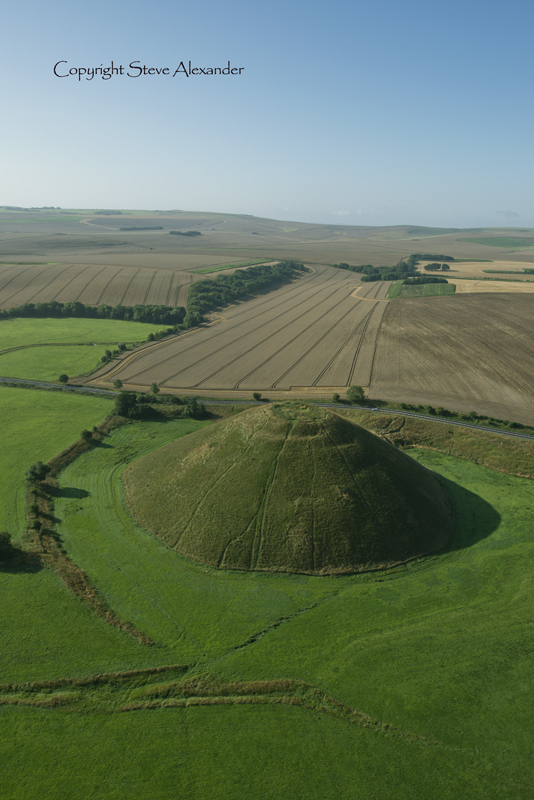 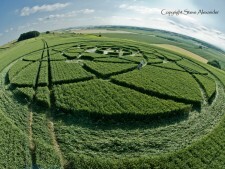 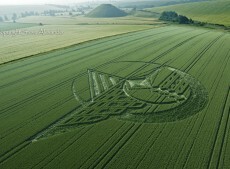 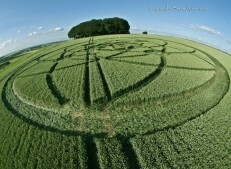 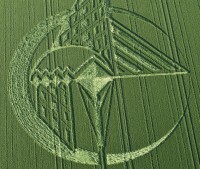 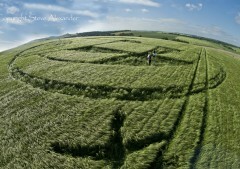 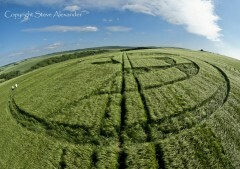 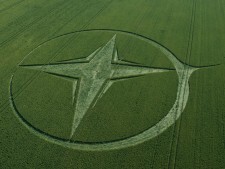 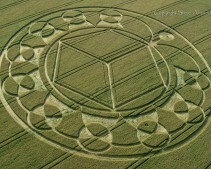 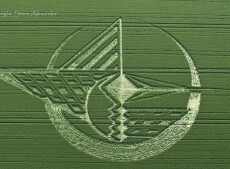 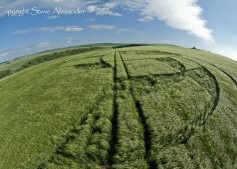 The formation at Monument Hill, showed the cube ‘unhinged’ another symbol of paradigm change? 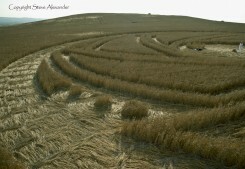 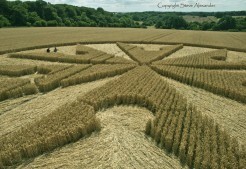 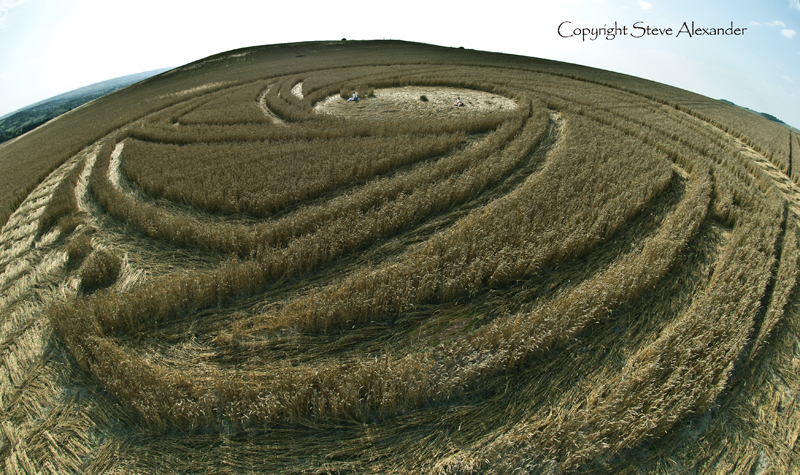 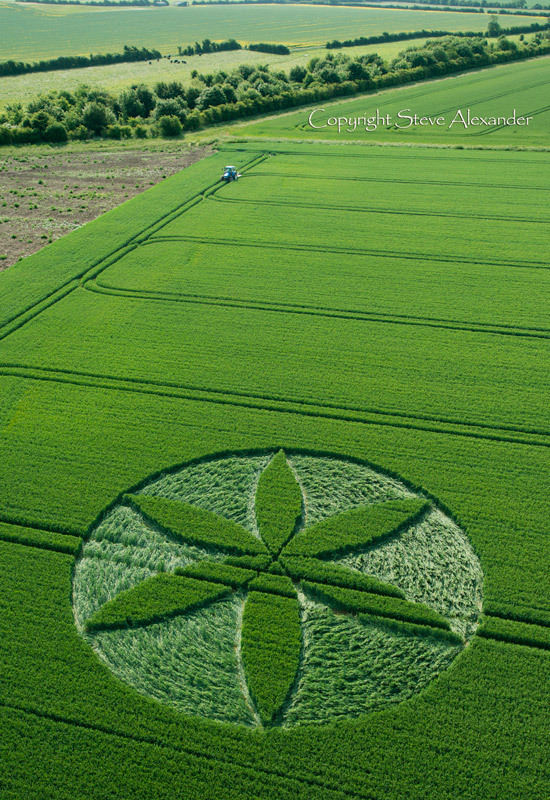 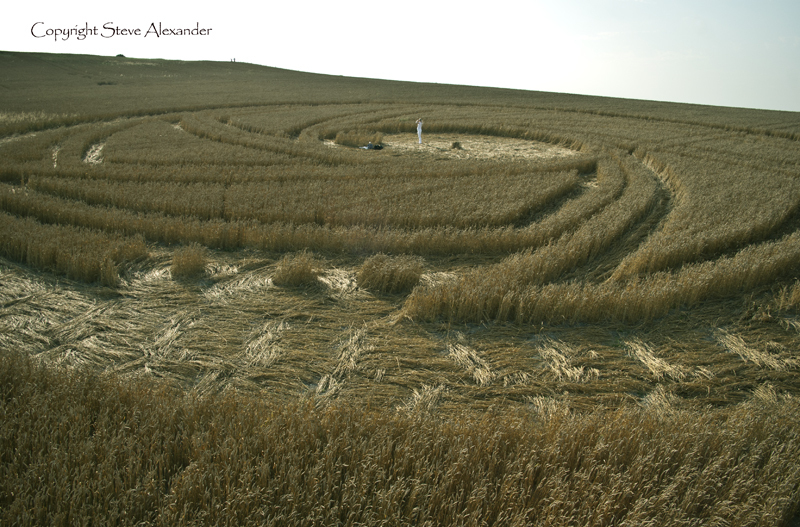 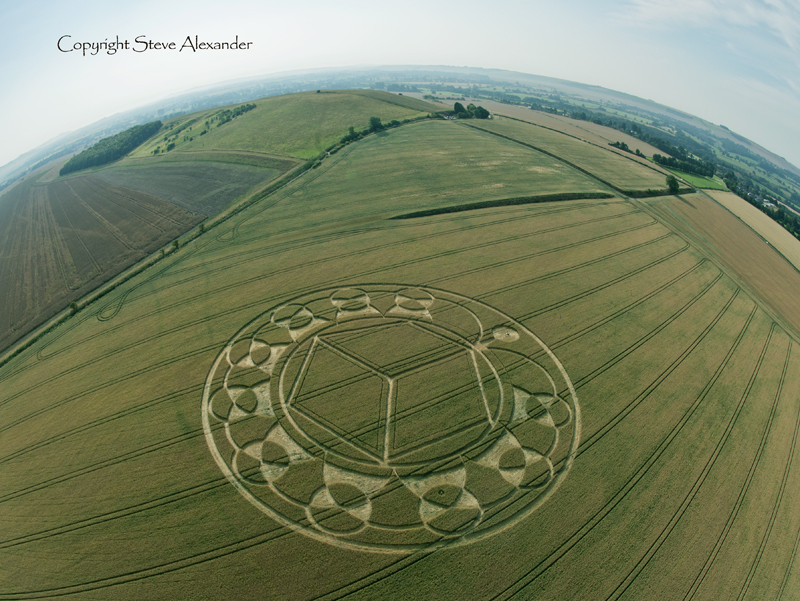 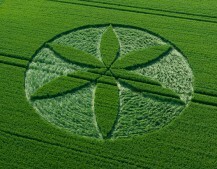 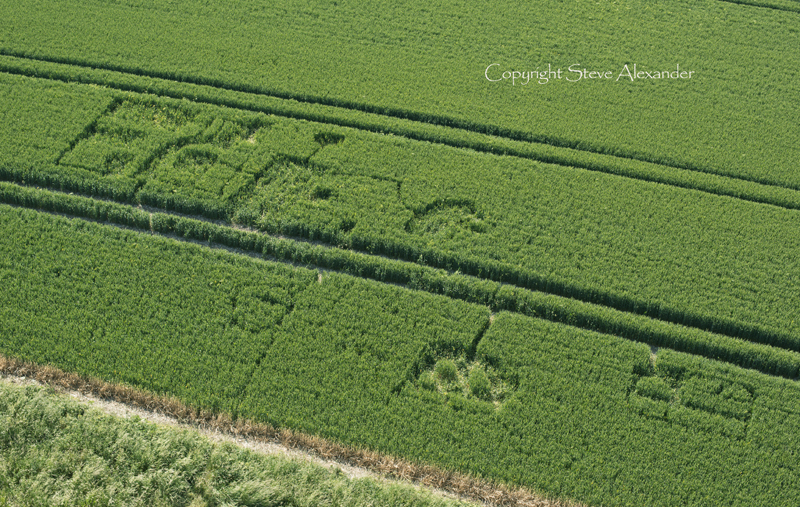 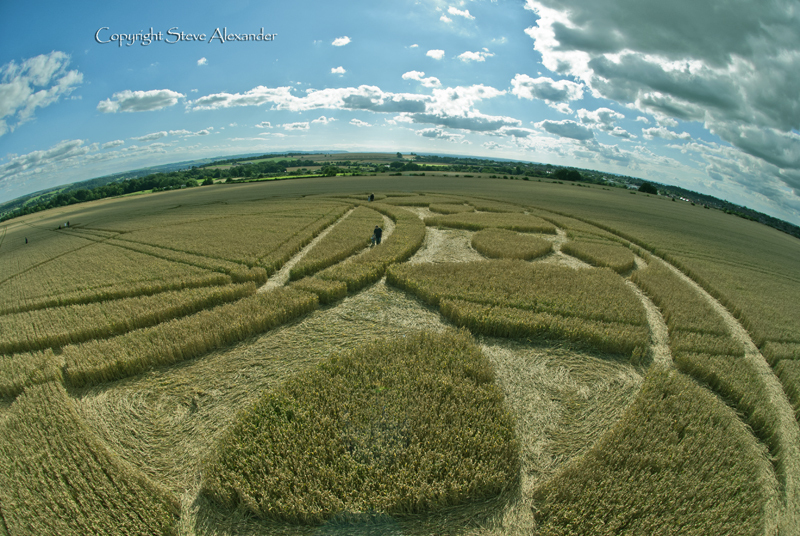 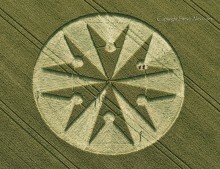 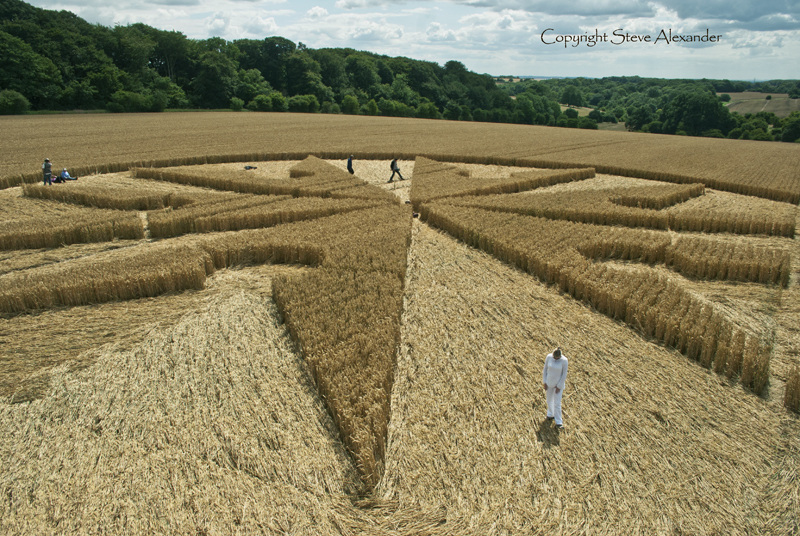 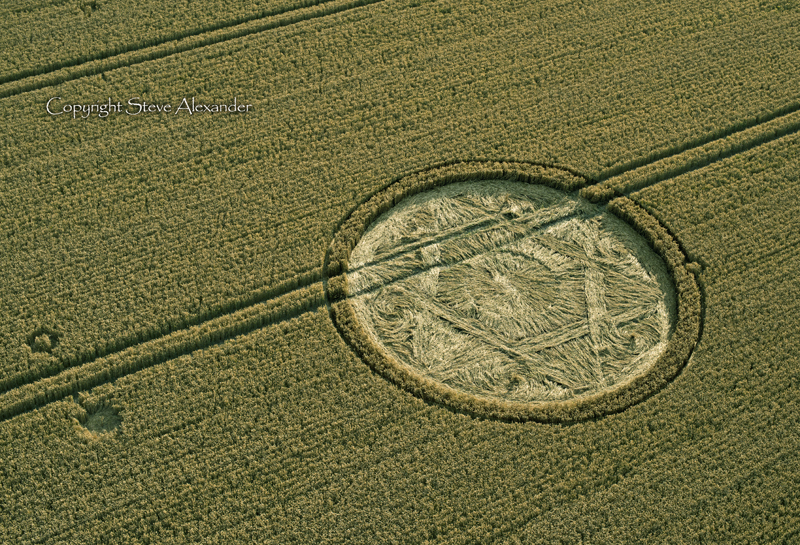 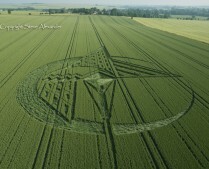 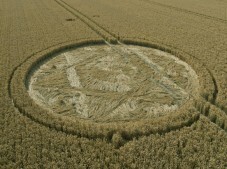 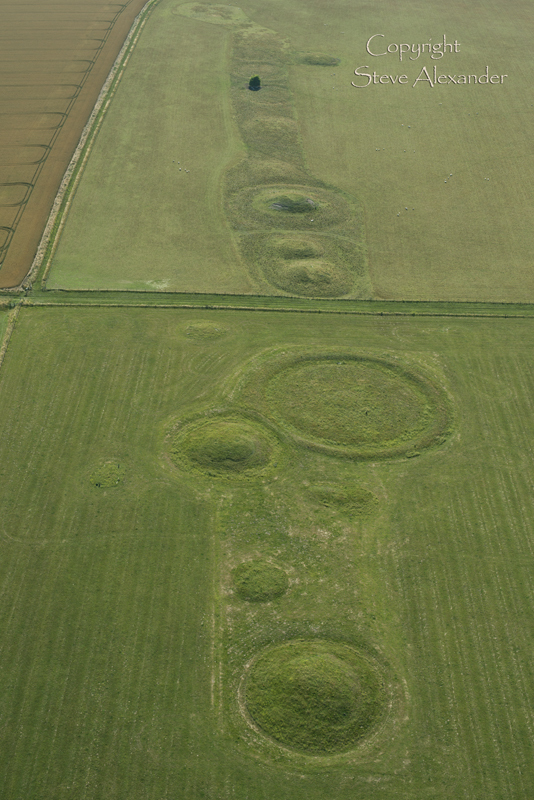 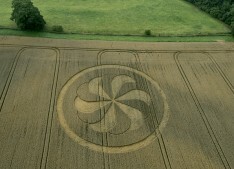 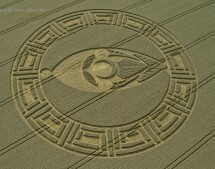 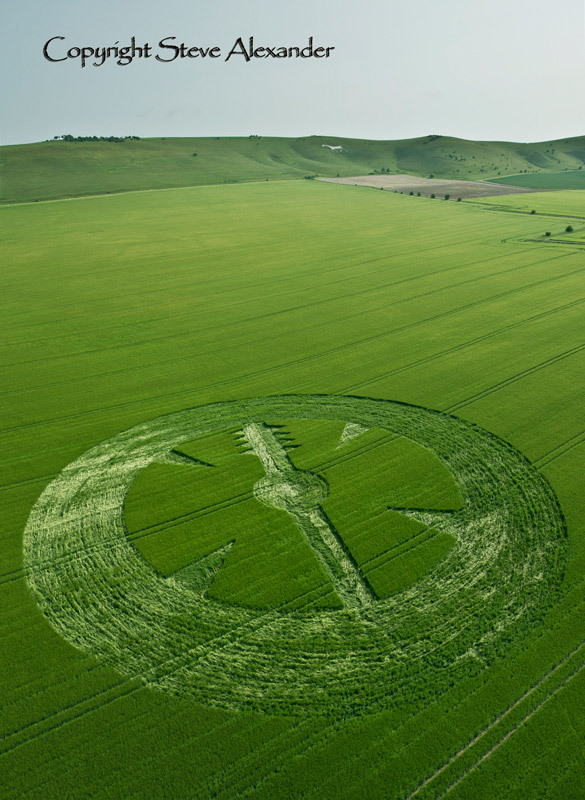 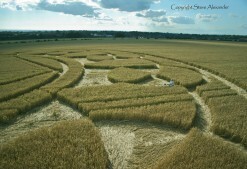 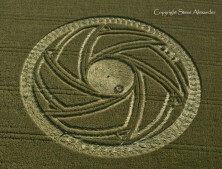 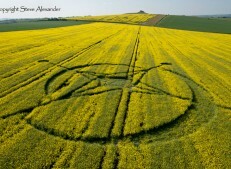 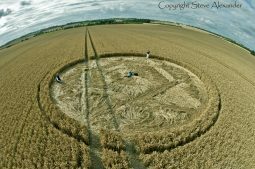 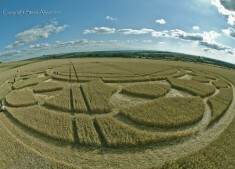 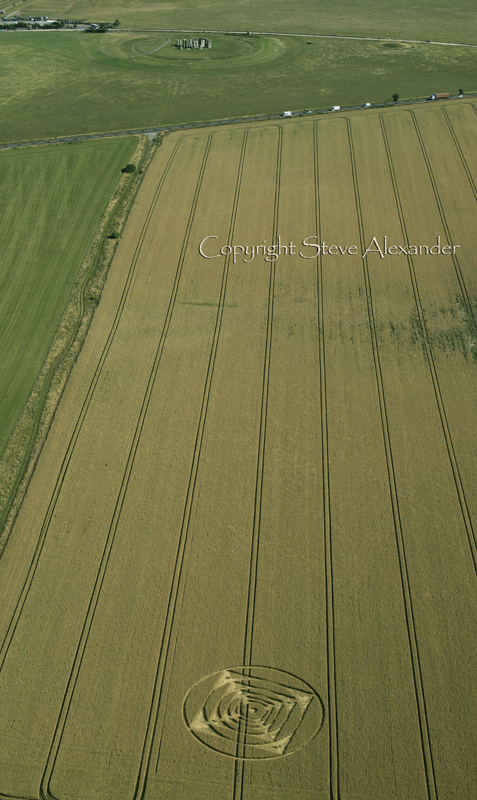 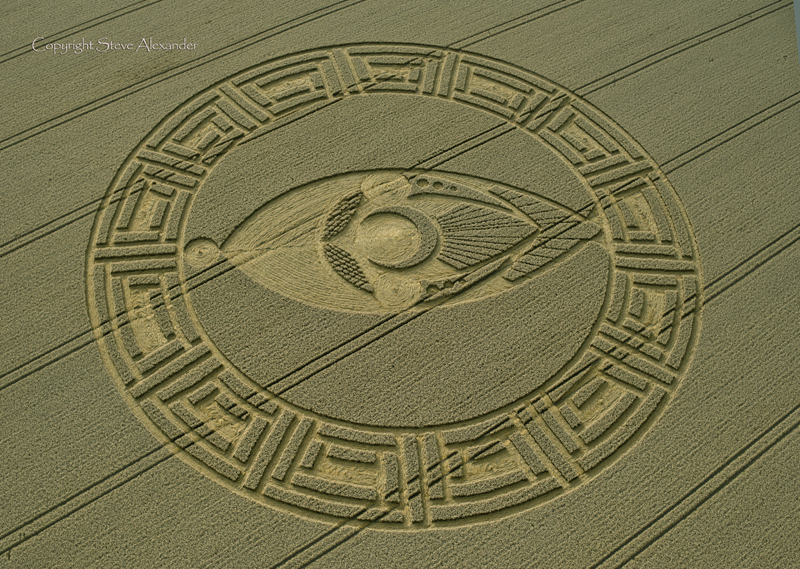 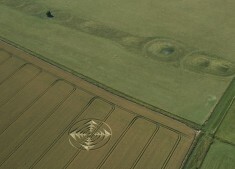 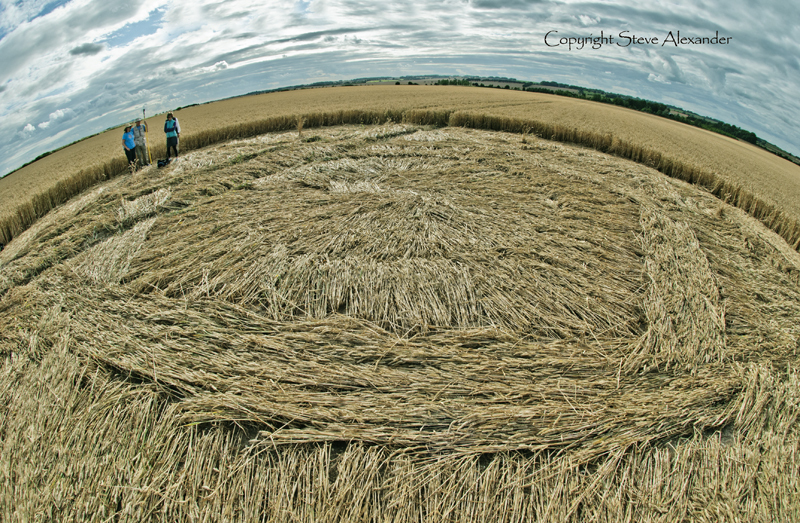 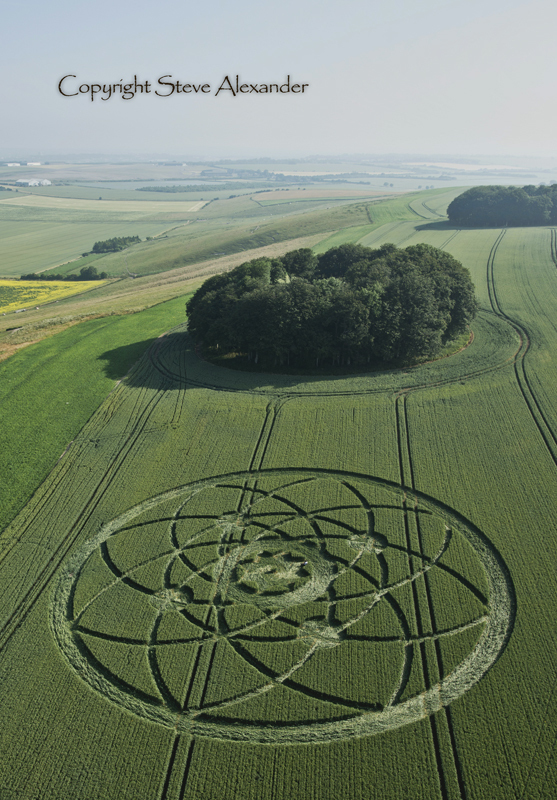 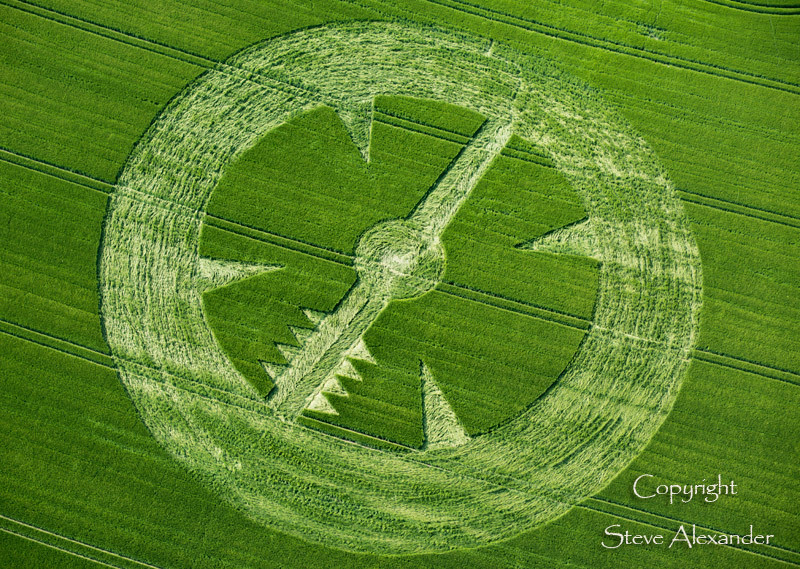 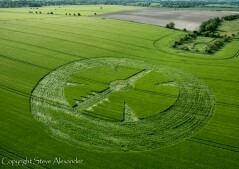 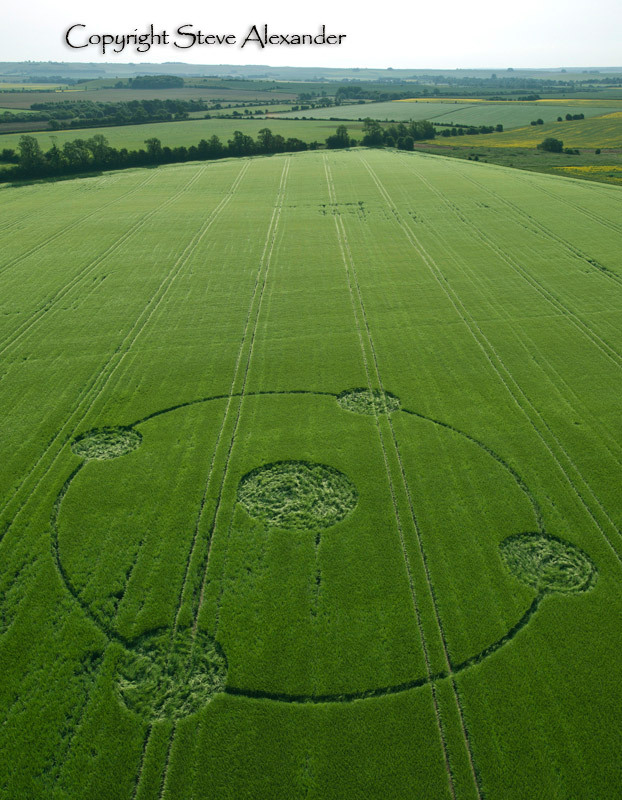 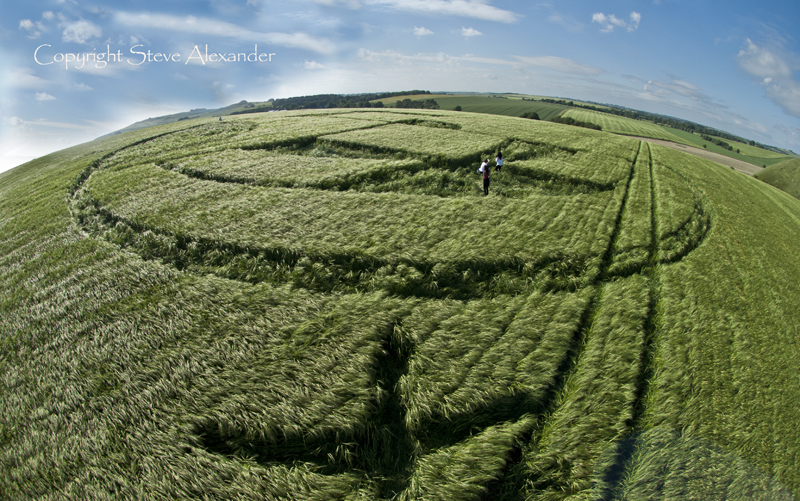 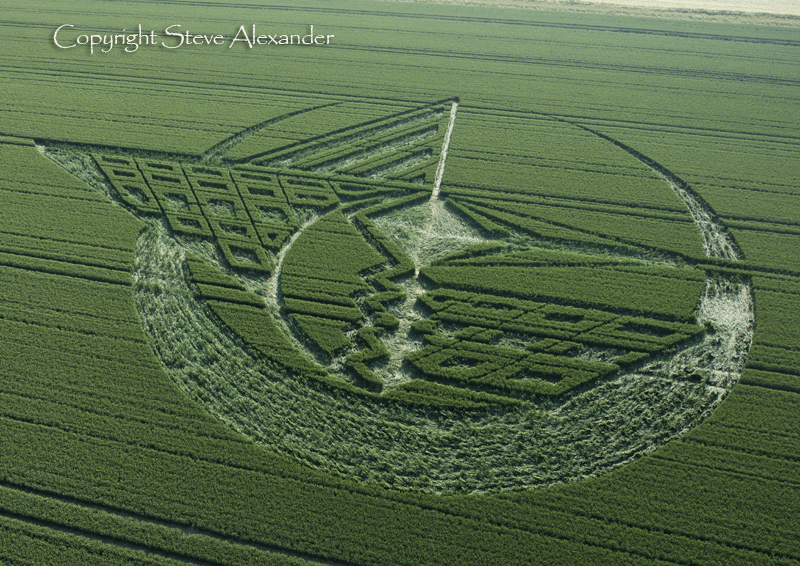 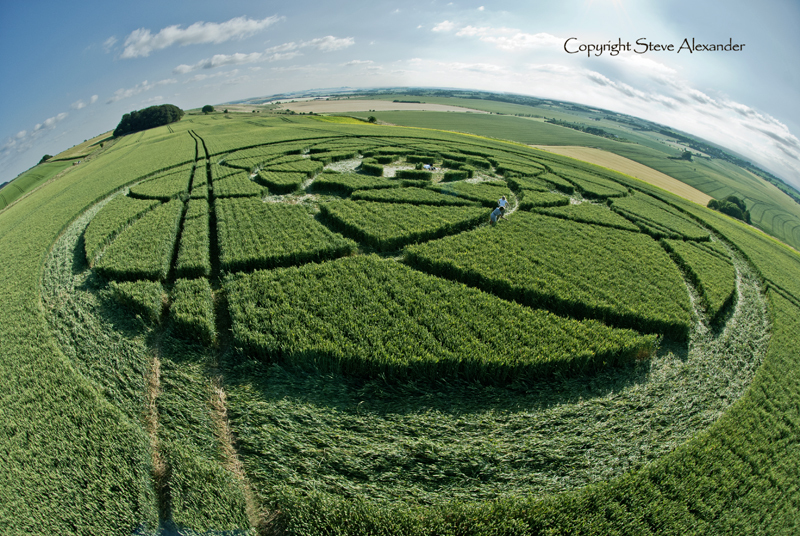 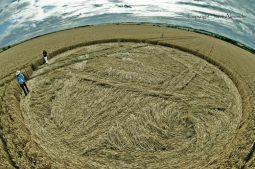 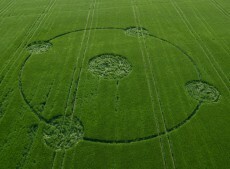 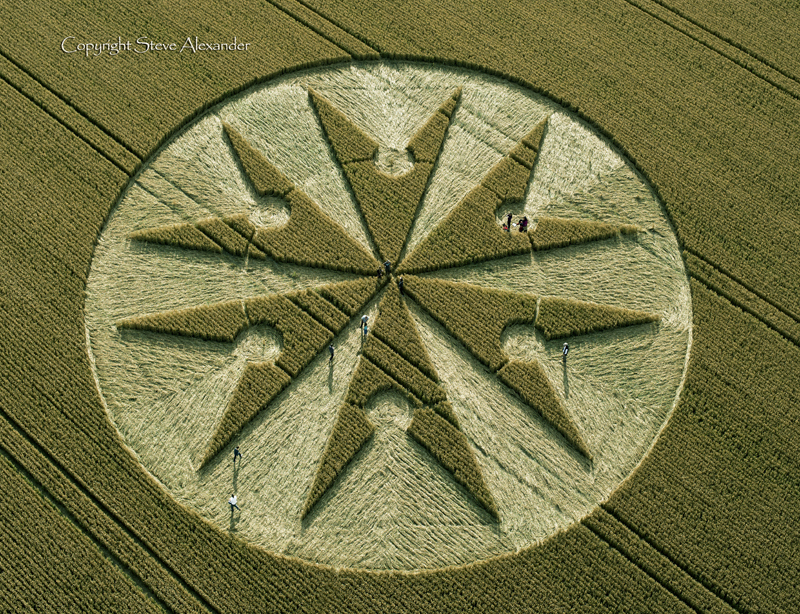 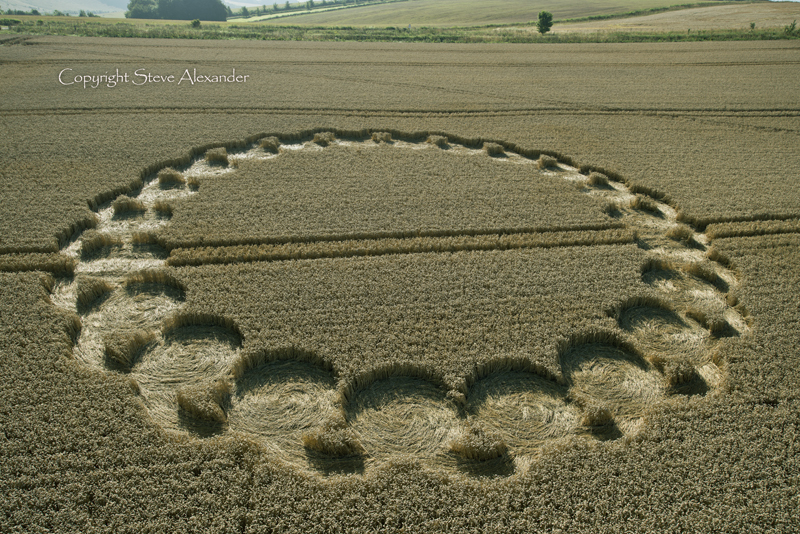 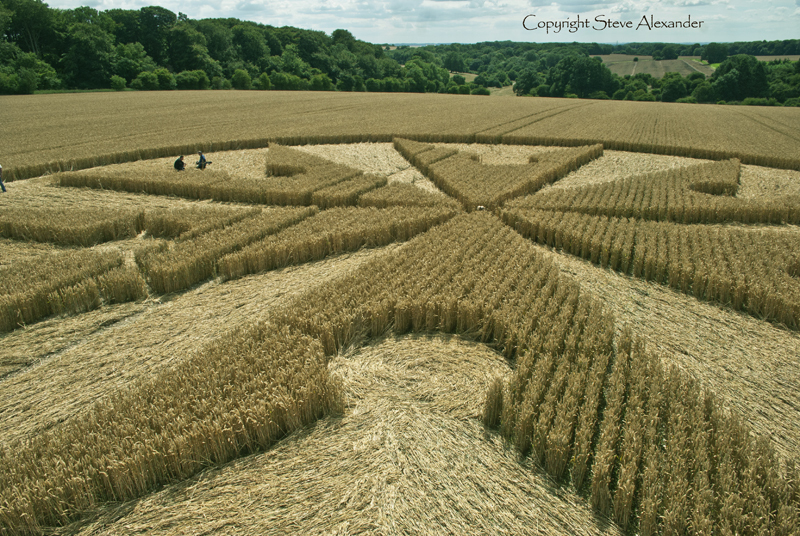 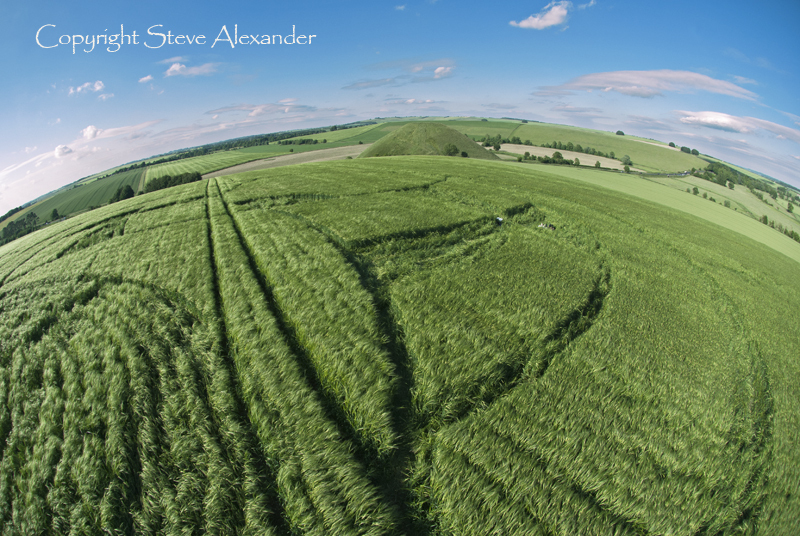 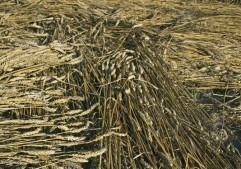 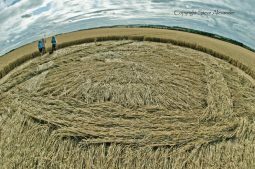 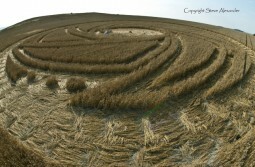 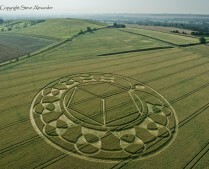 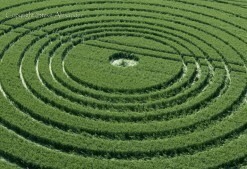 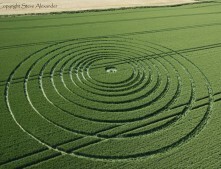 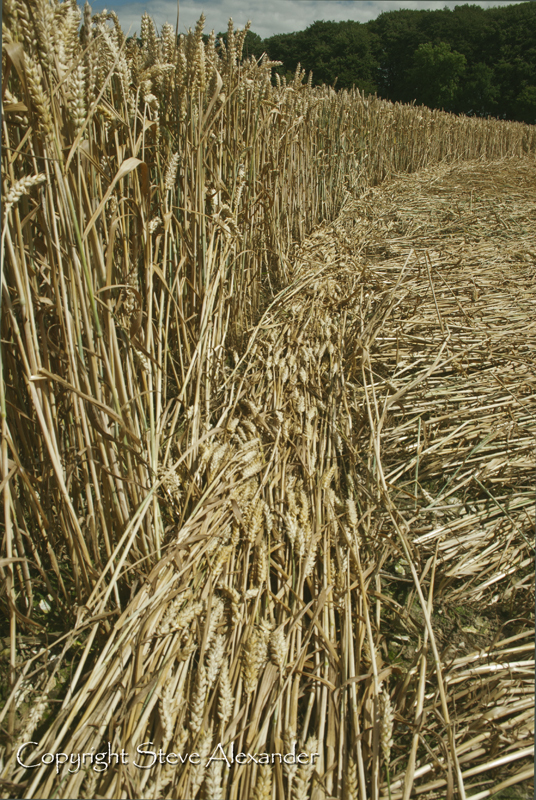 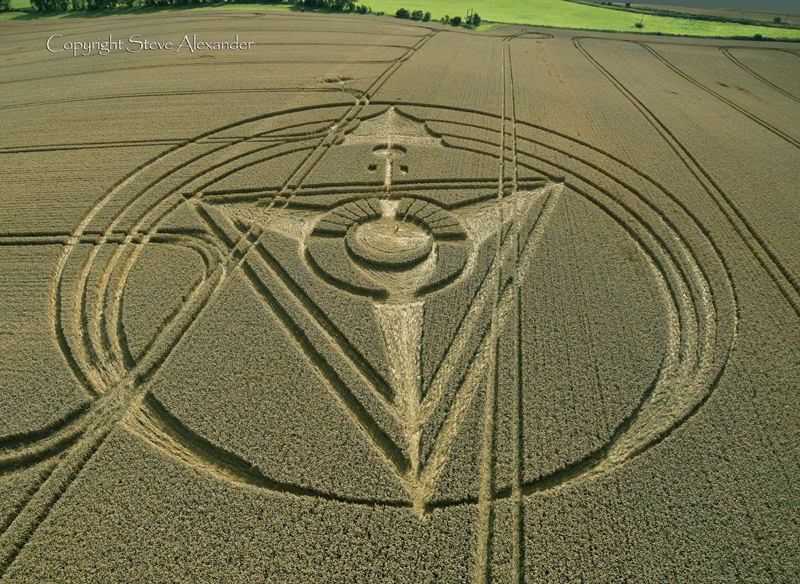 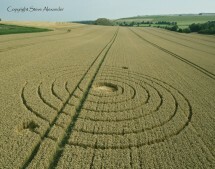 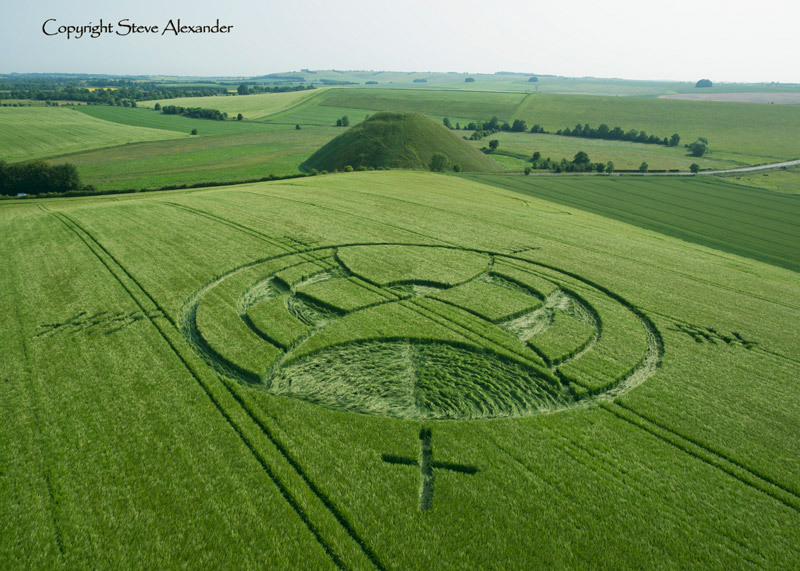 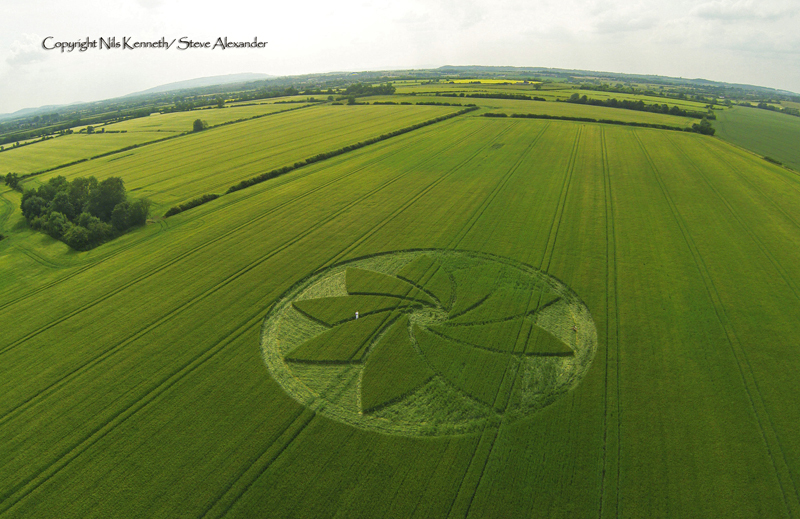 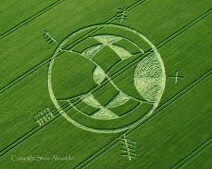 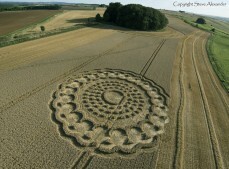 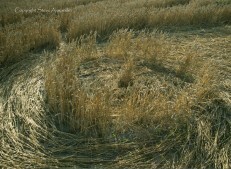 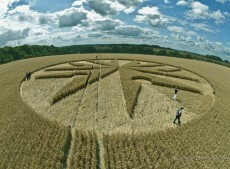 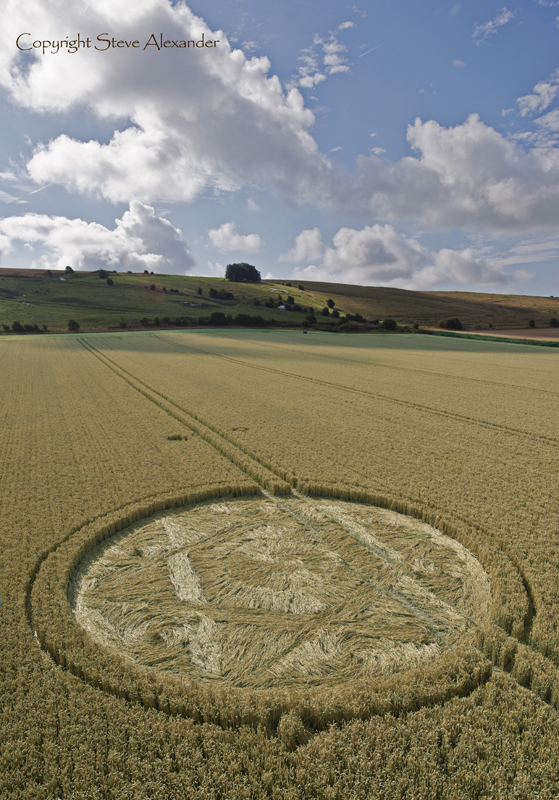 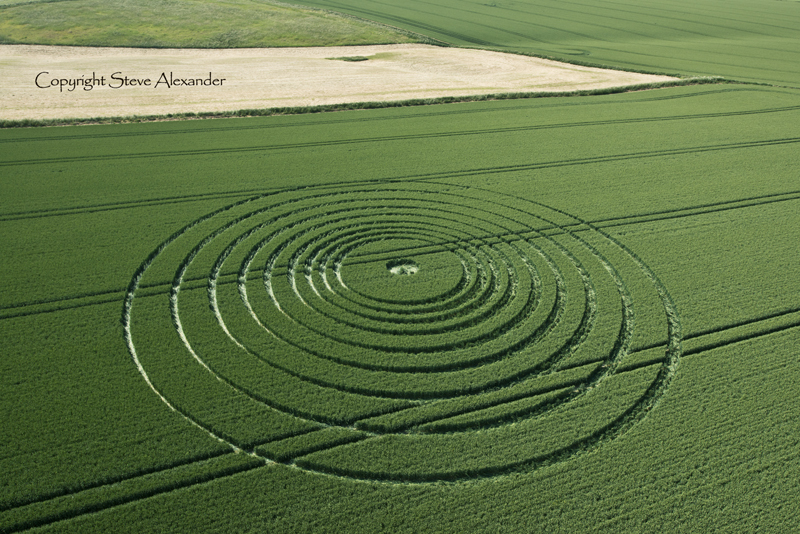 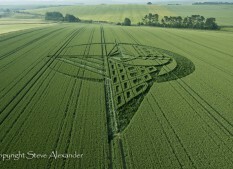 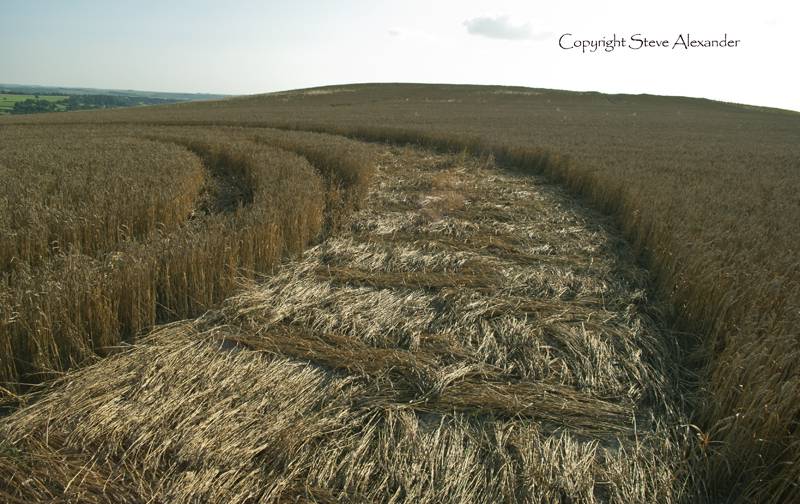 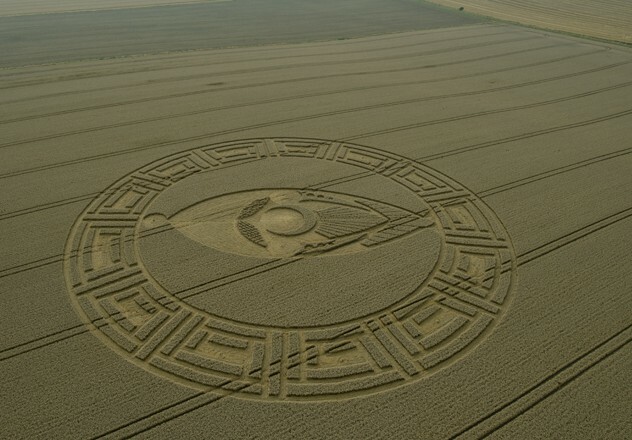 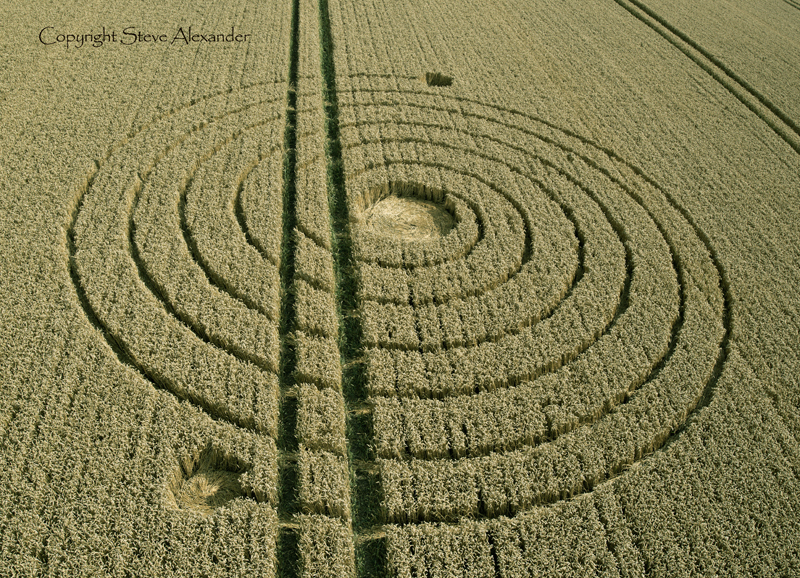 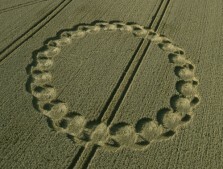 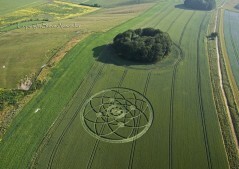 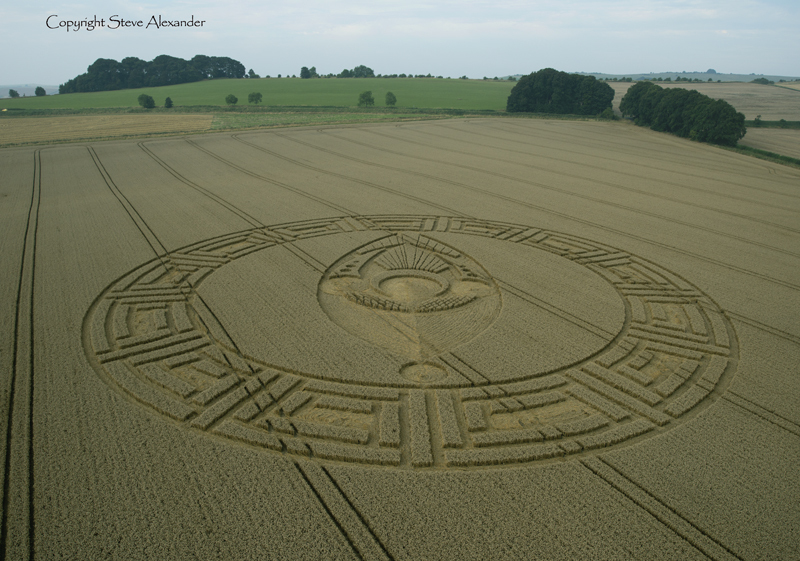 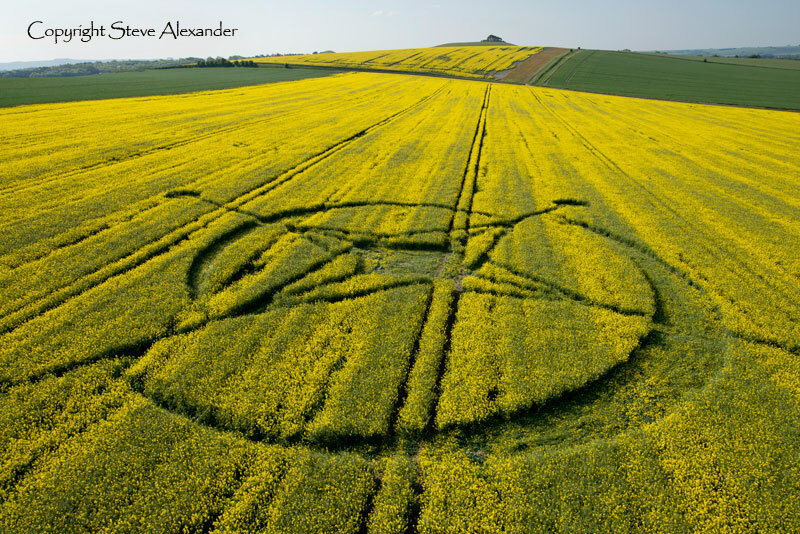 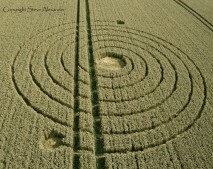 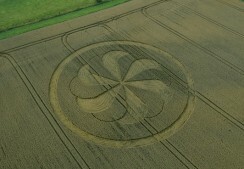 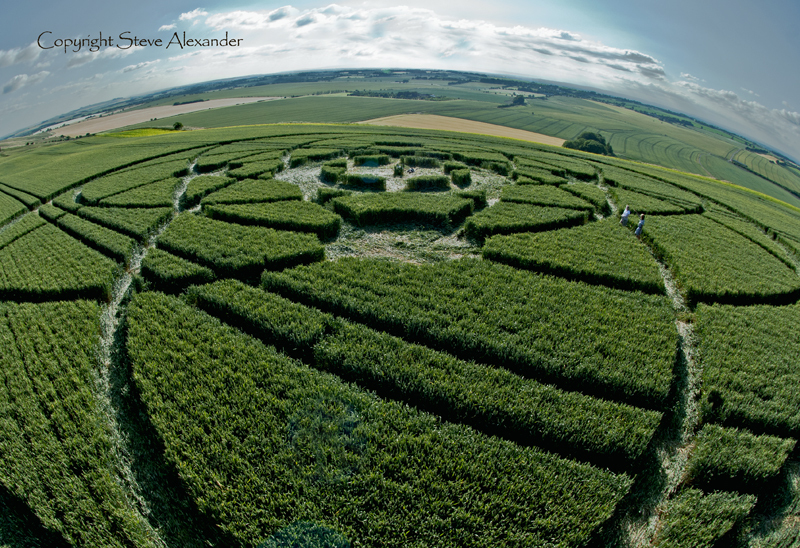 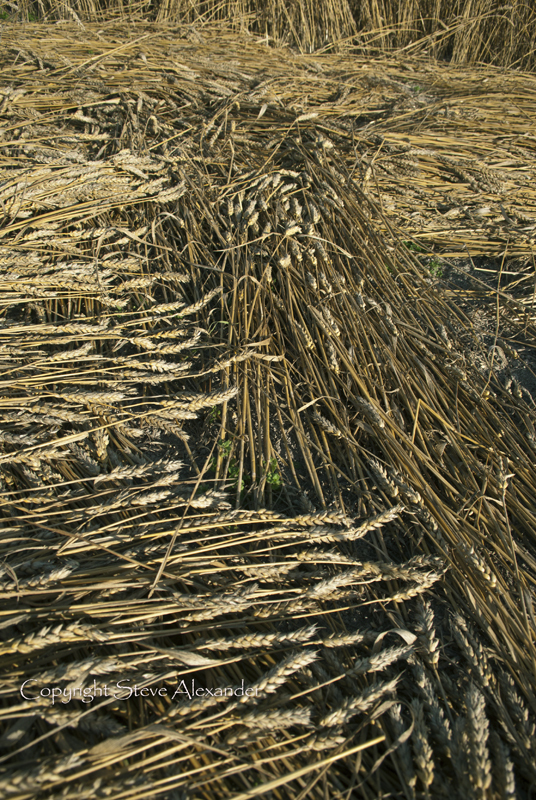 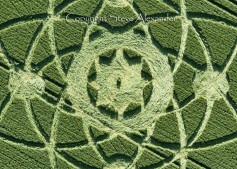 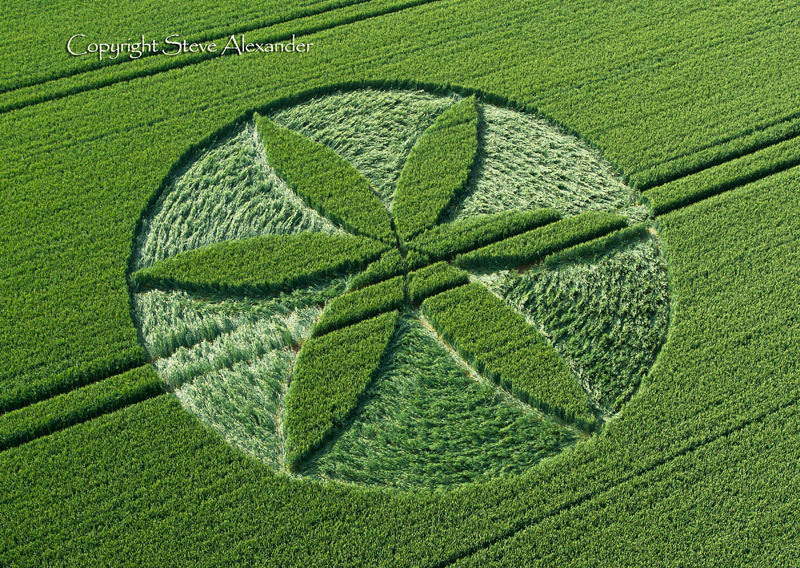 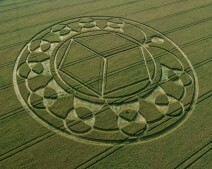 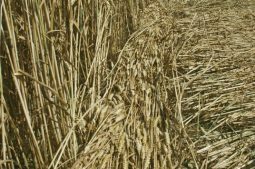 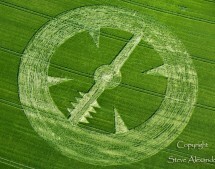 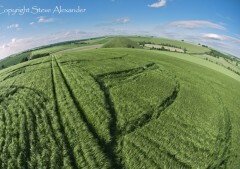 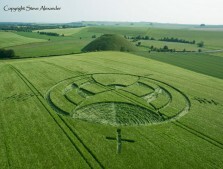 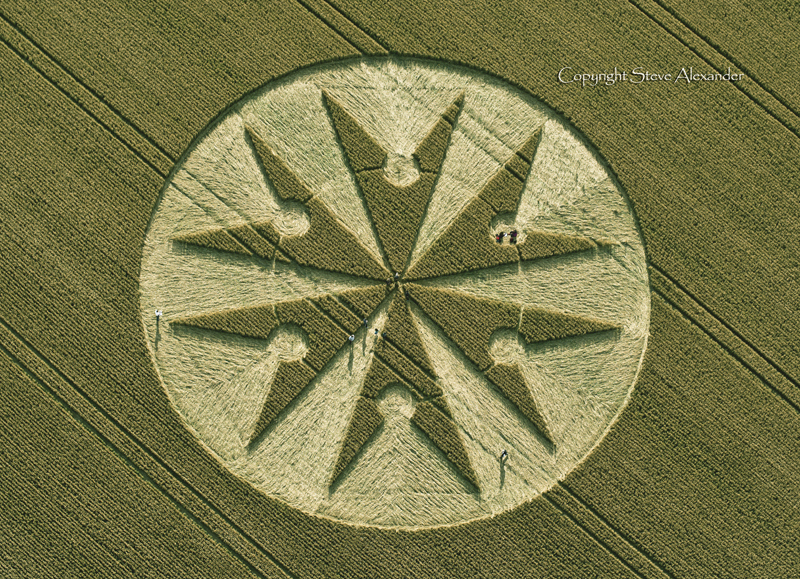 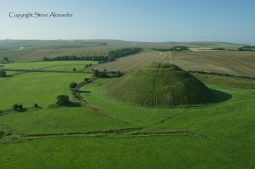 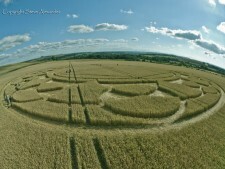 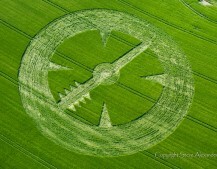 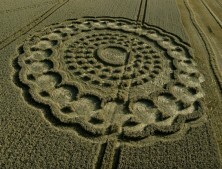 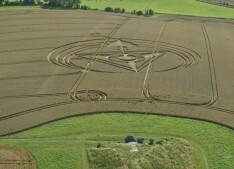 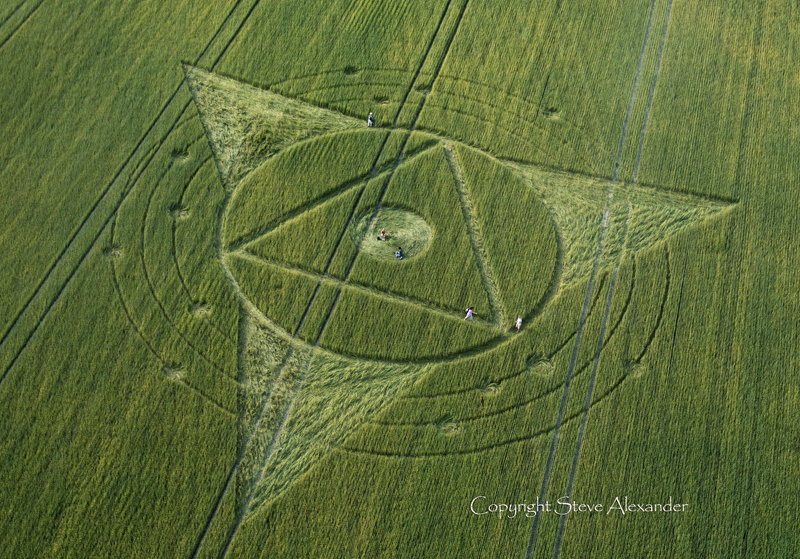 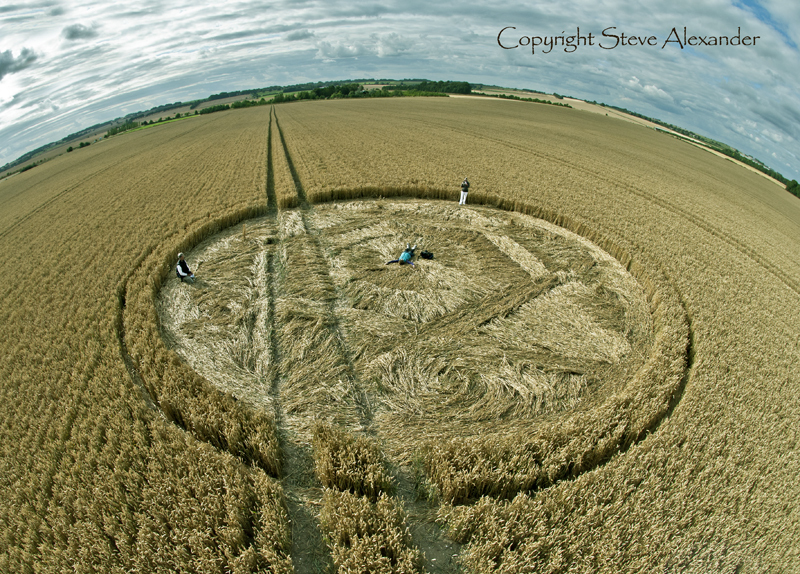 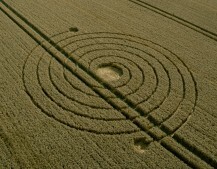 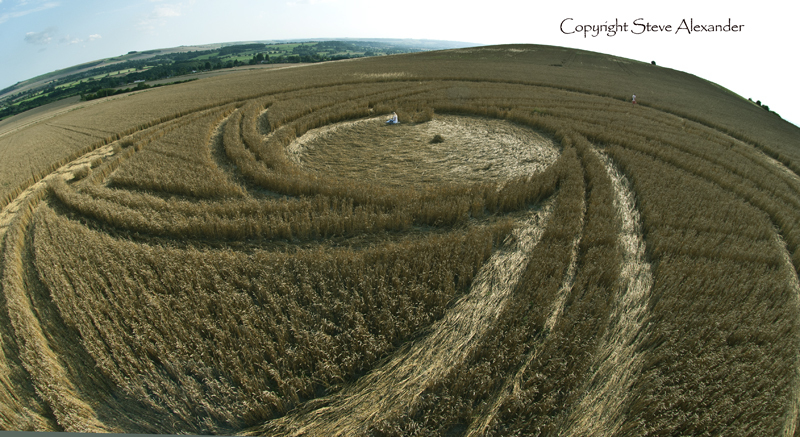 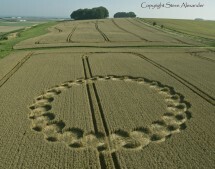 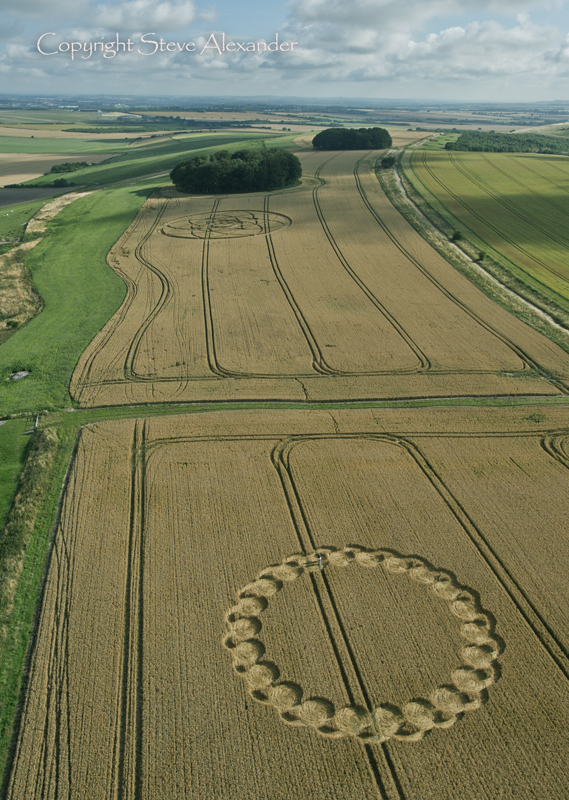 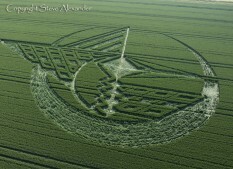 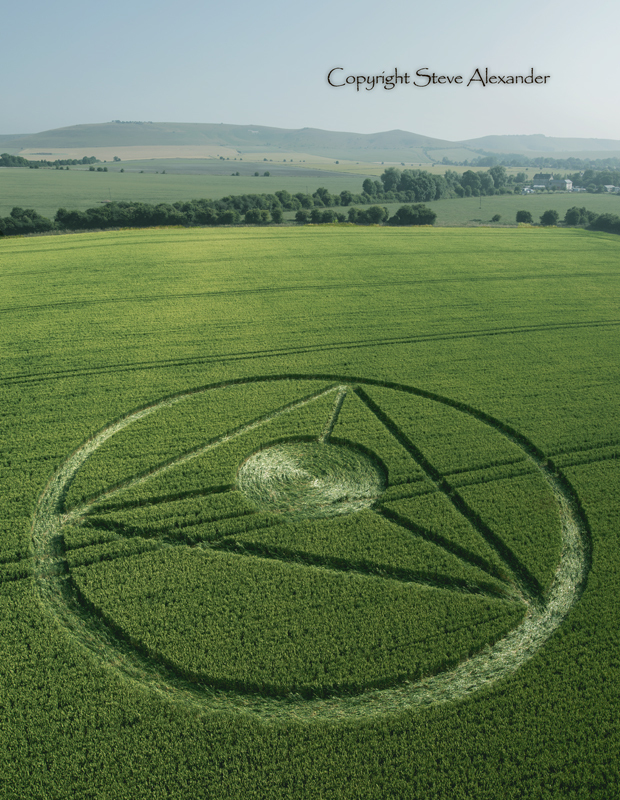 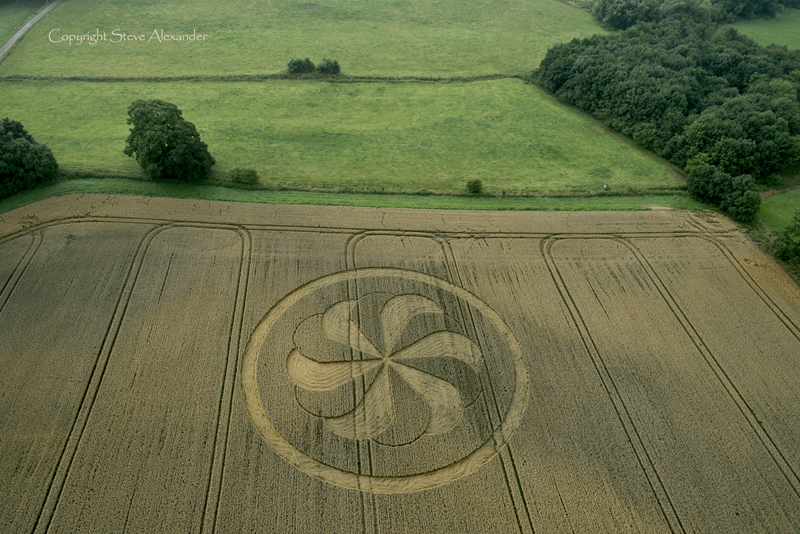 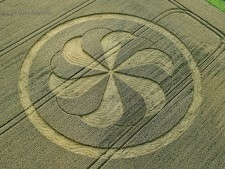 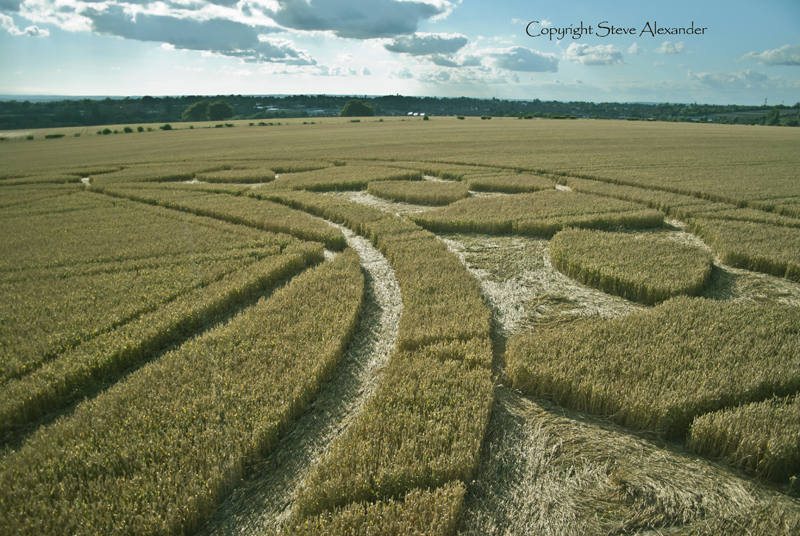 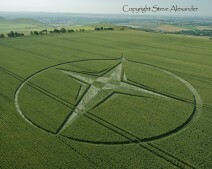 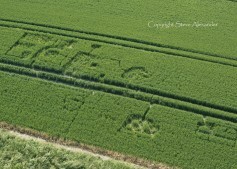 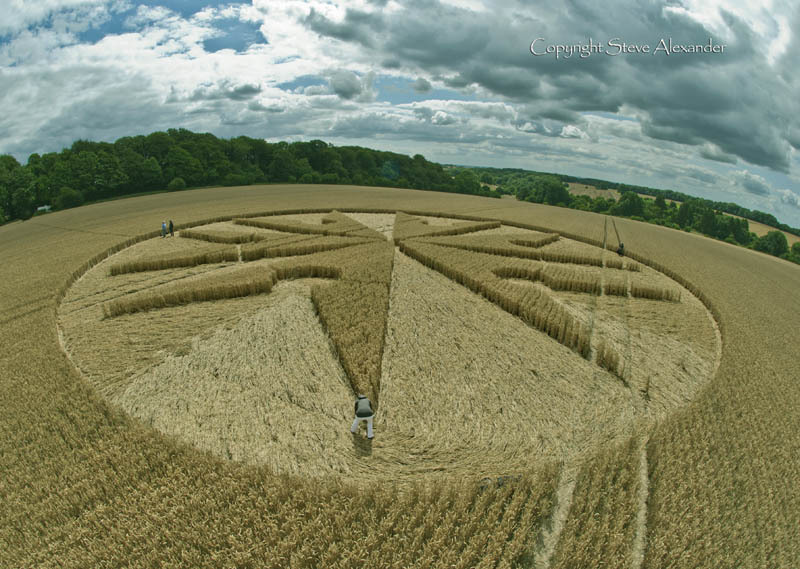 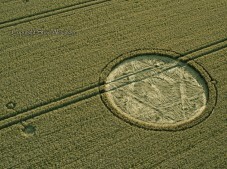 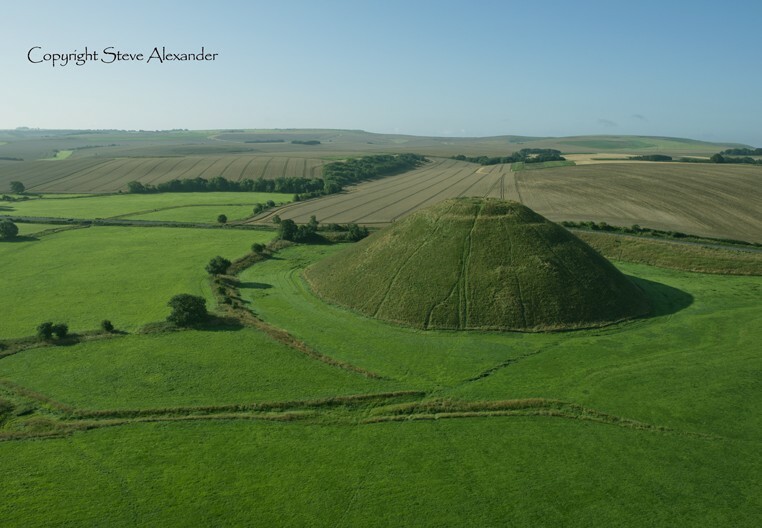 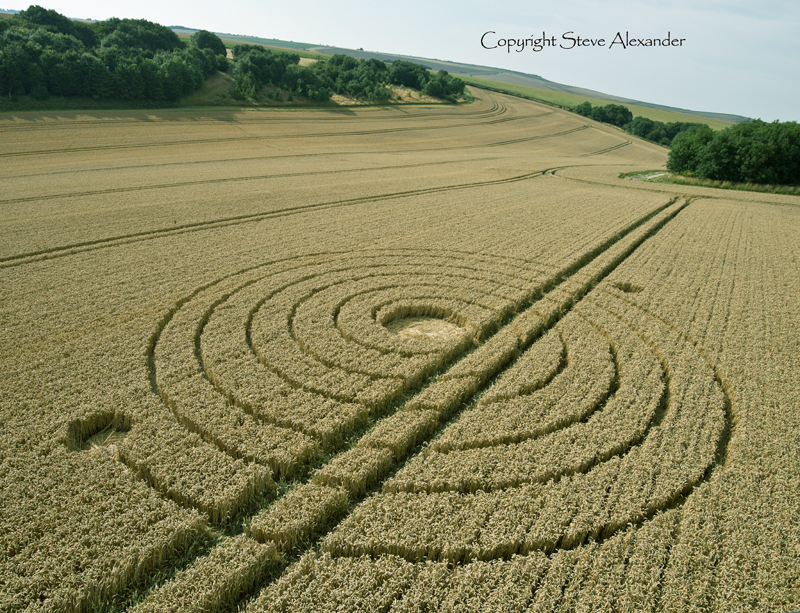 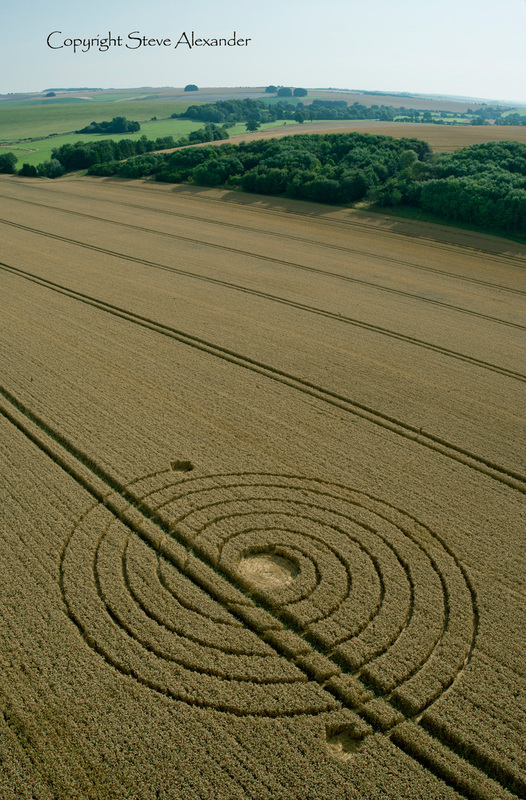 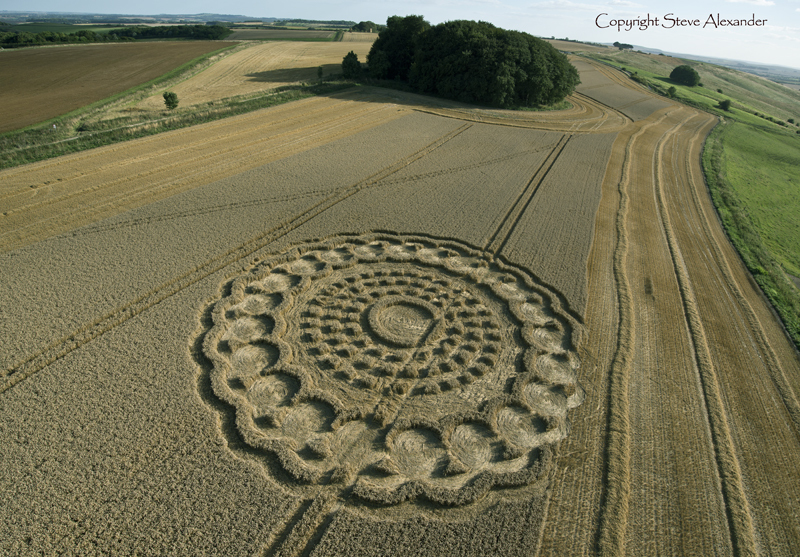 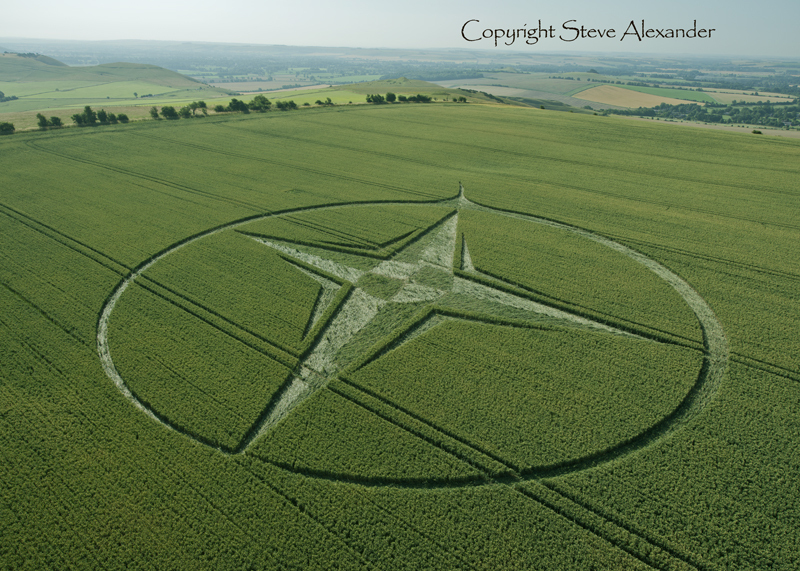 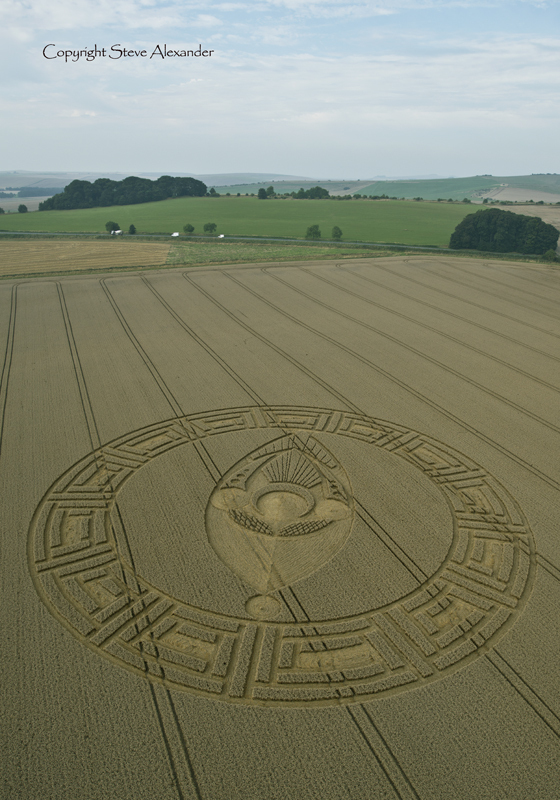 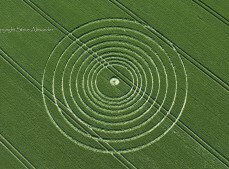 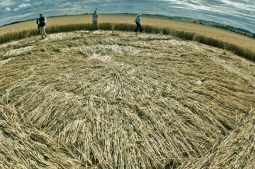 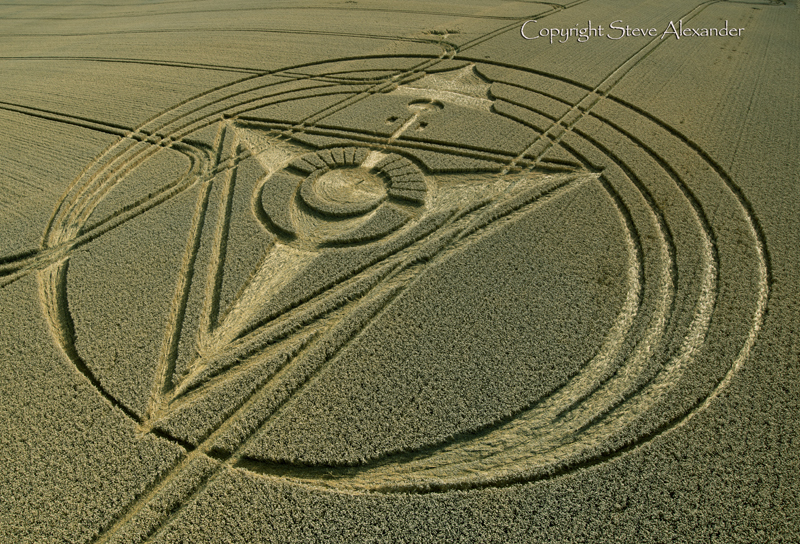 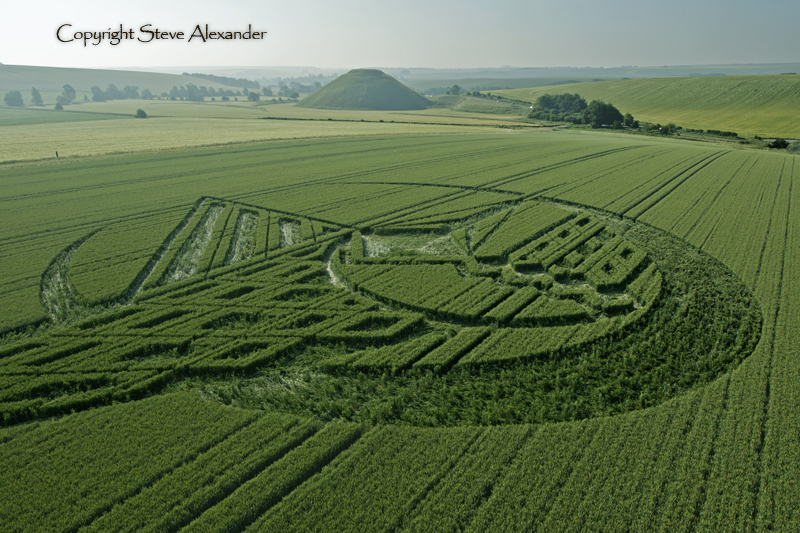 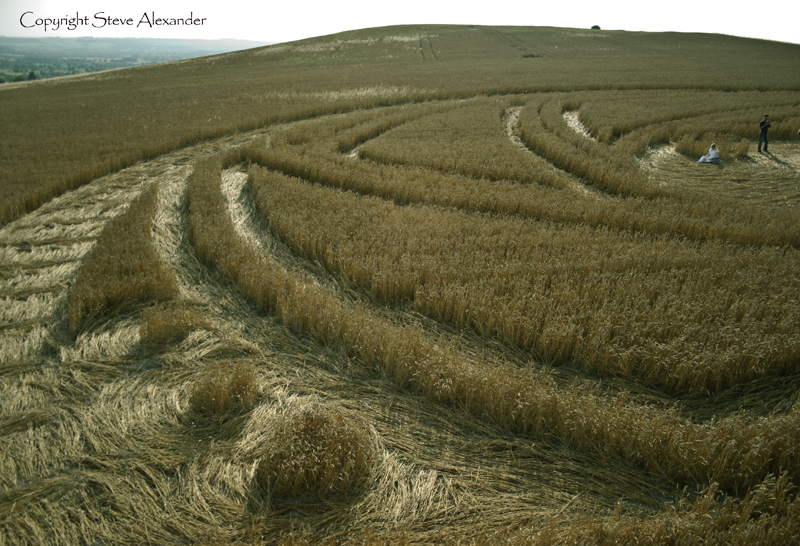 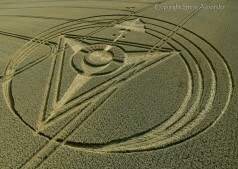 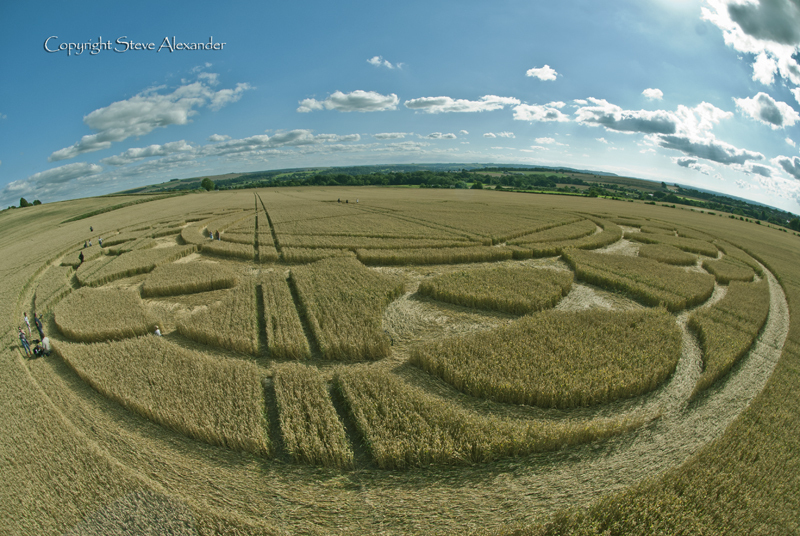 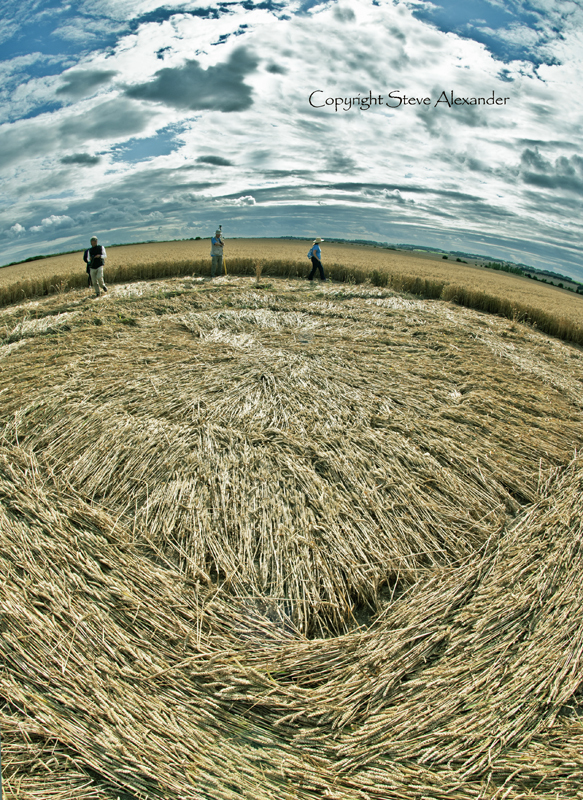 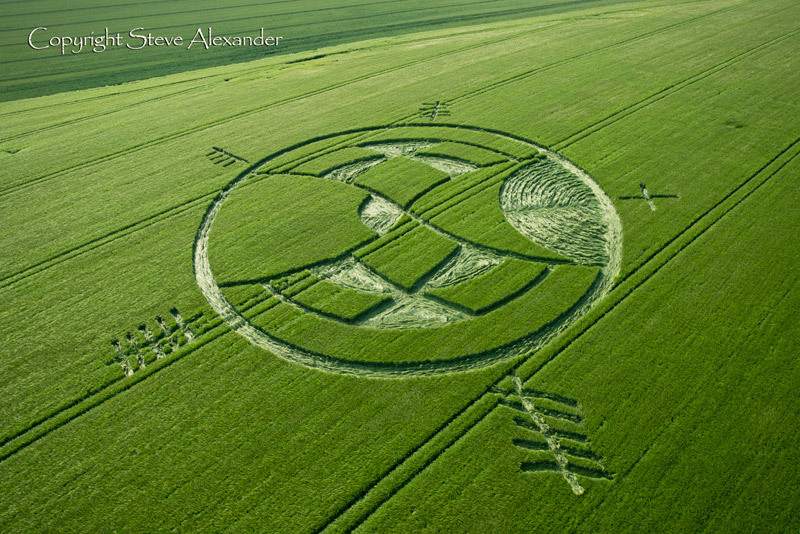 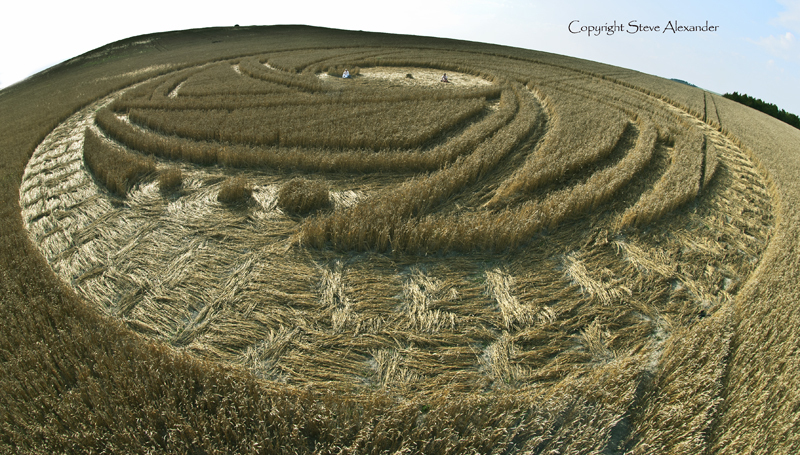 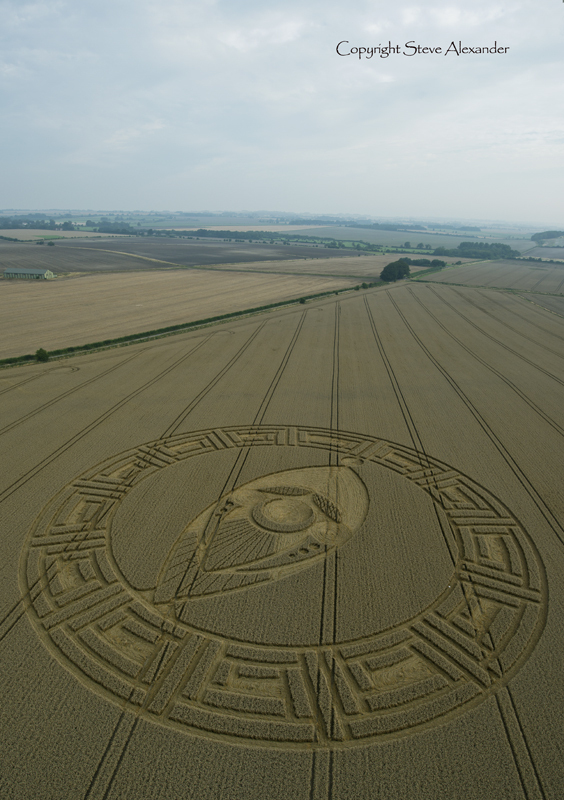 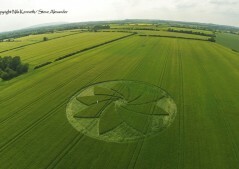 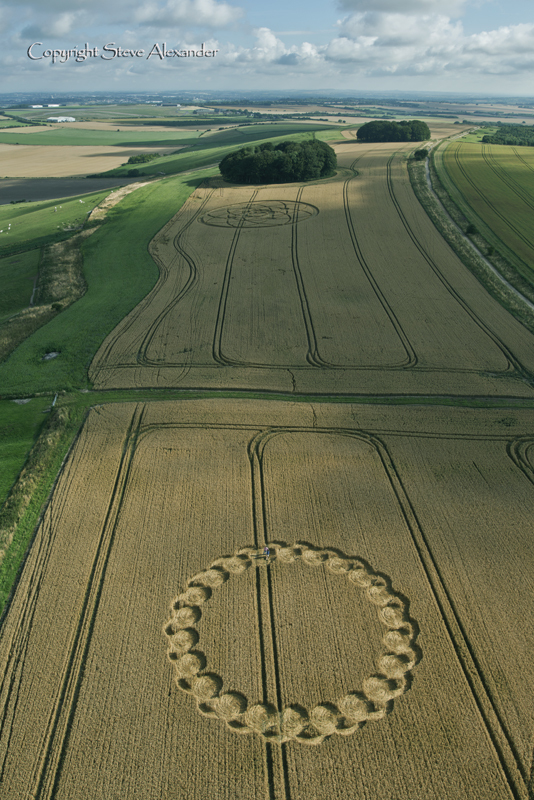 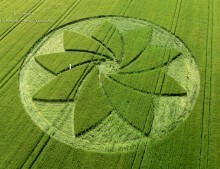 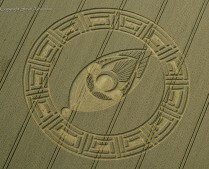 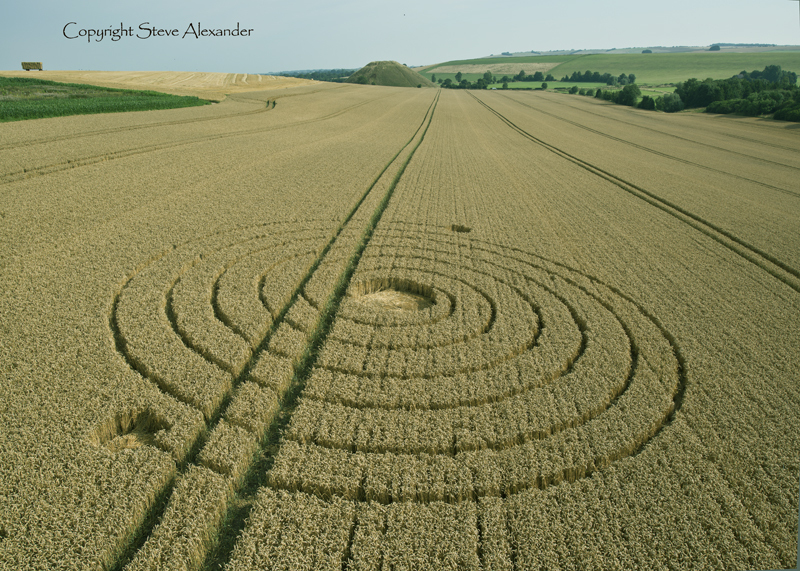 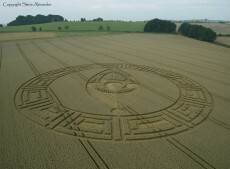 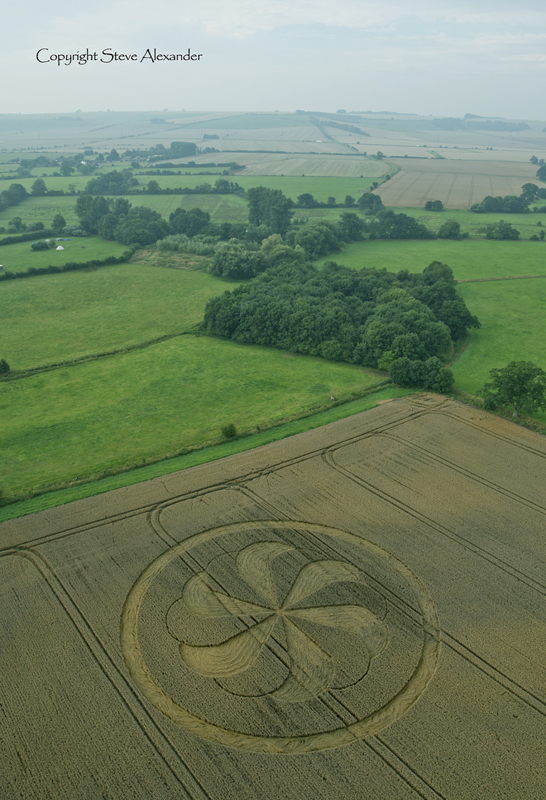 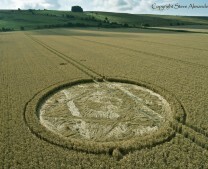 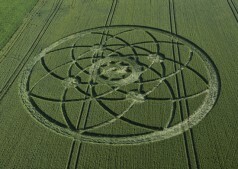 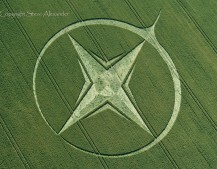 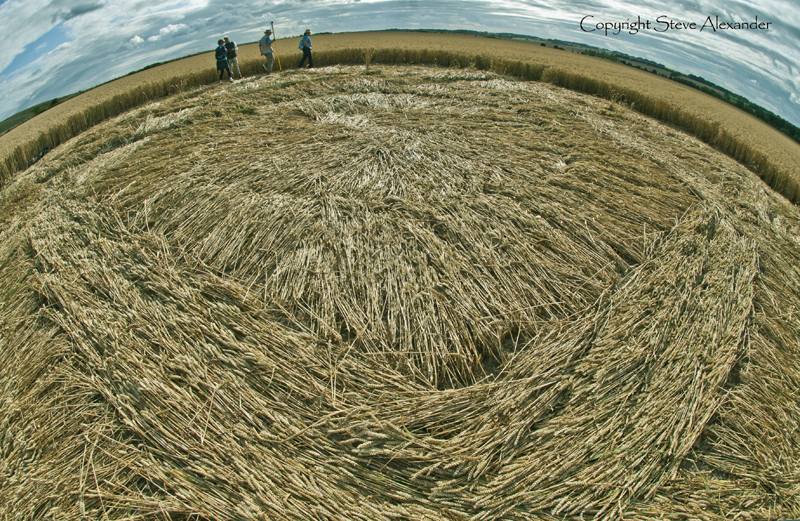 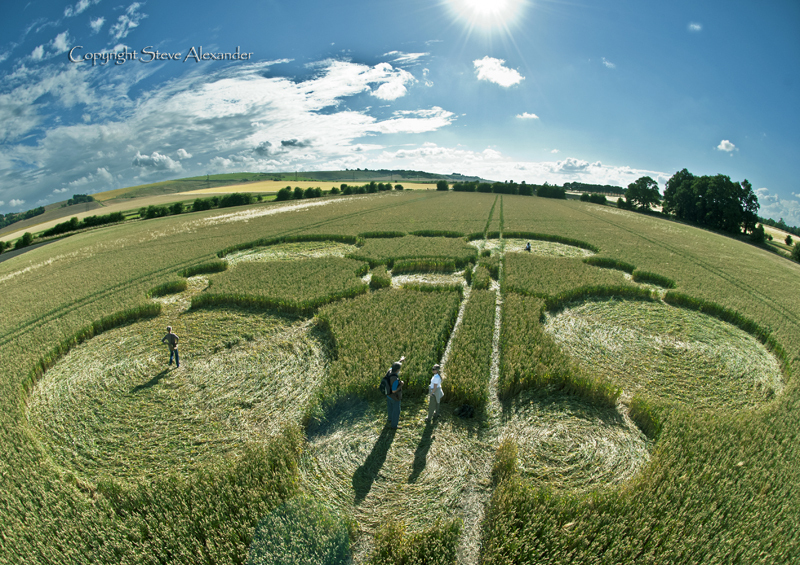 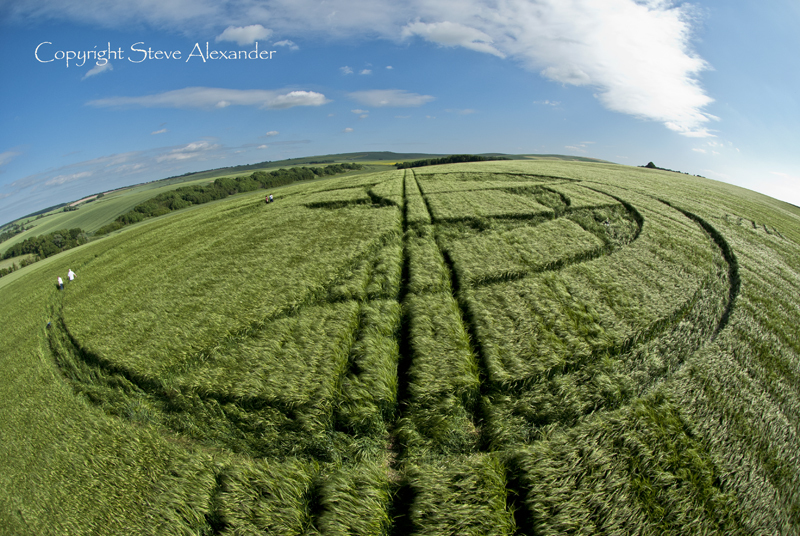 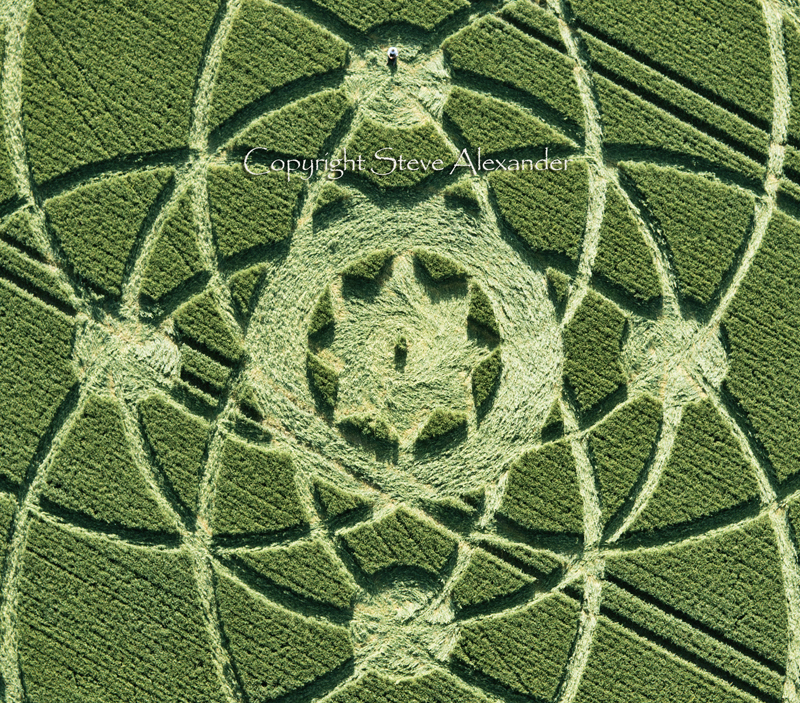 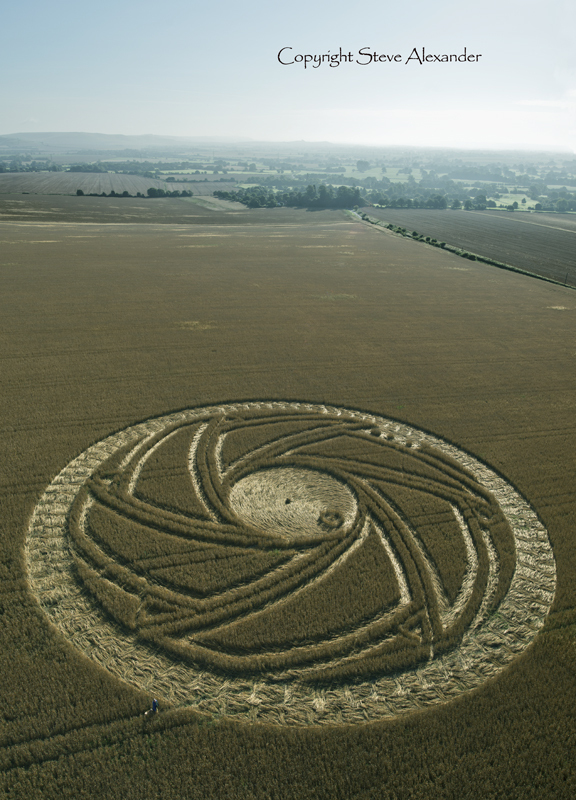 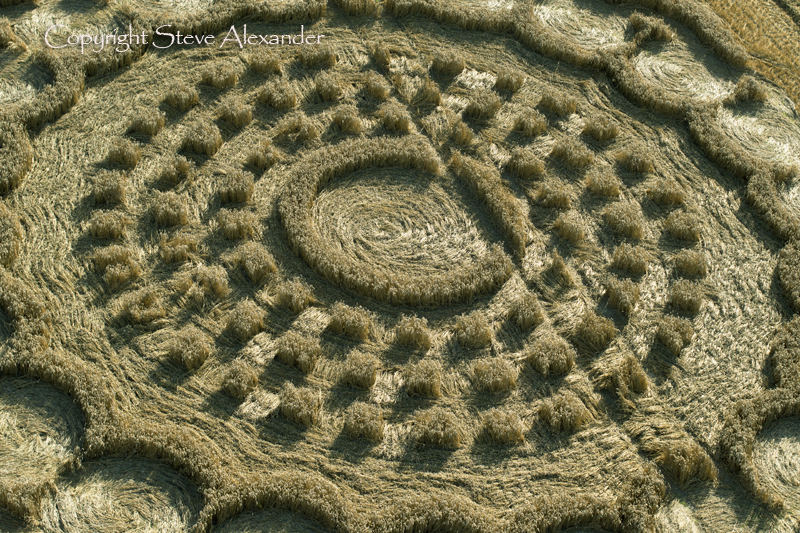 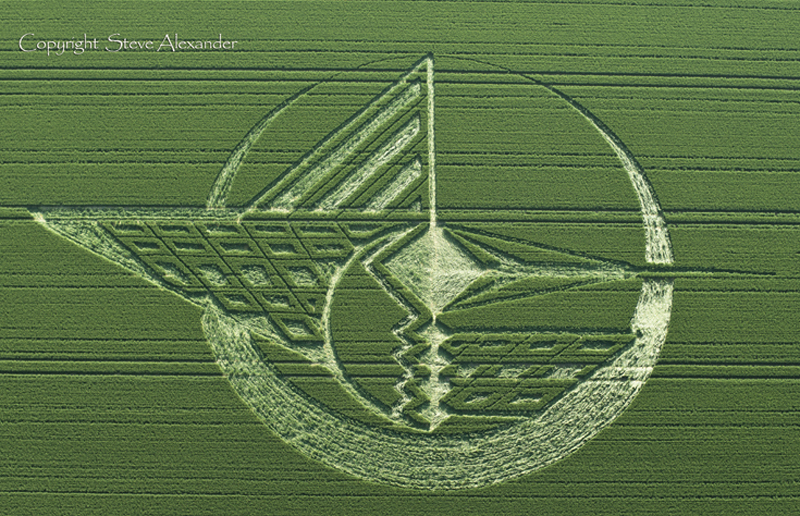 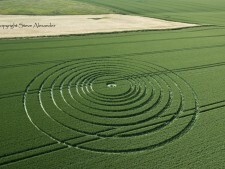 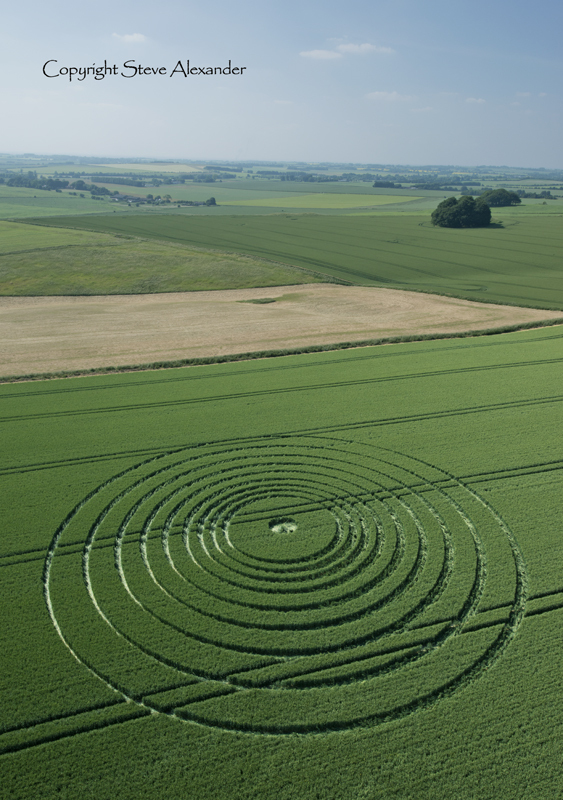 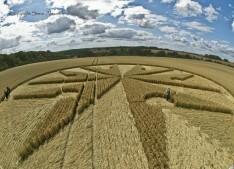 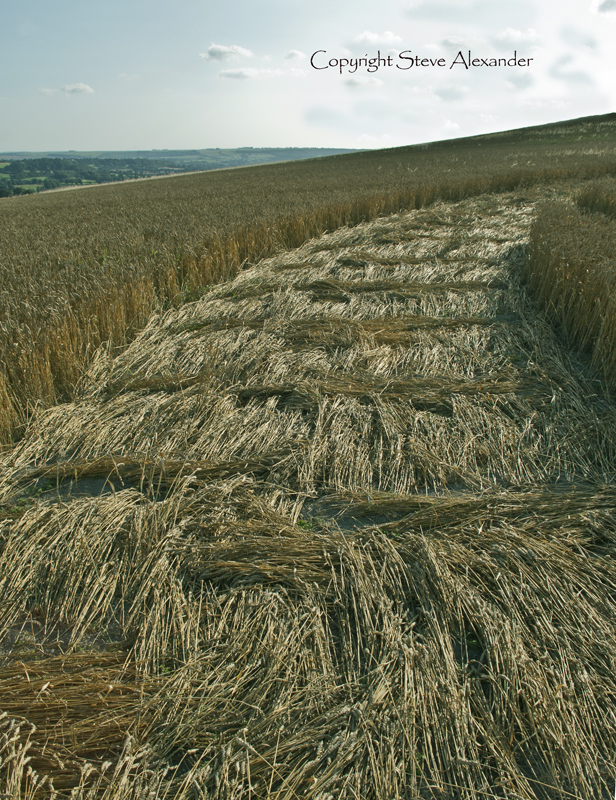 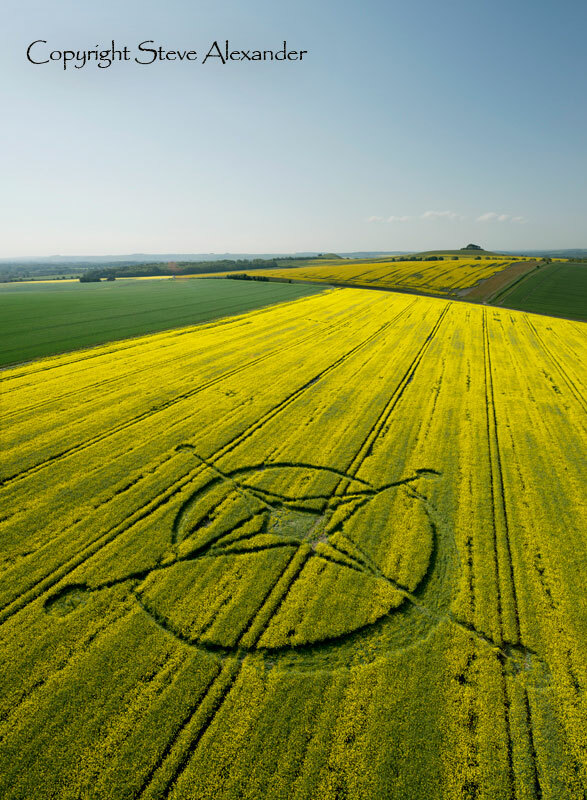 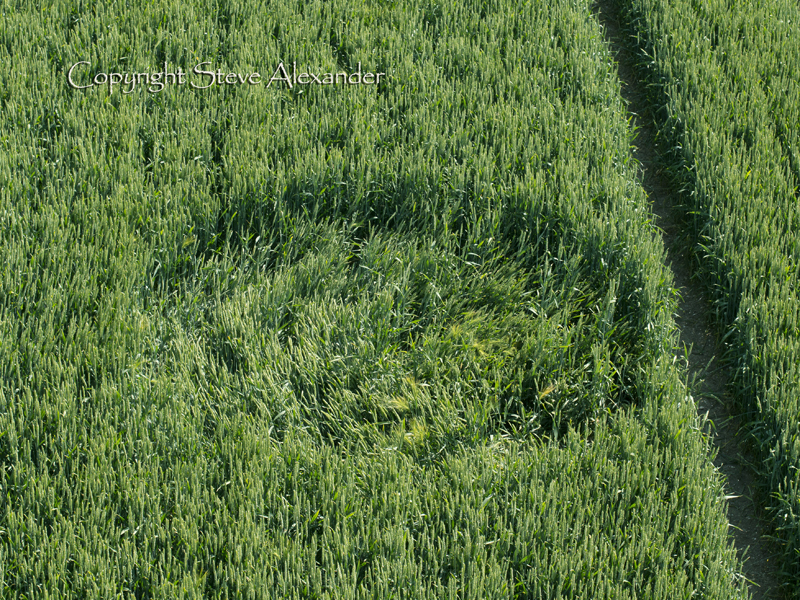 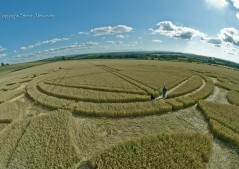 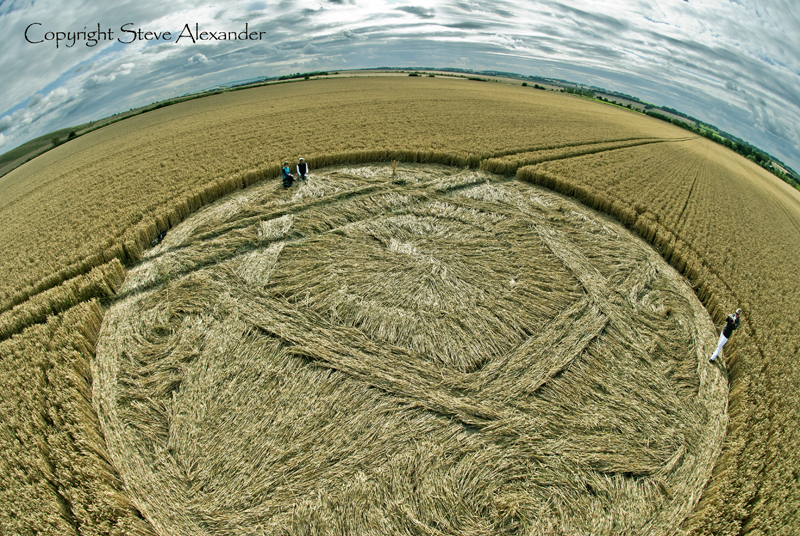 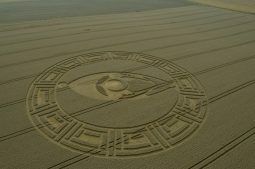 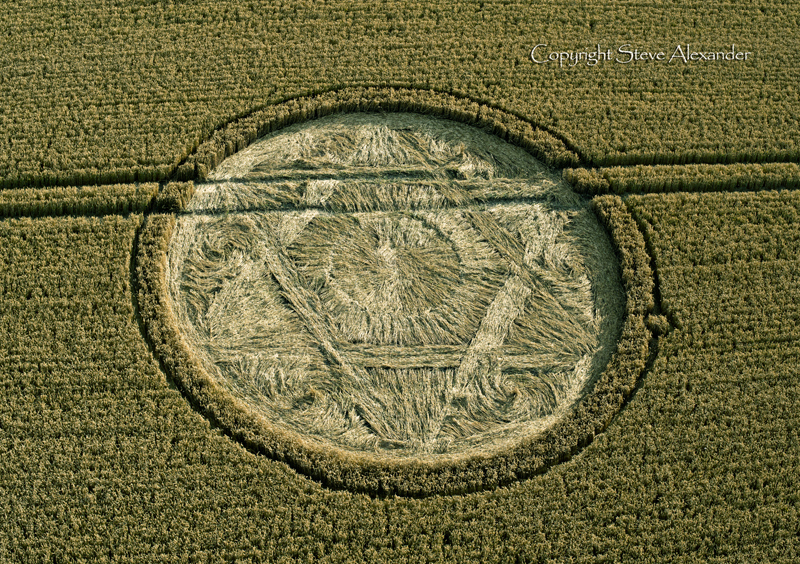 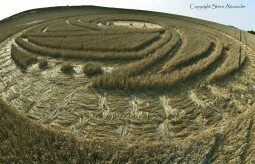 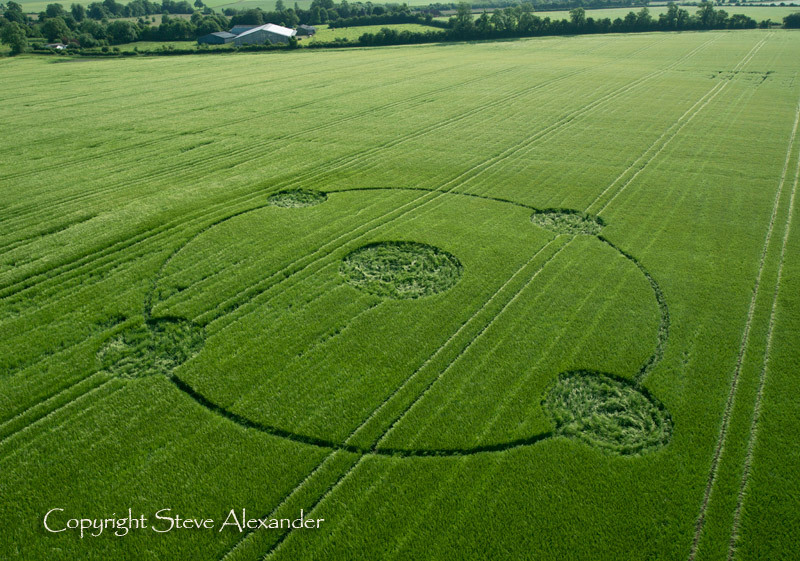 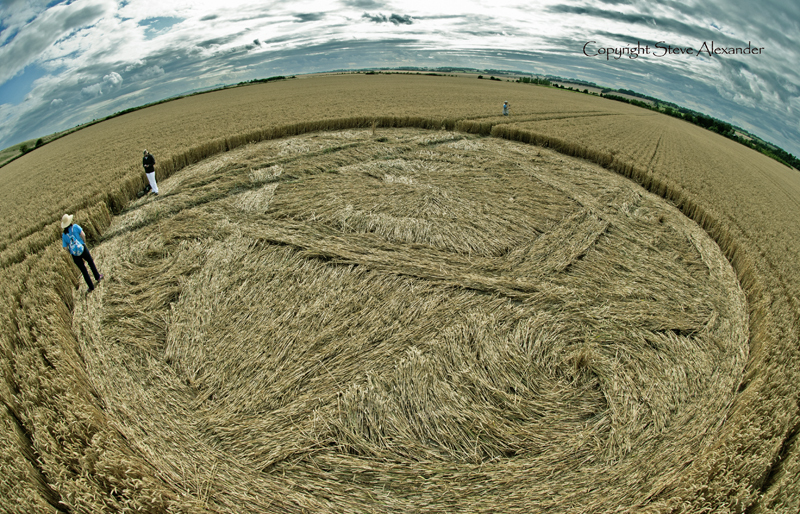 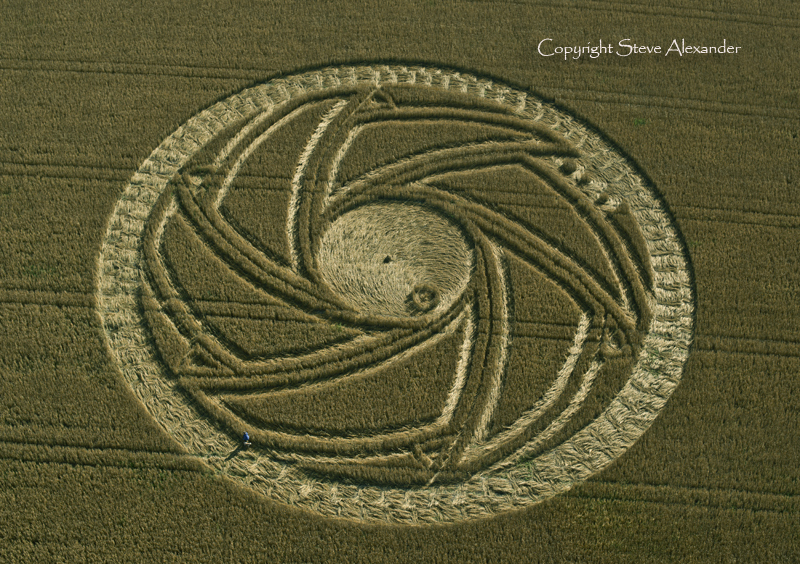 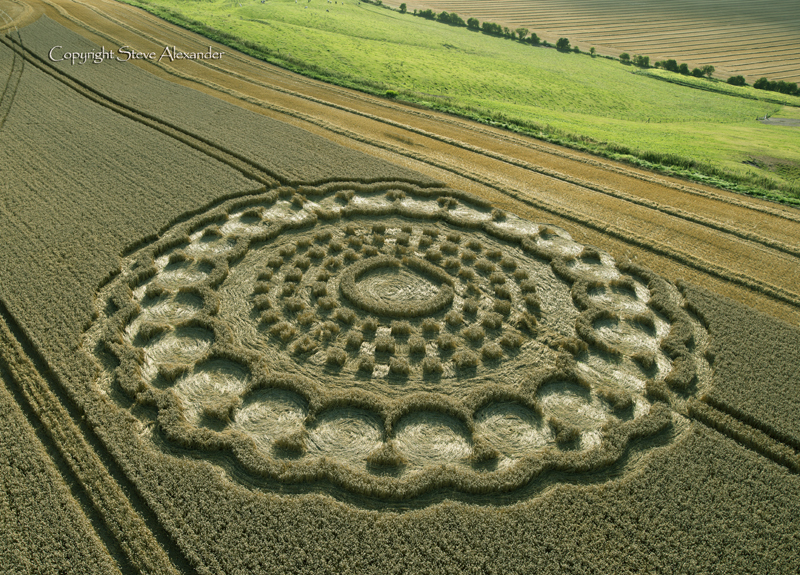 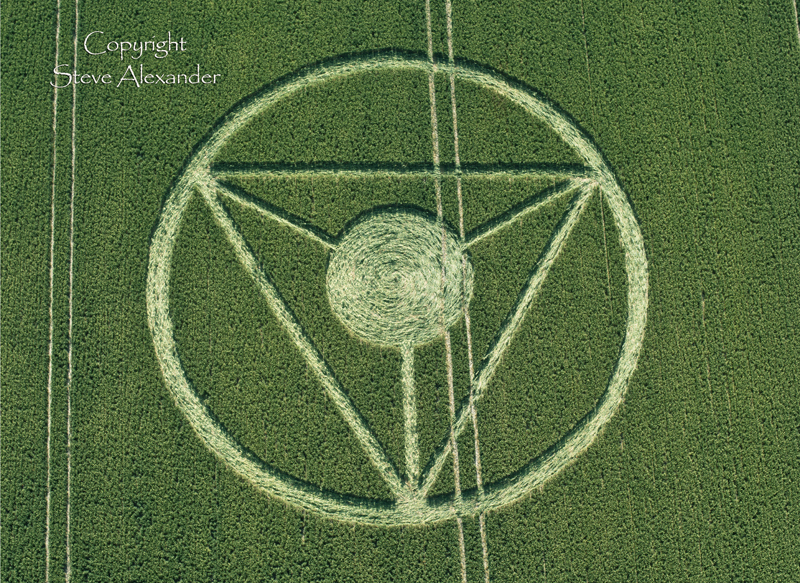 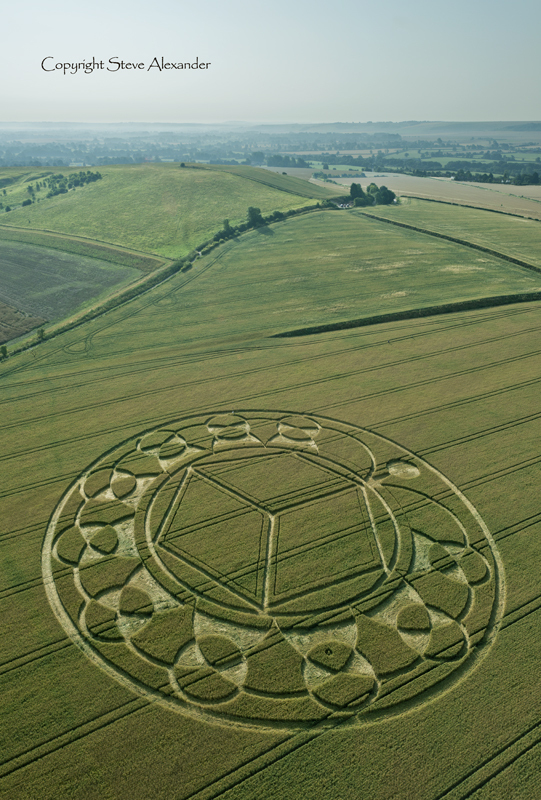 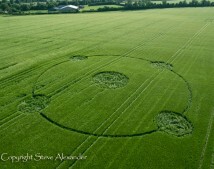 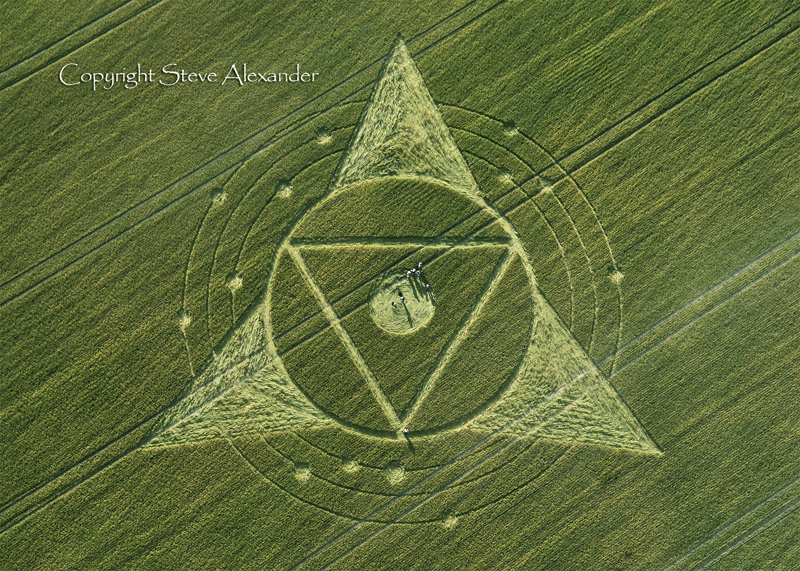 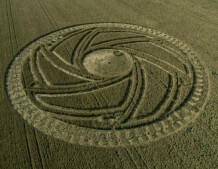 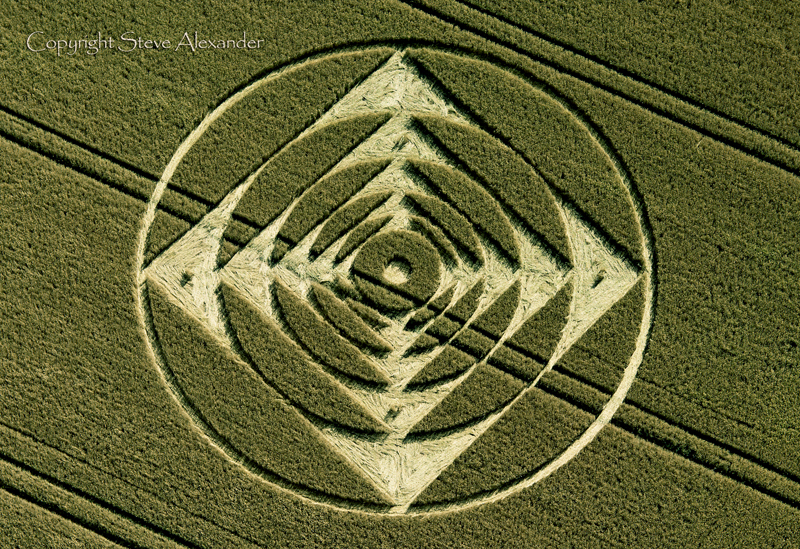 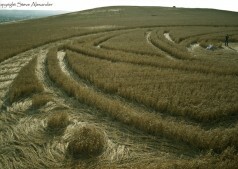 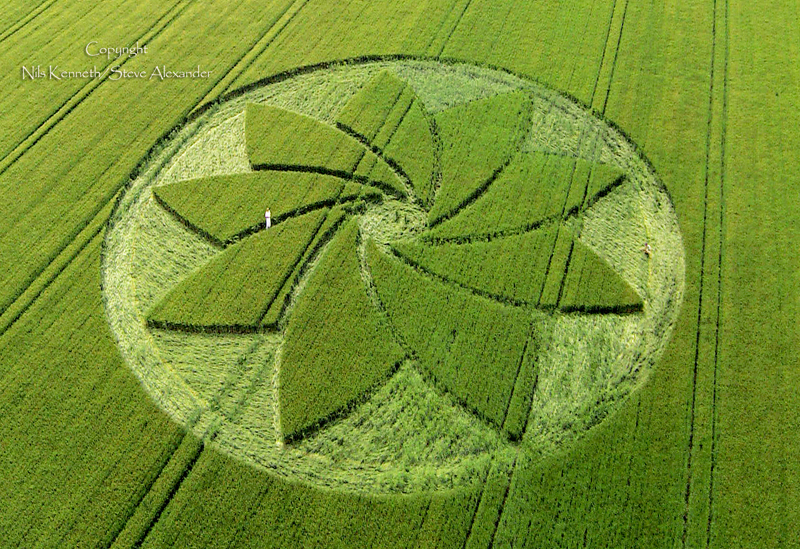 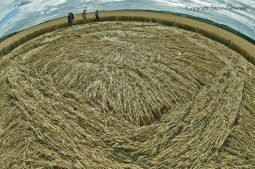 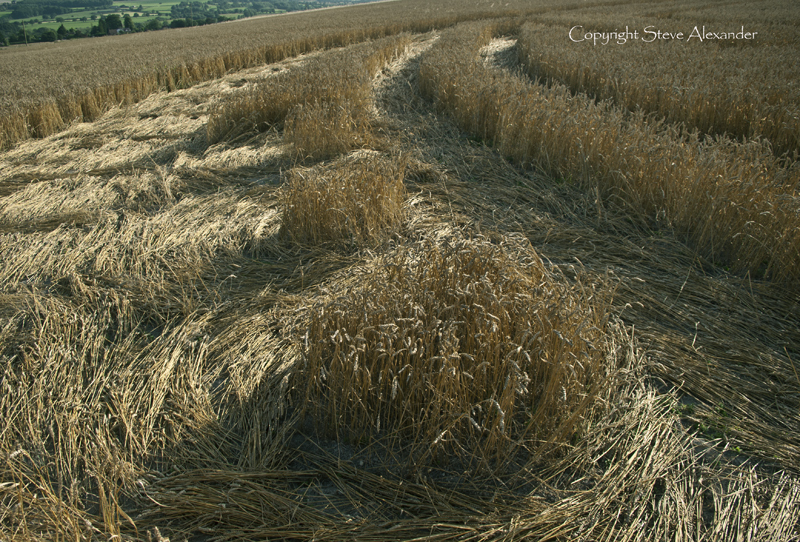 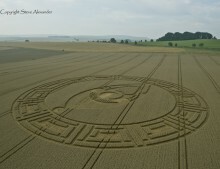 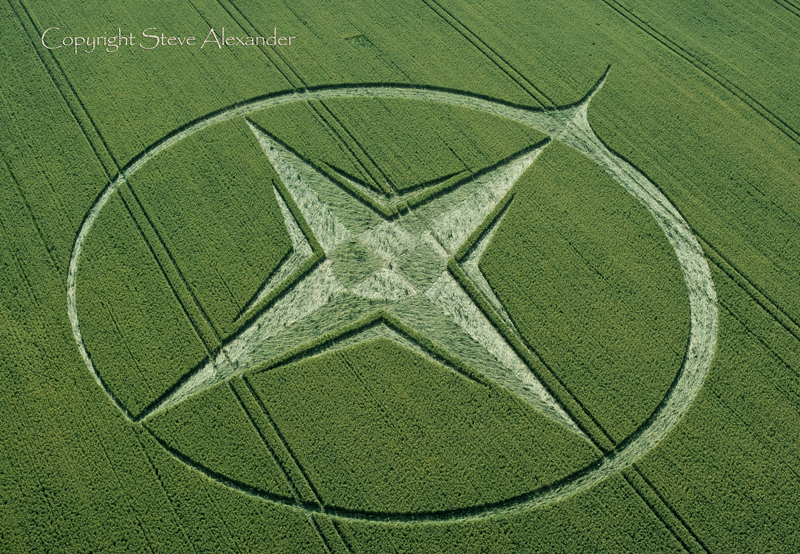 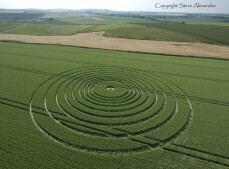 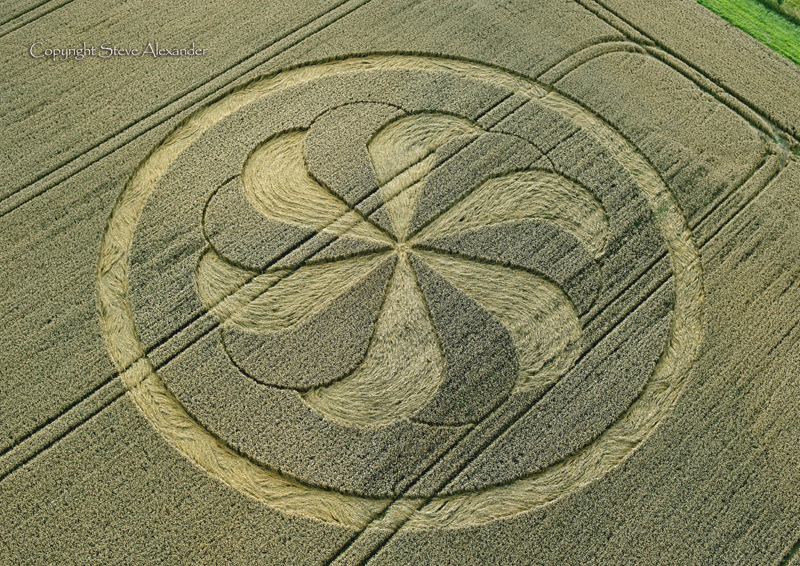 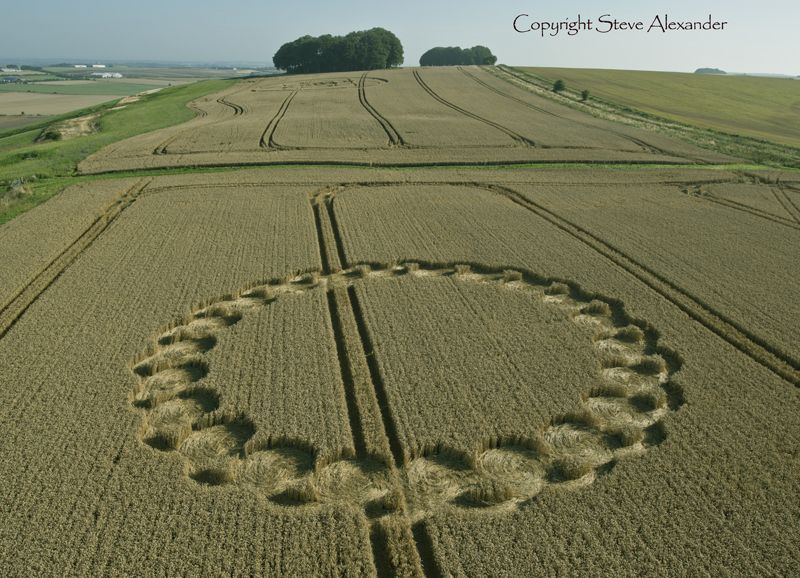 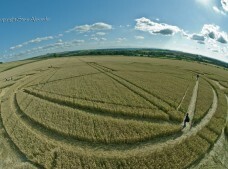 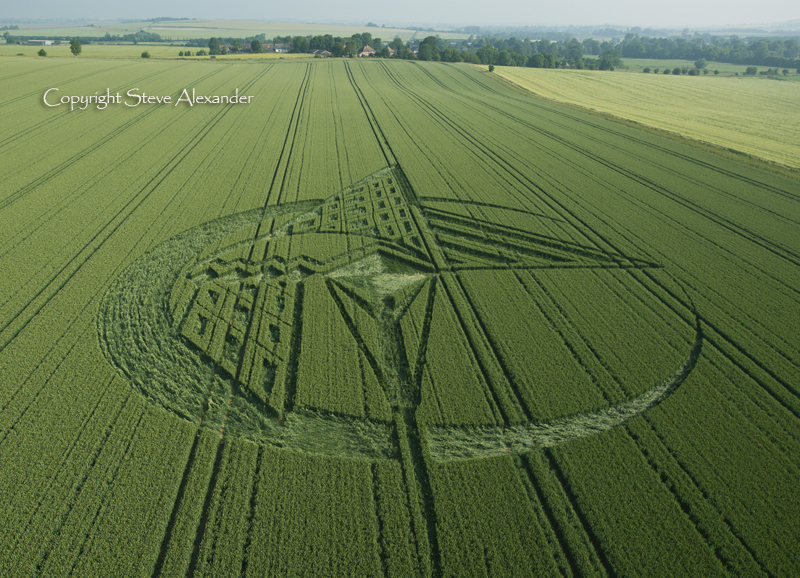 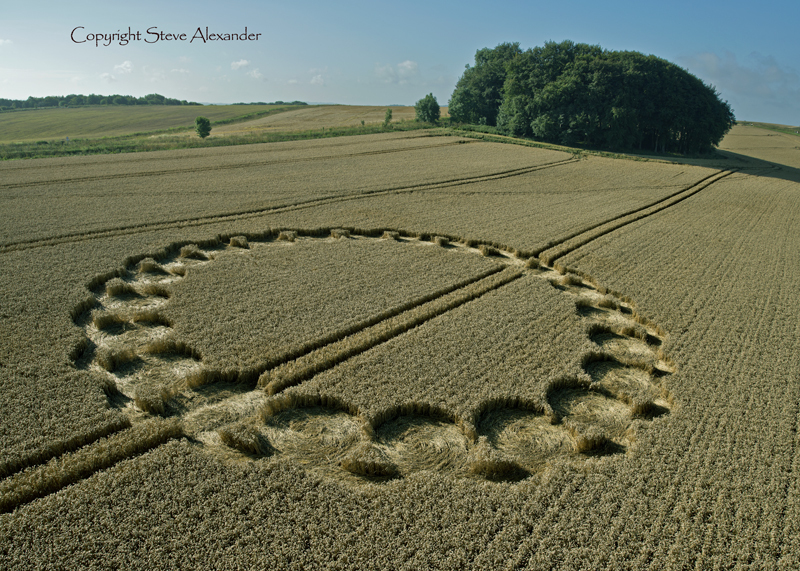 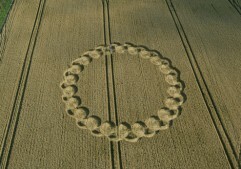 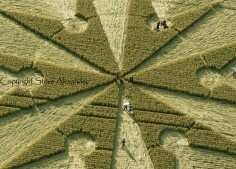 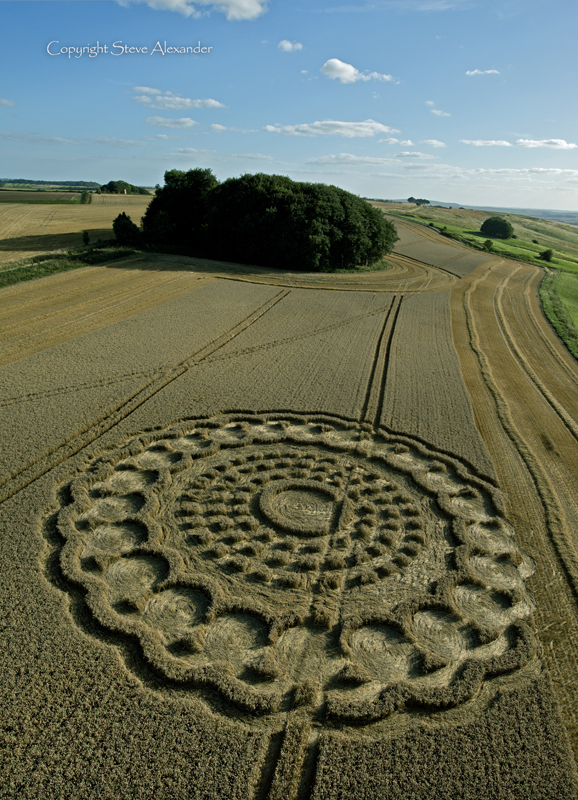 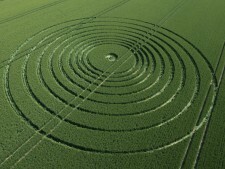 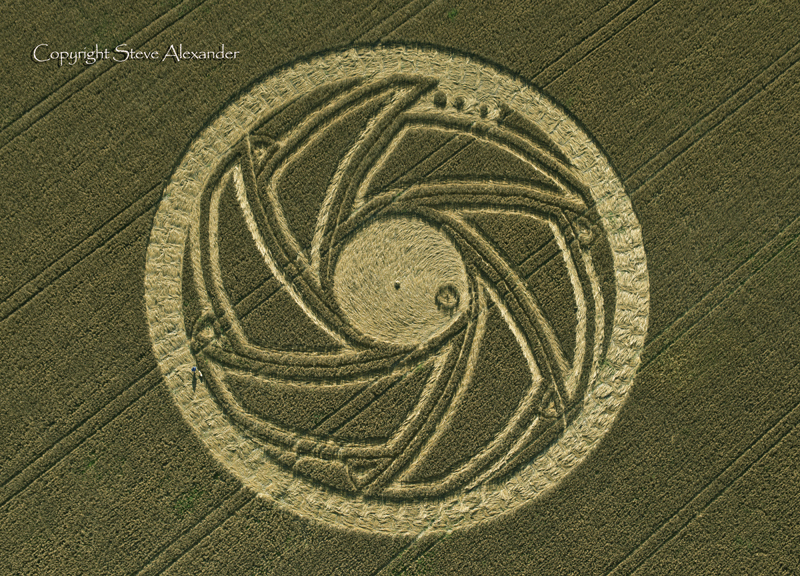 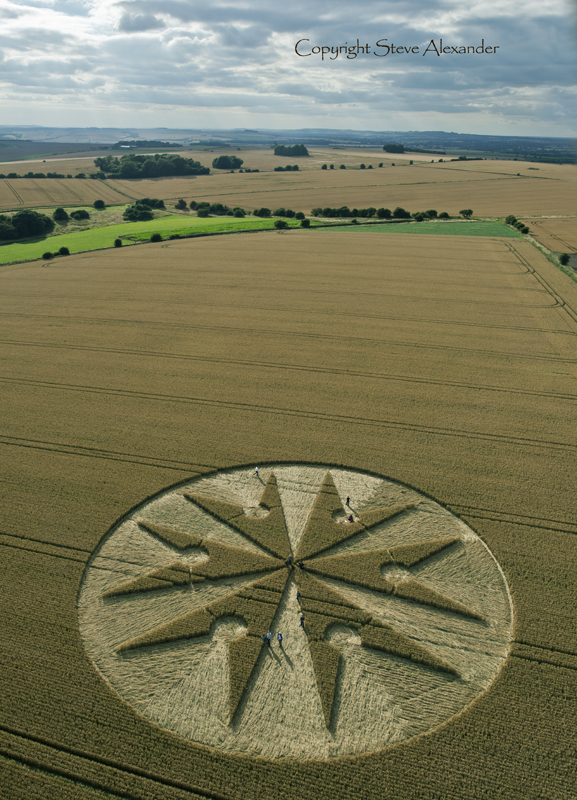 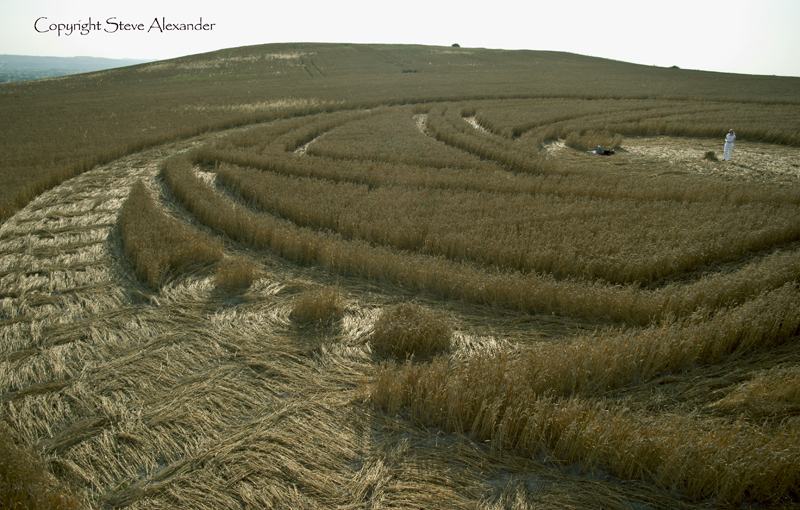 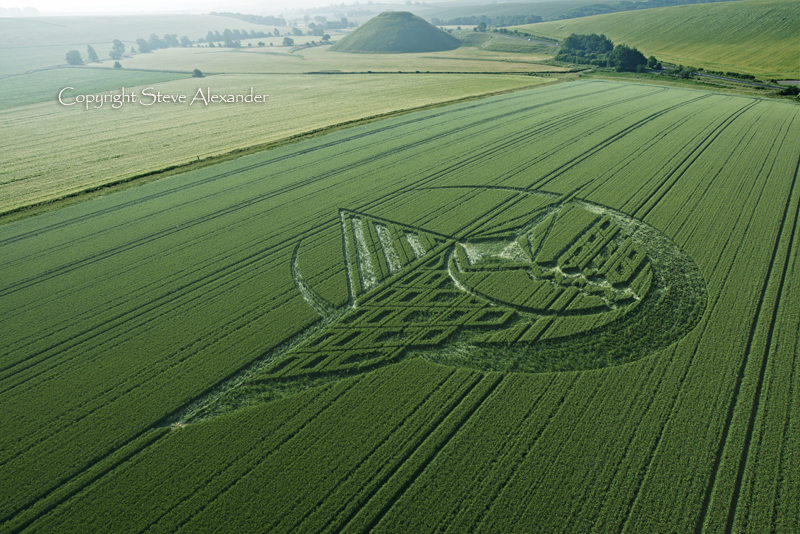 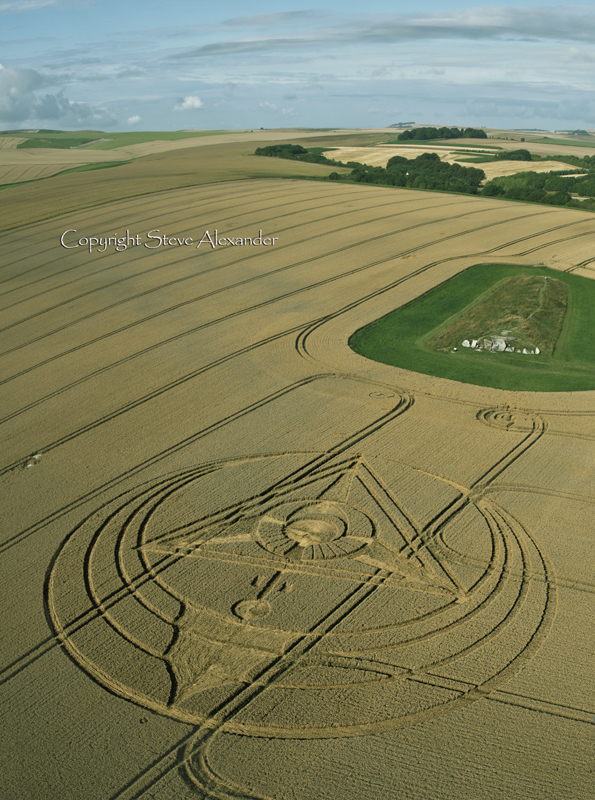 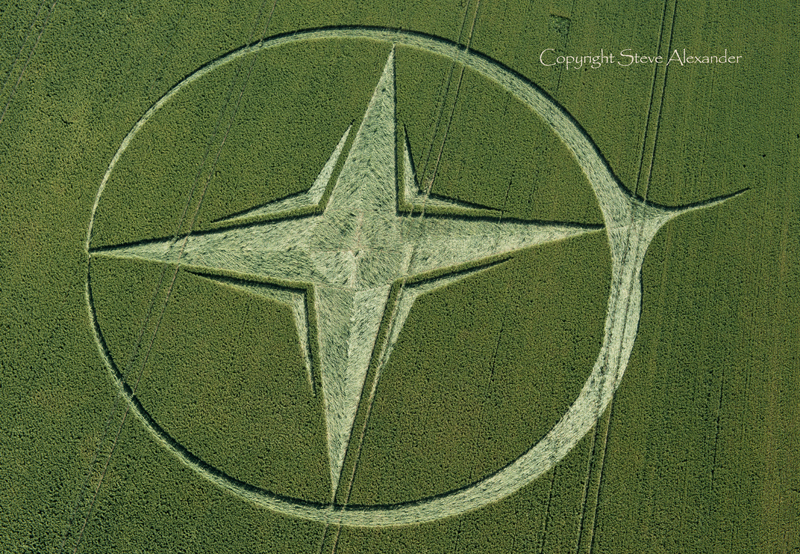 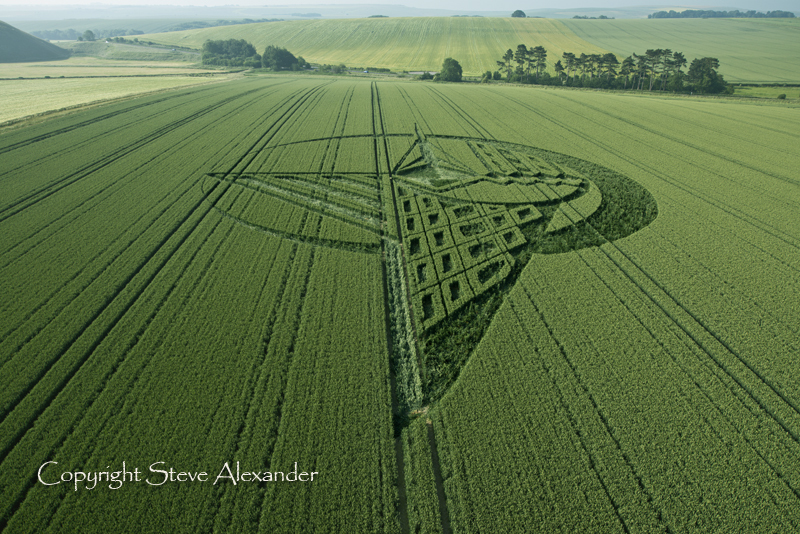 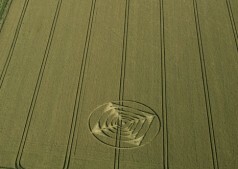 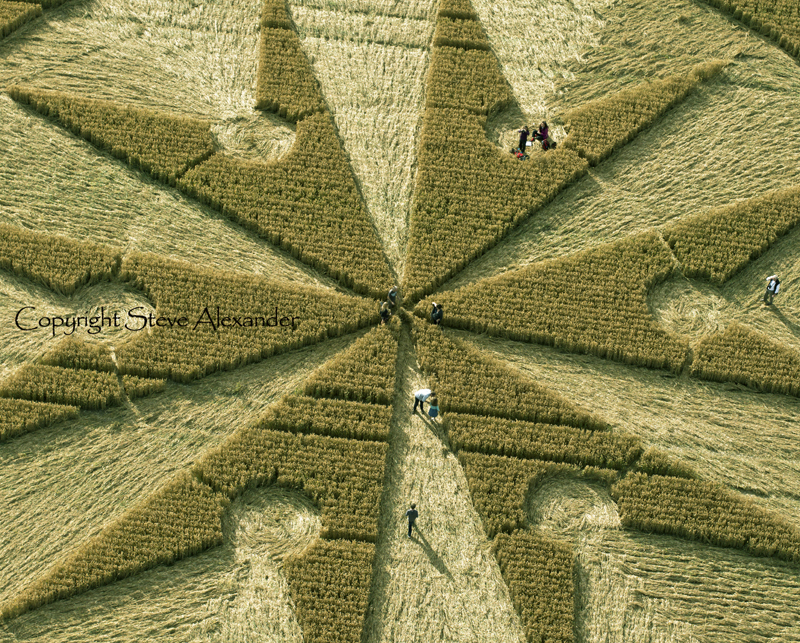 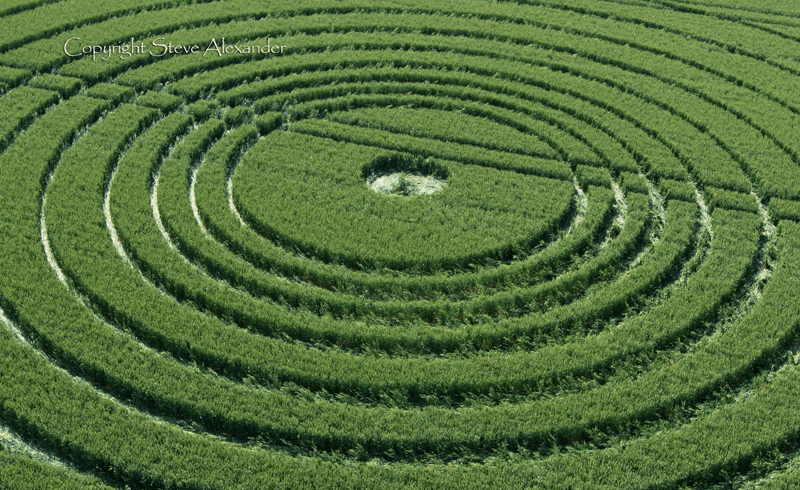 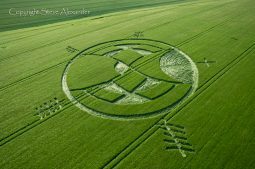 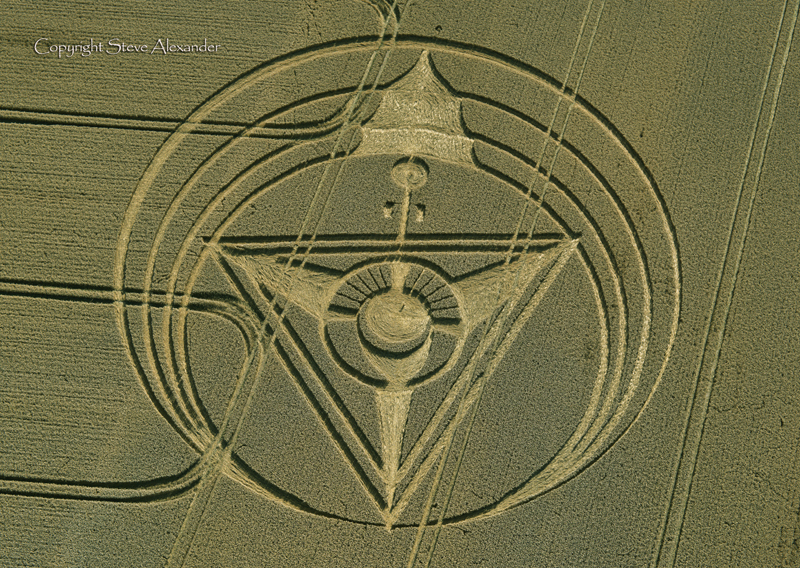 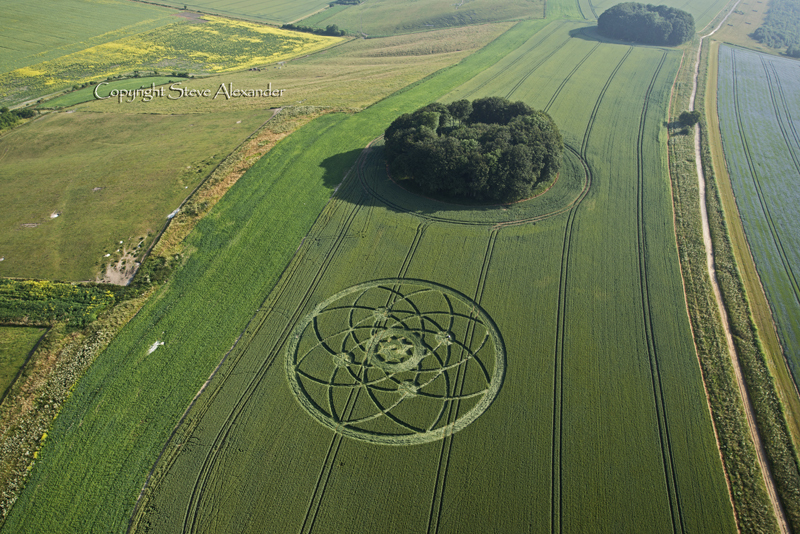 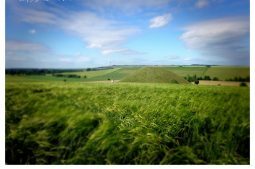 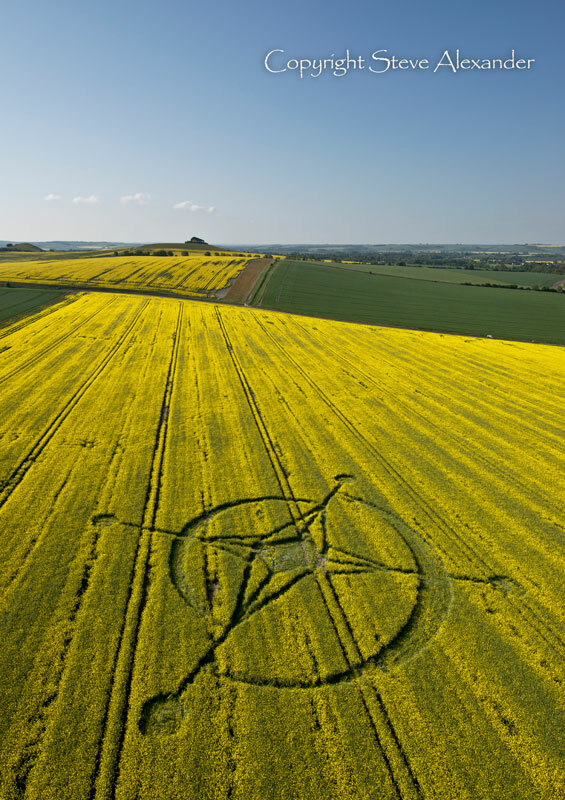 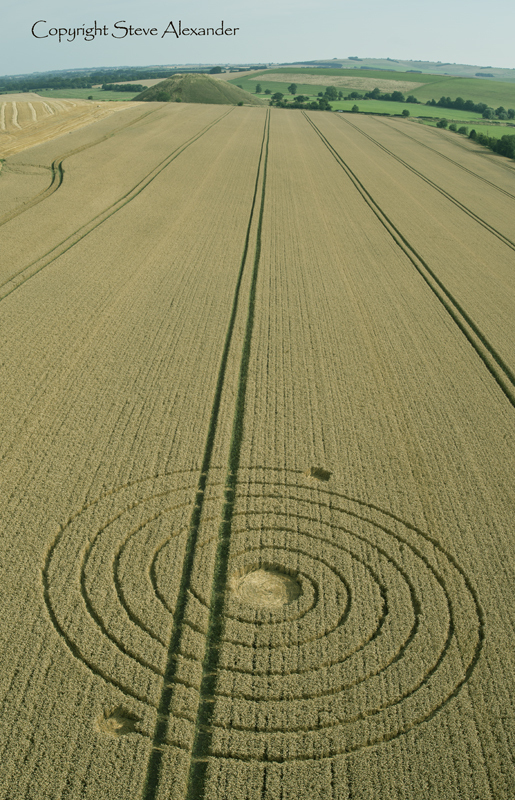 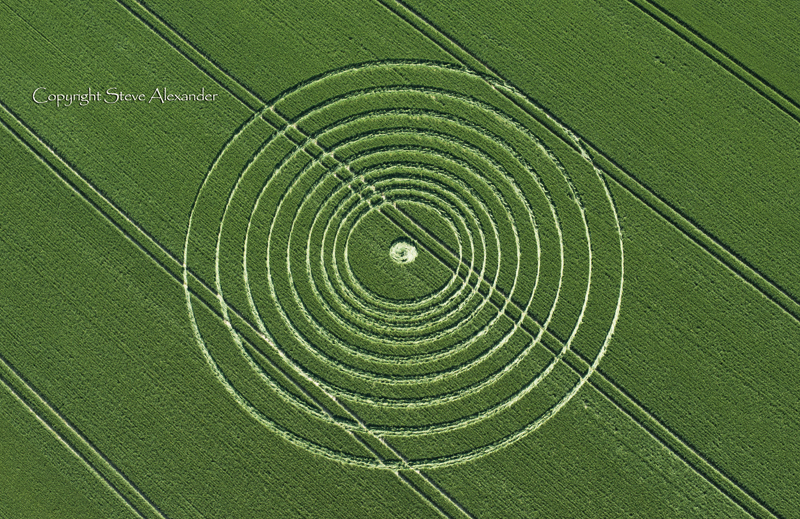 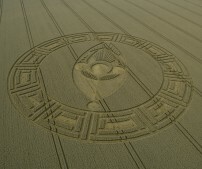 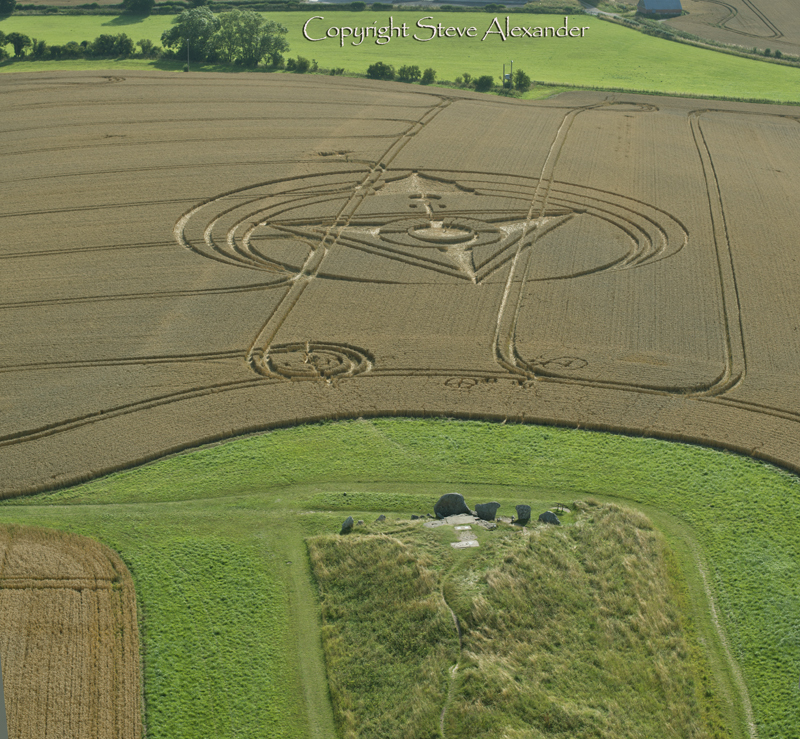 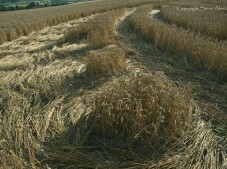 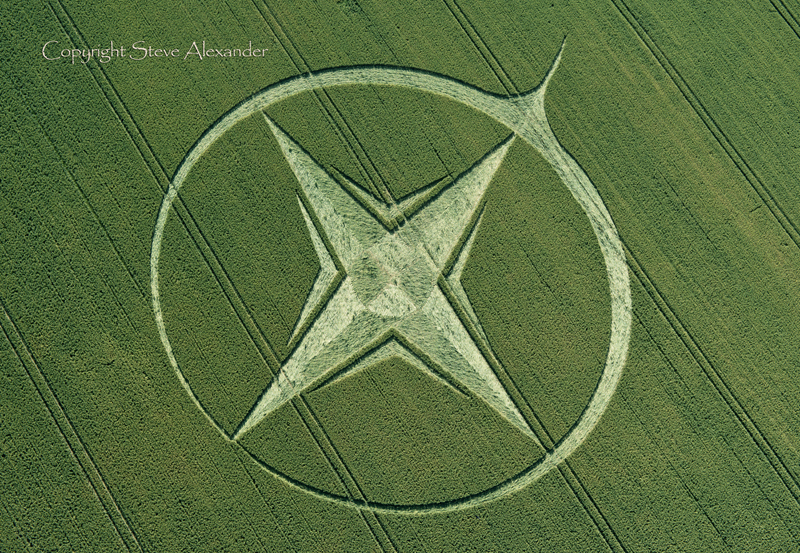 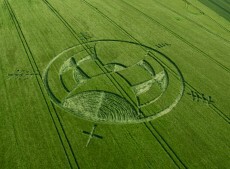 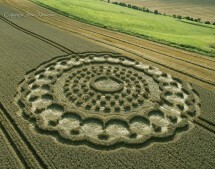 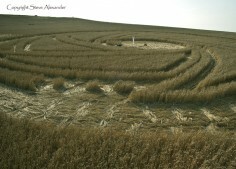 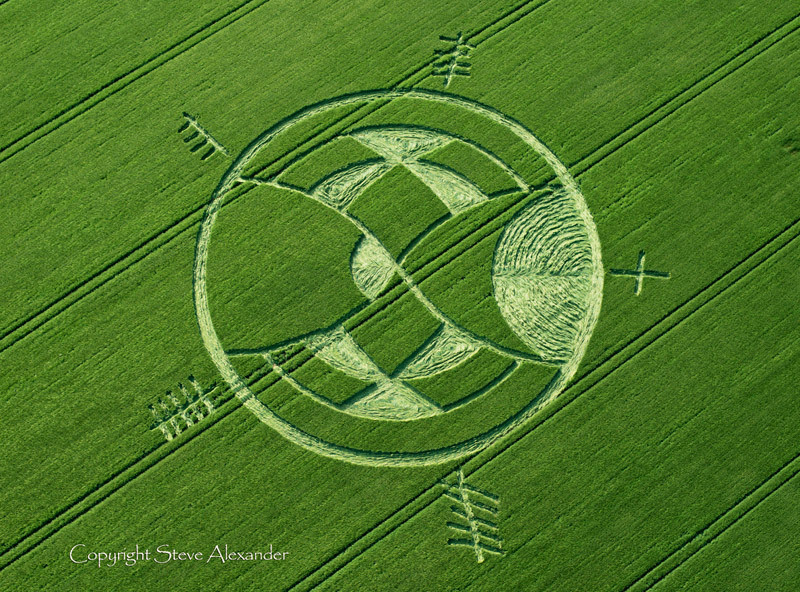 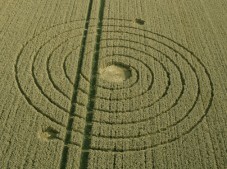 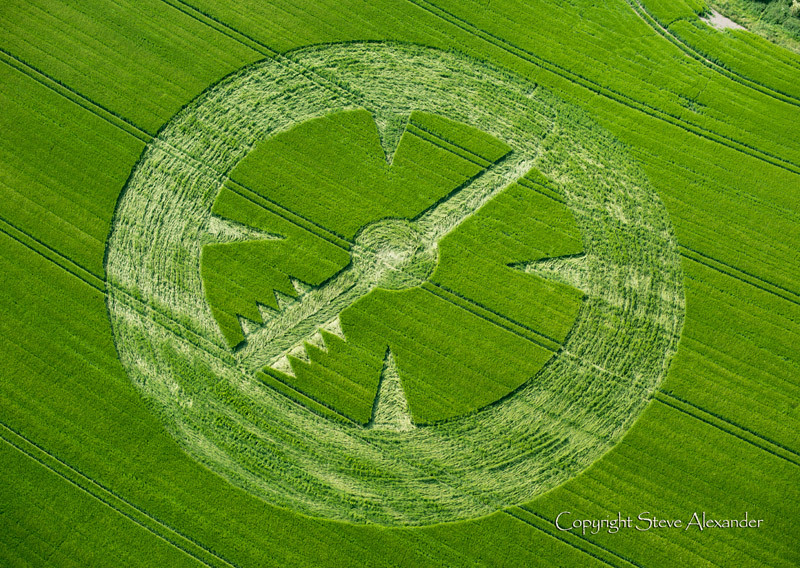 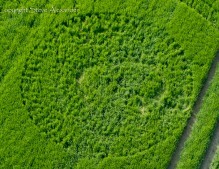 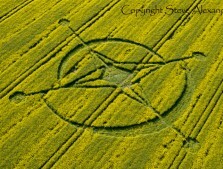 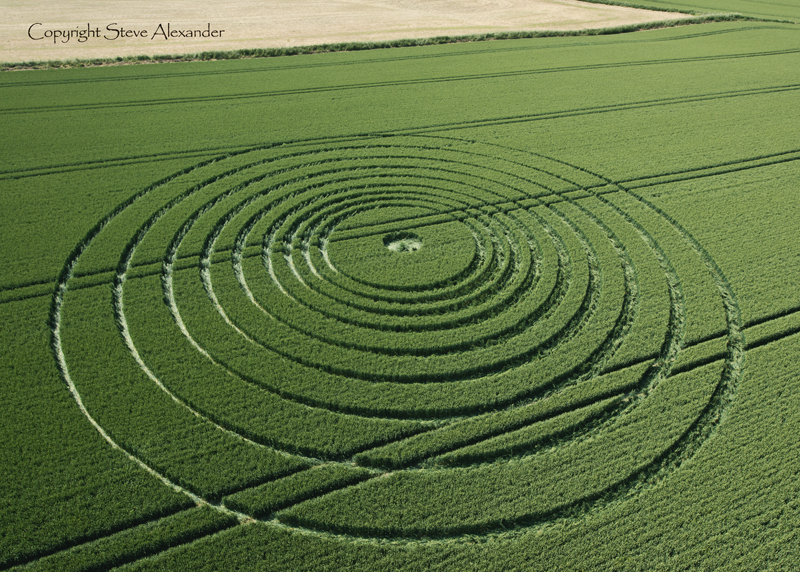 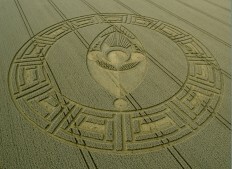 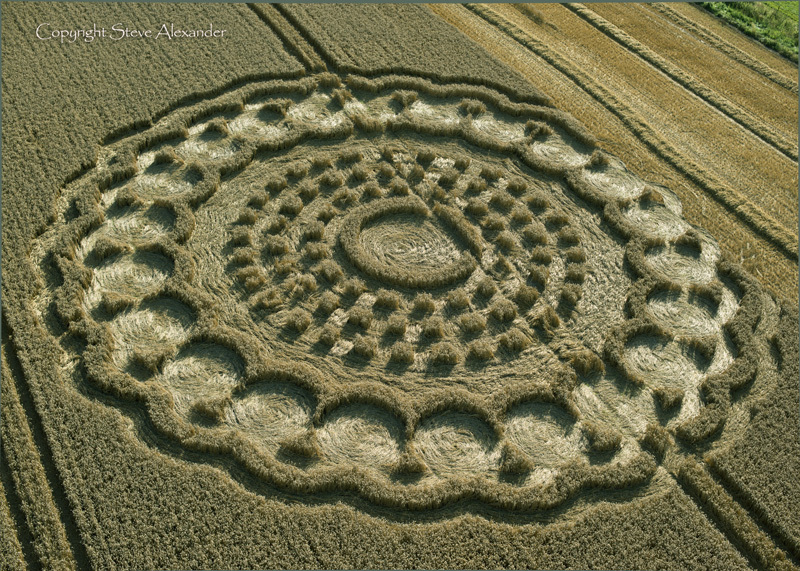 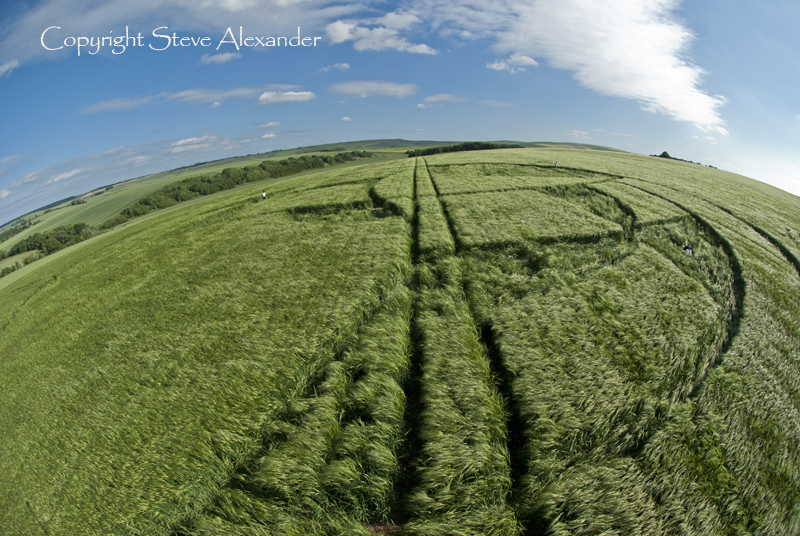 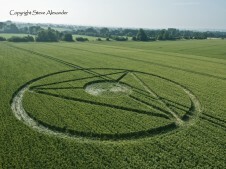 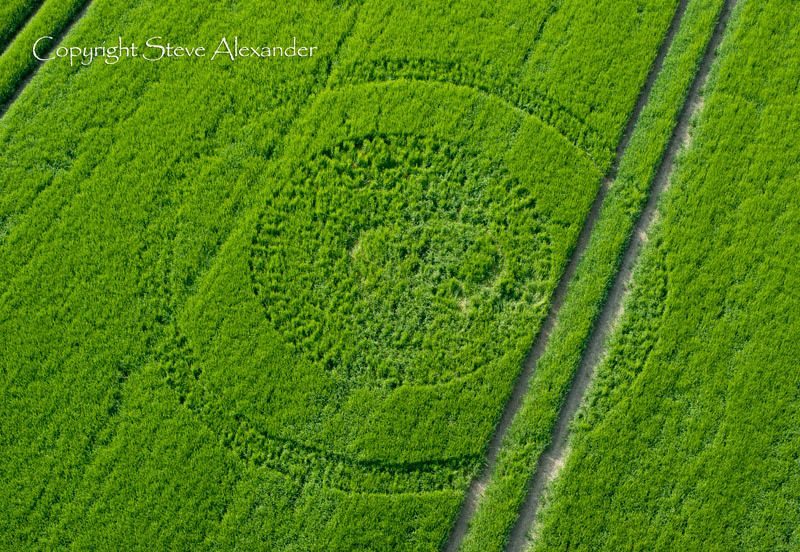 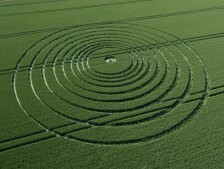 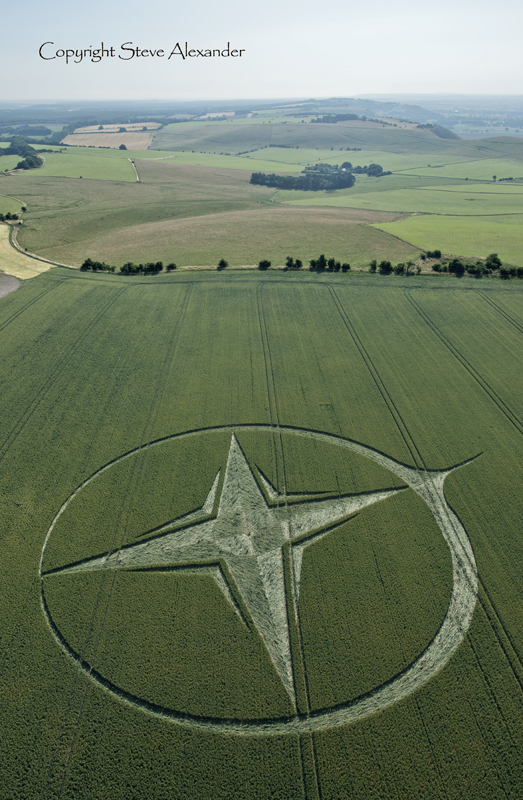 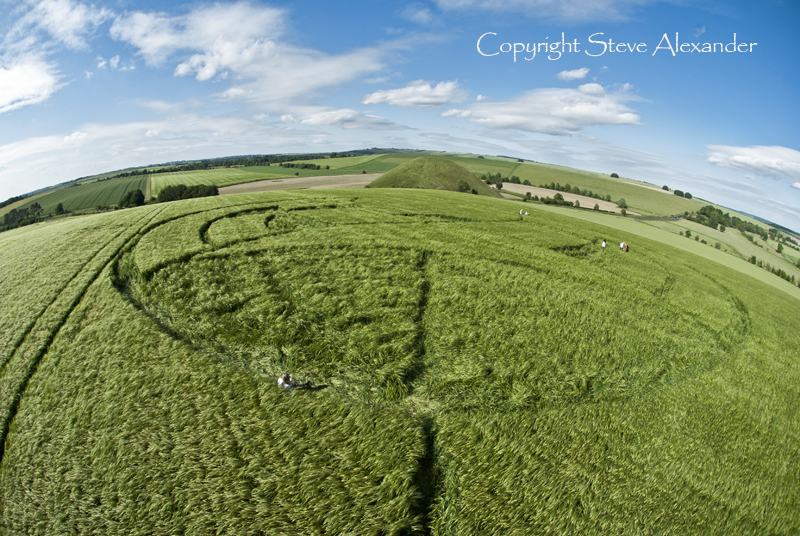 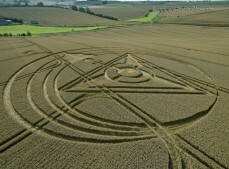 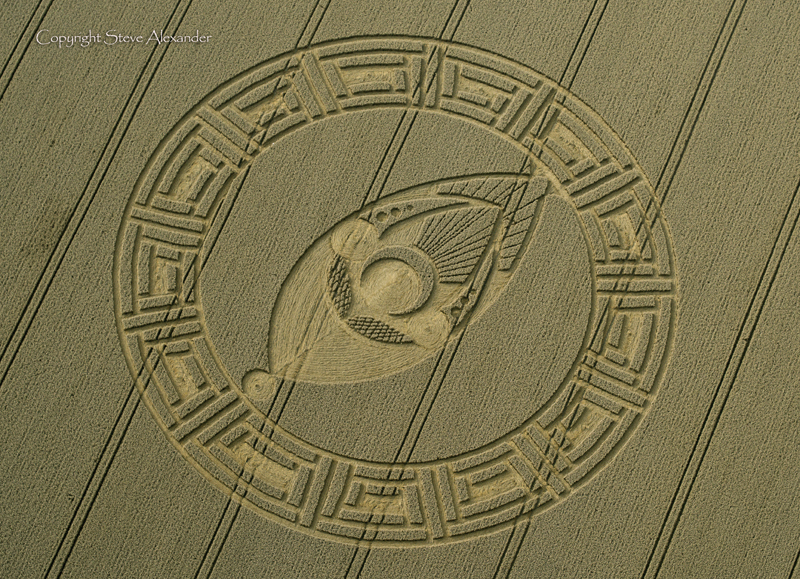 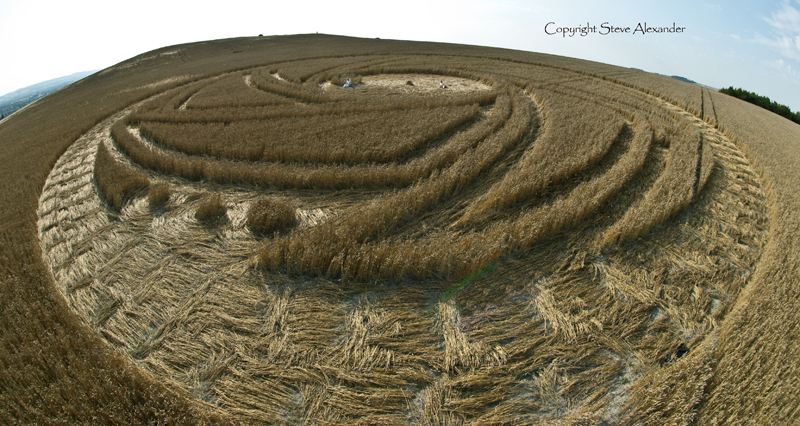 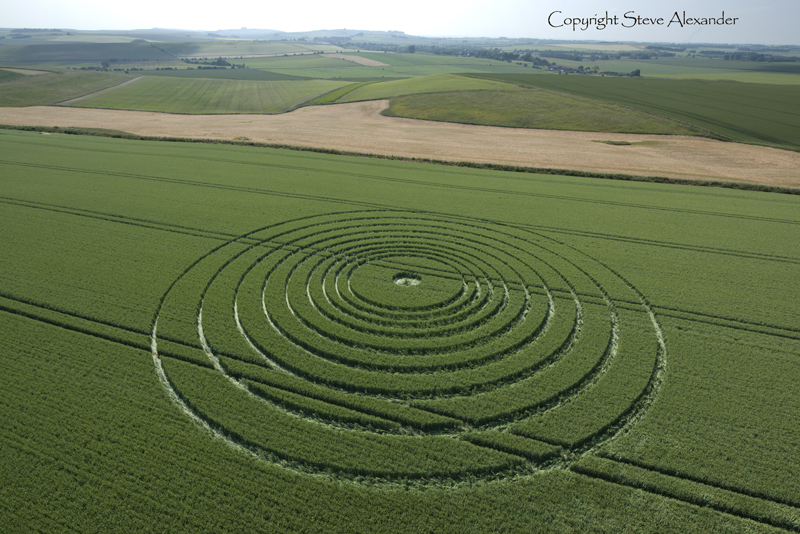 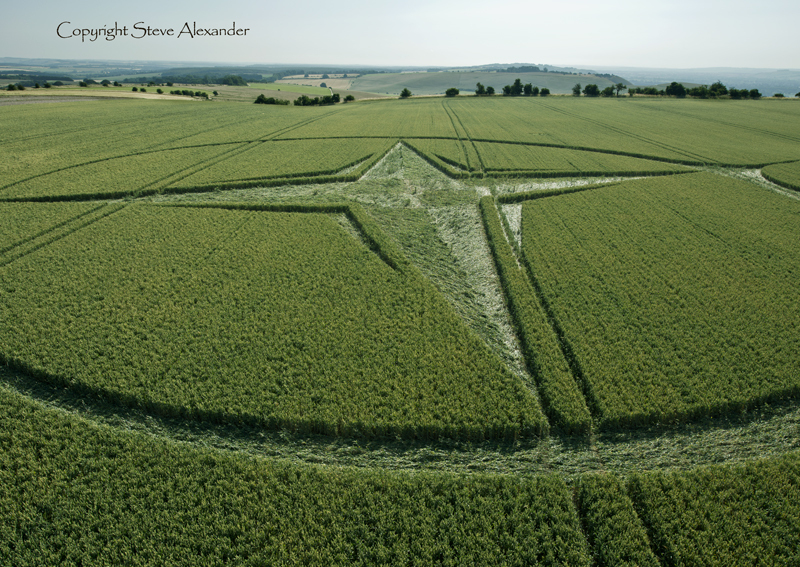 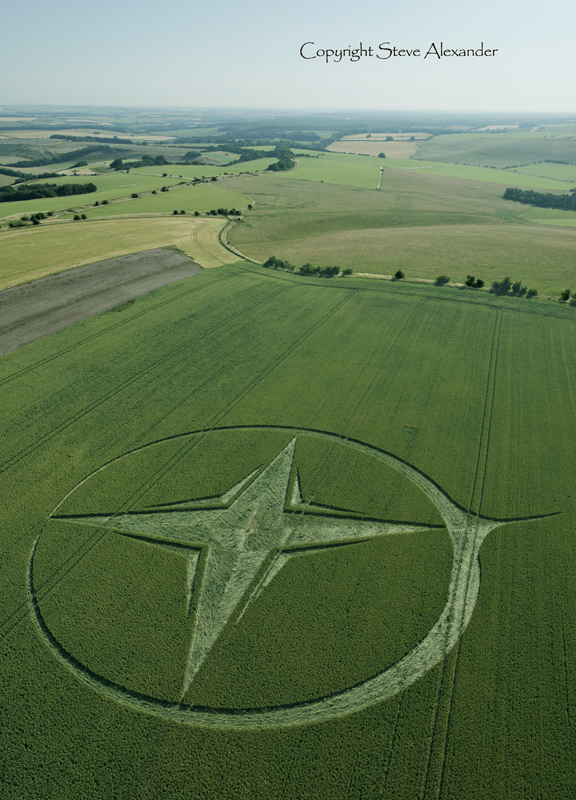 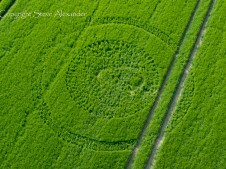 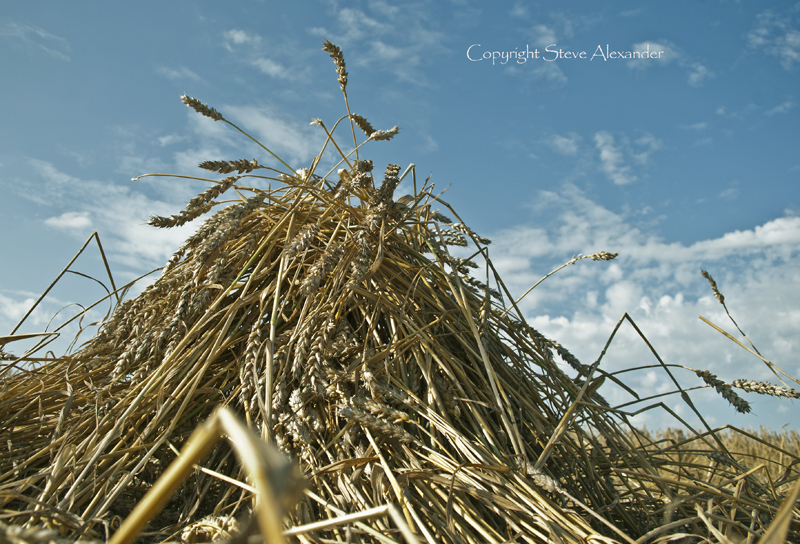 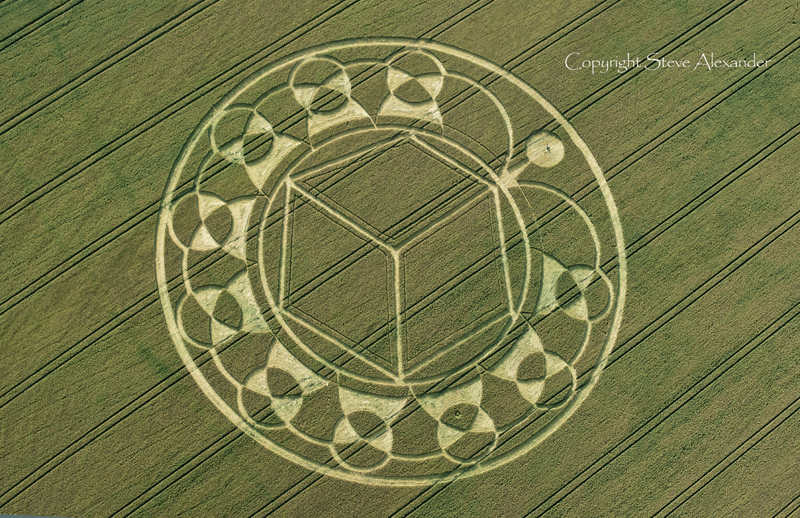 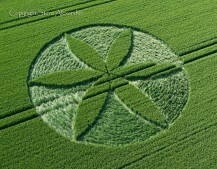 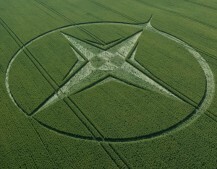 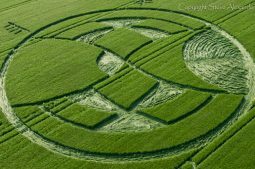 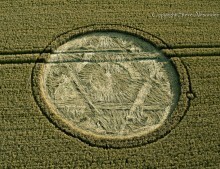 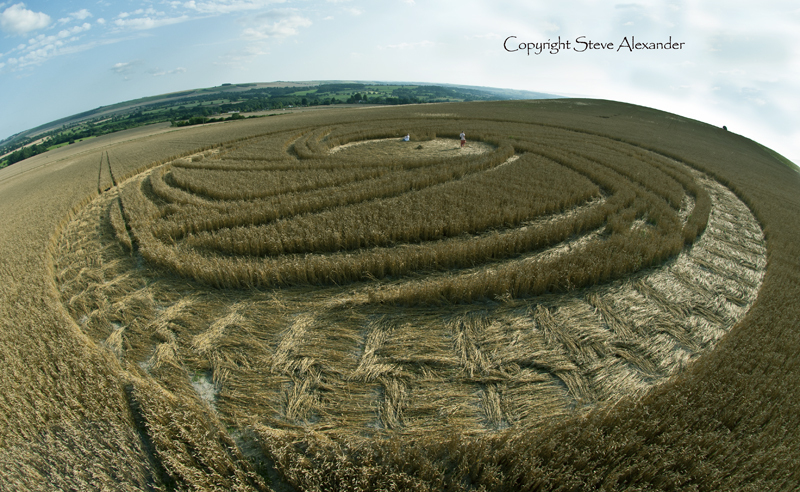 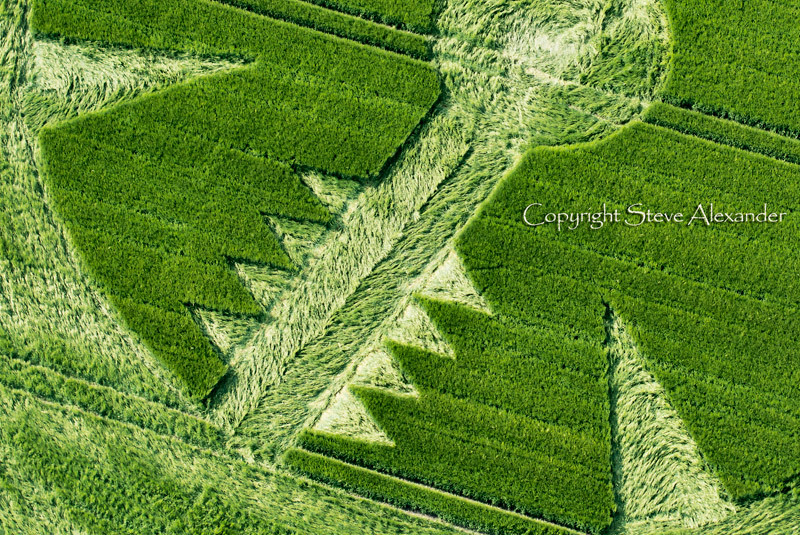 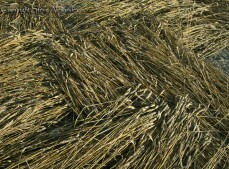 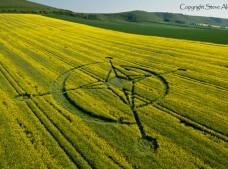 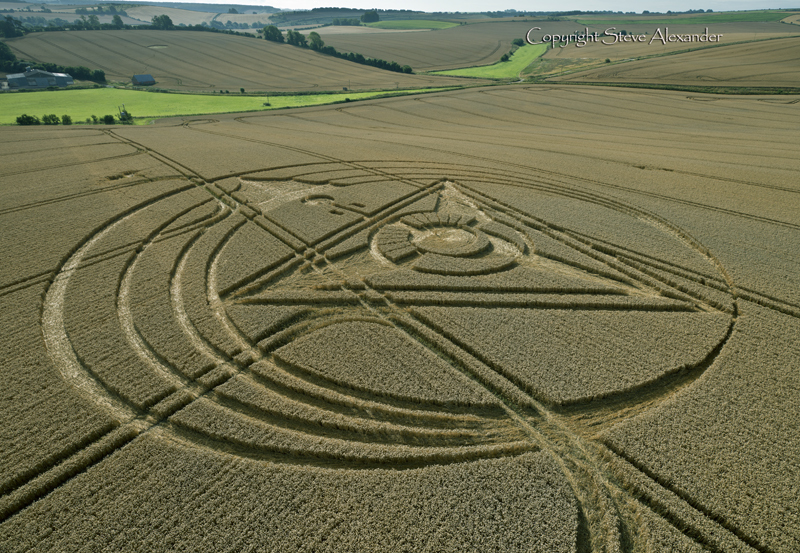 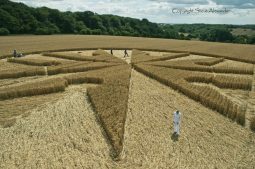 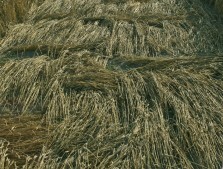 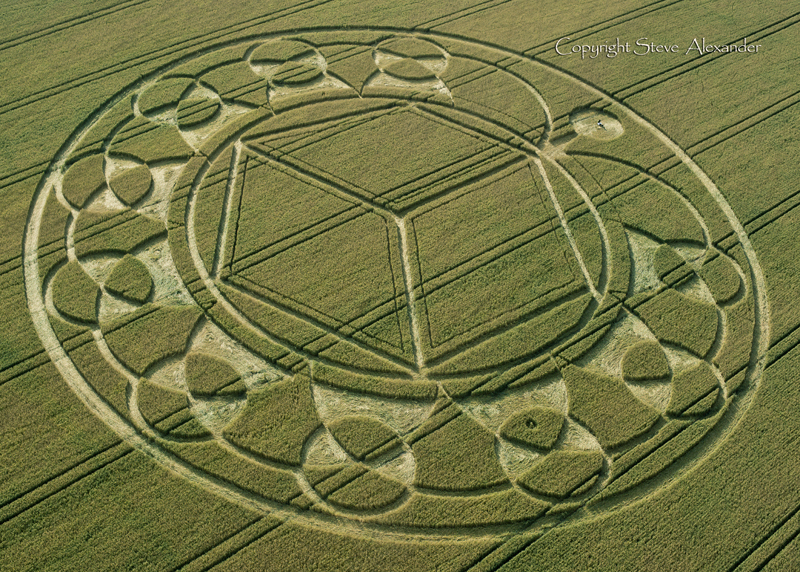 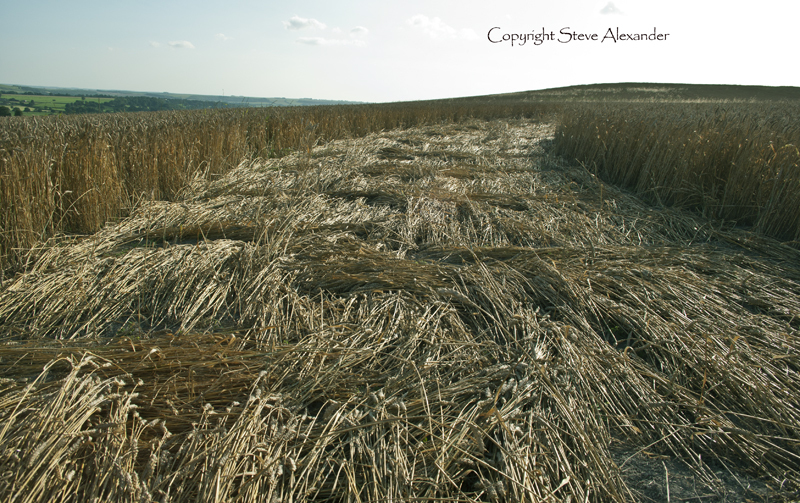 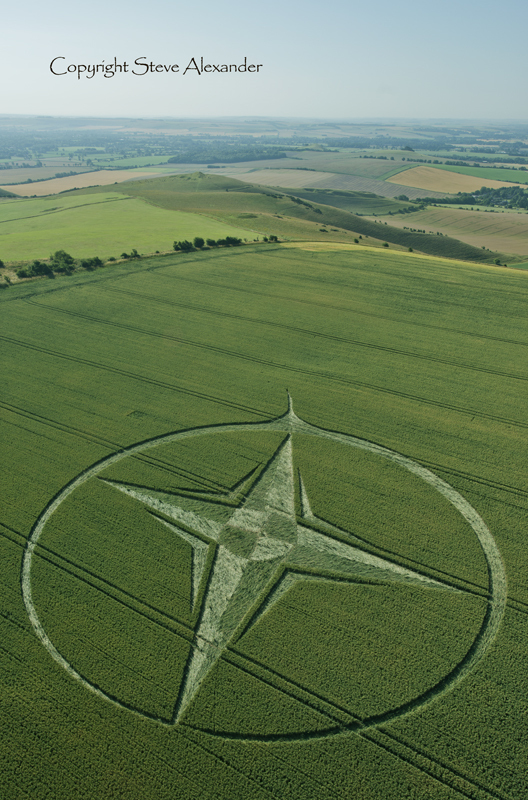 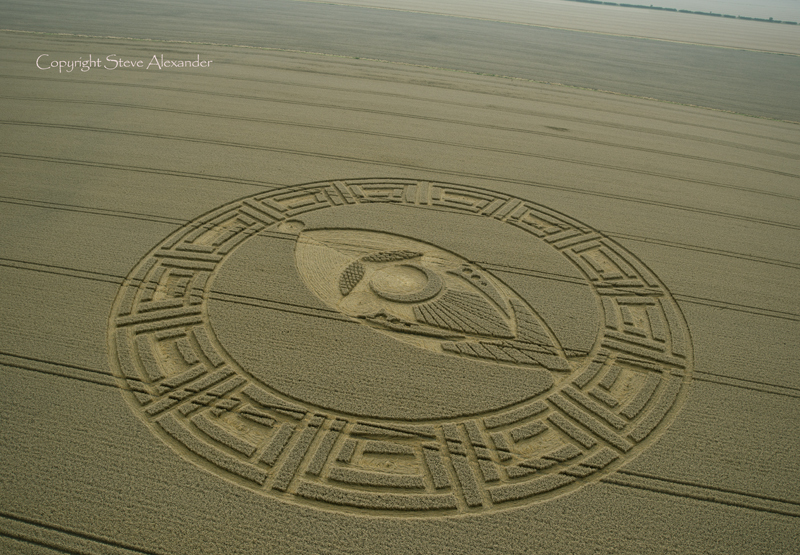 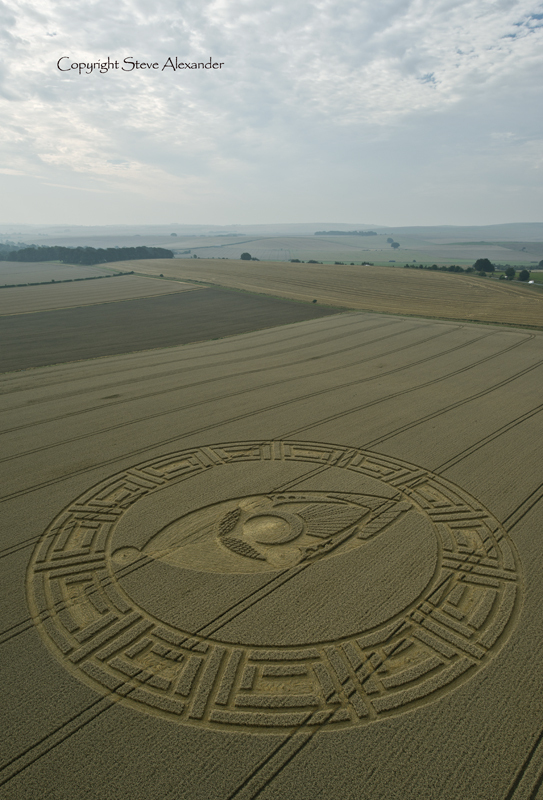 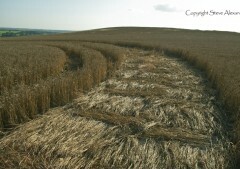 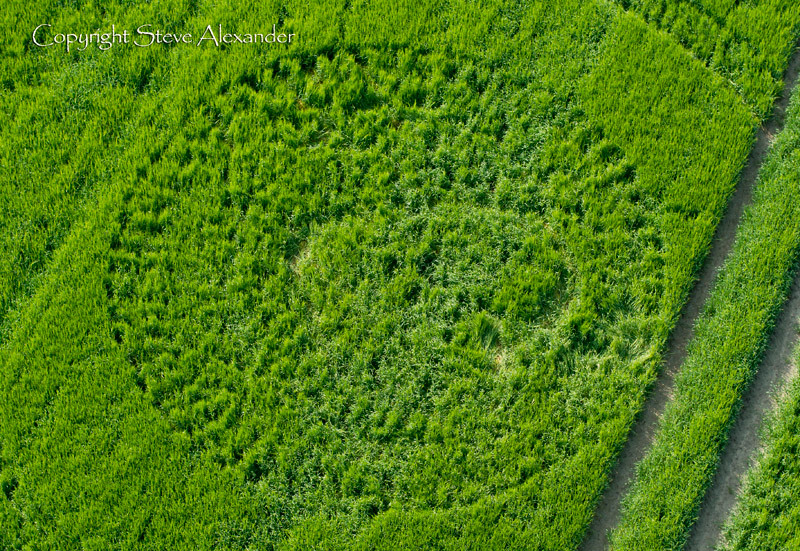 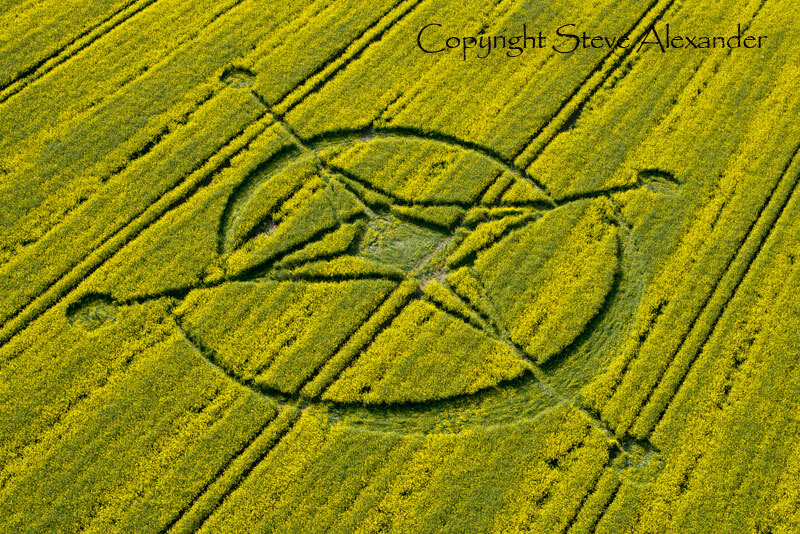 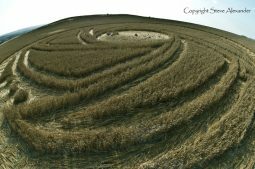 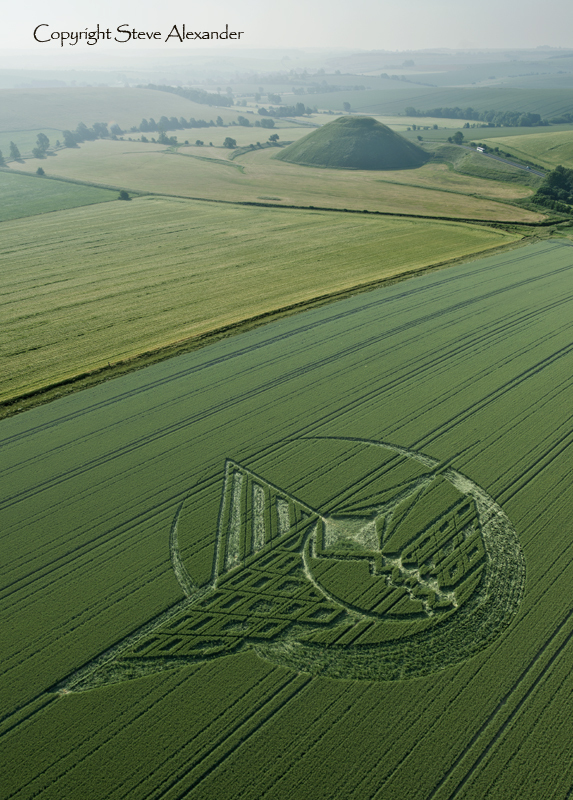 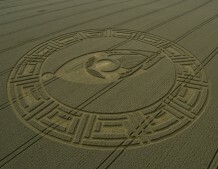 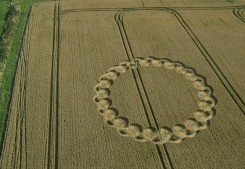 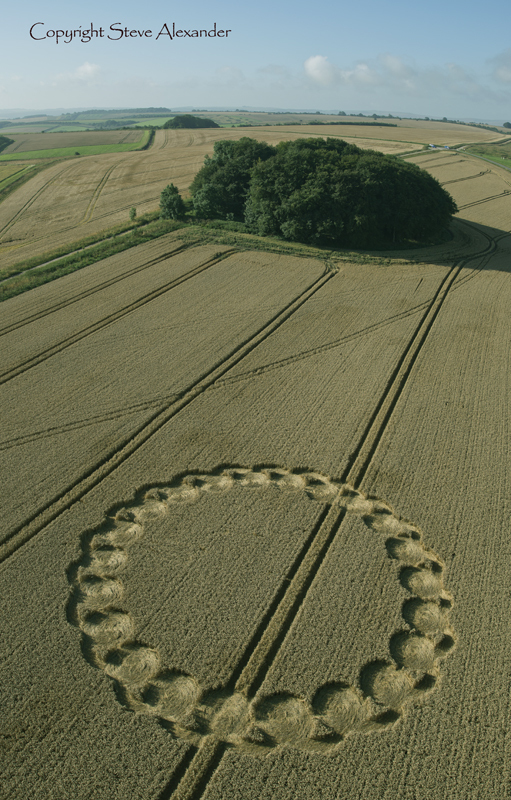 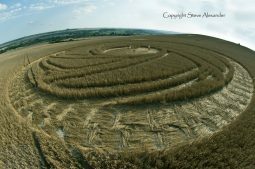 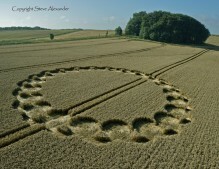 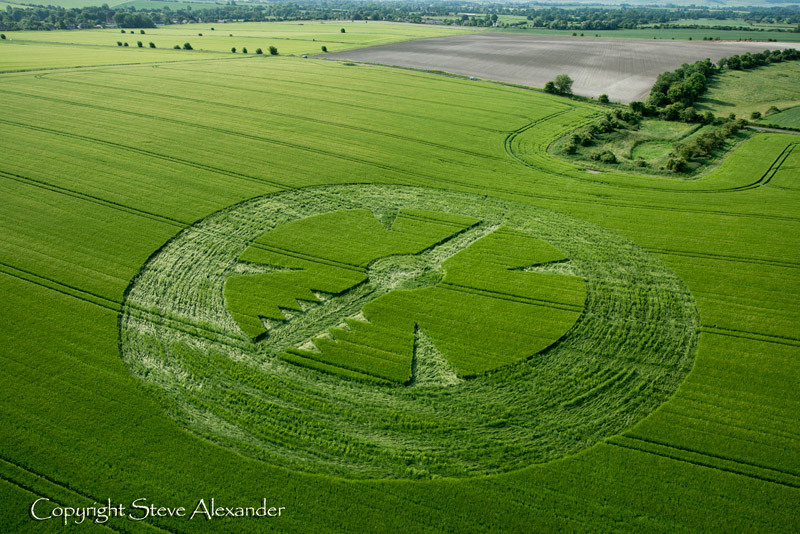 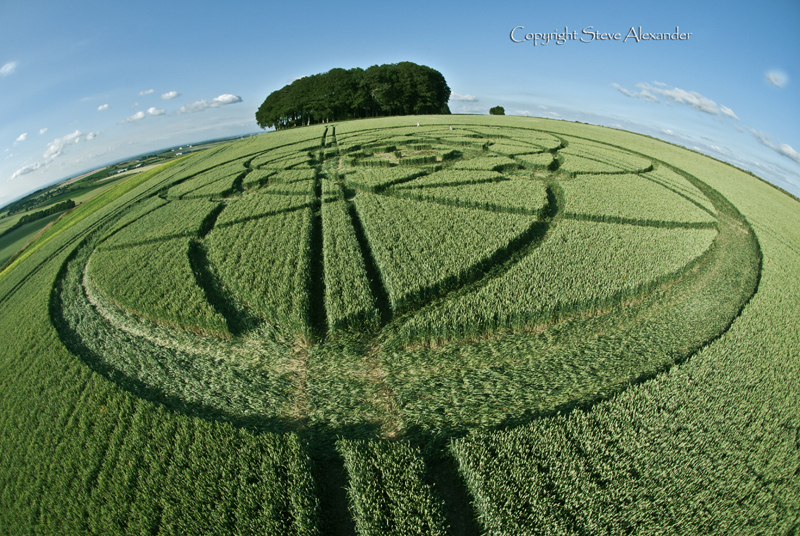 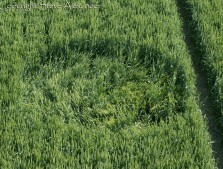 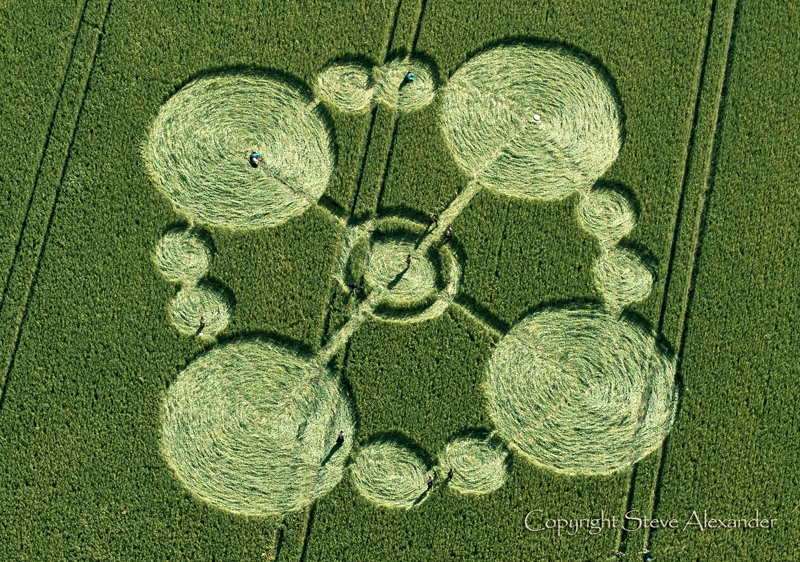 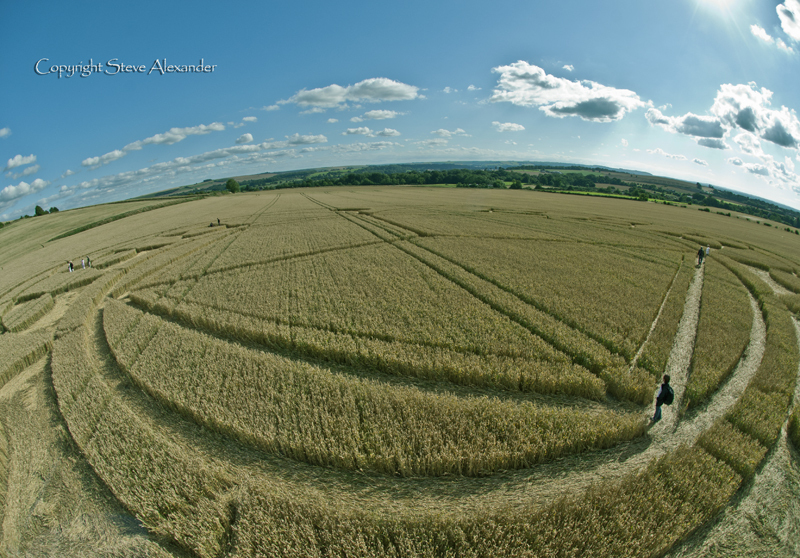 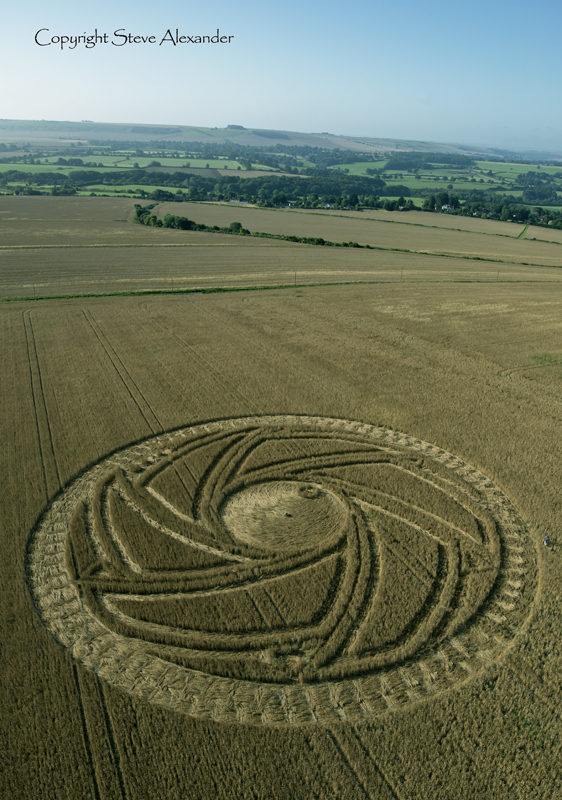 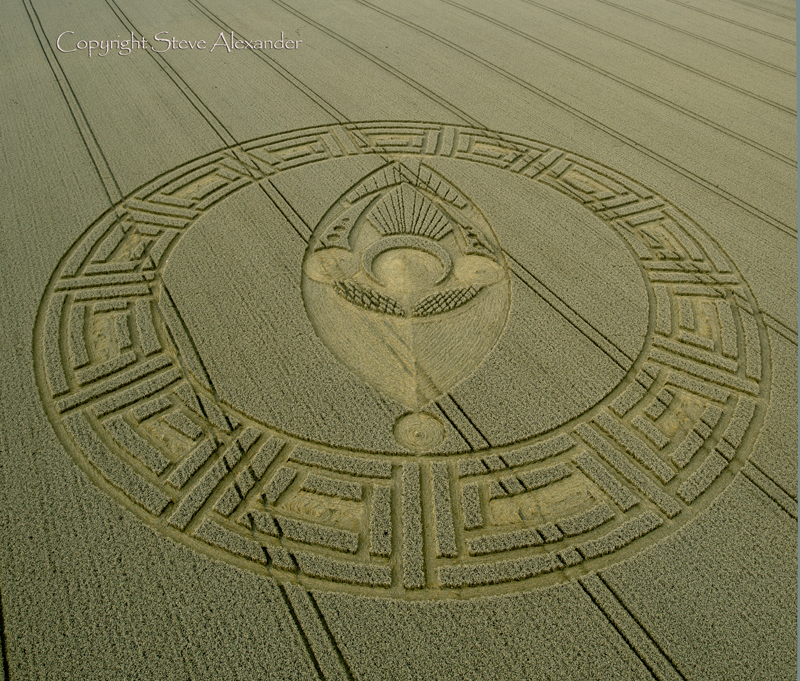 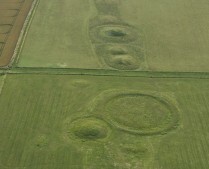 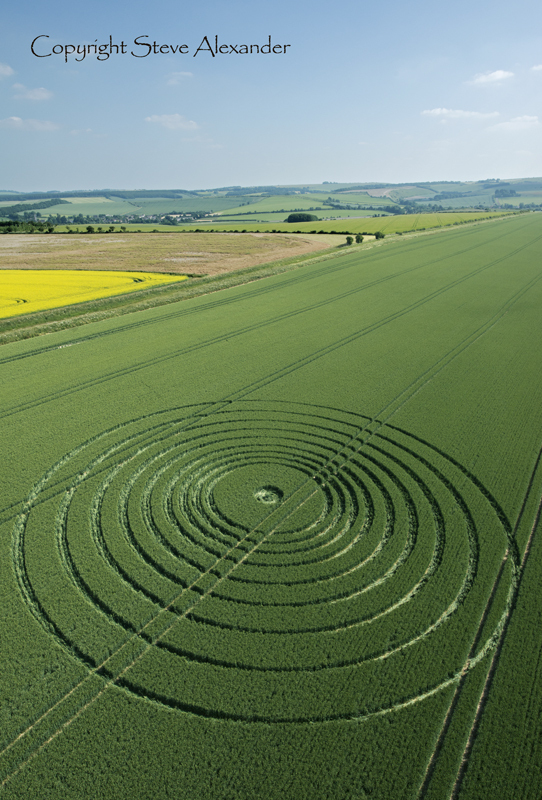 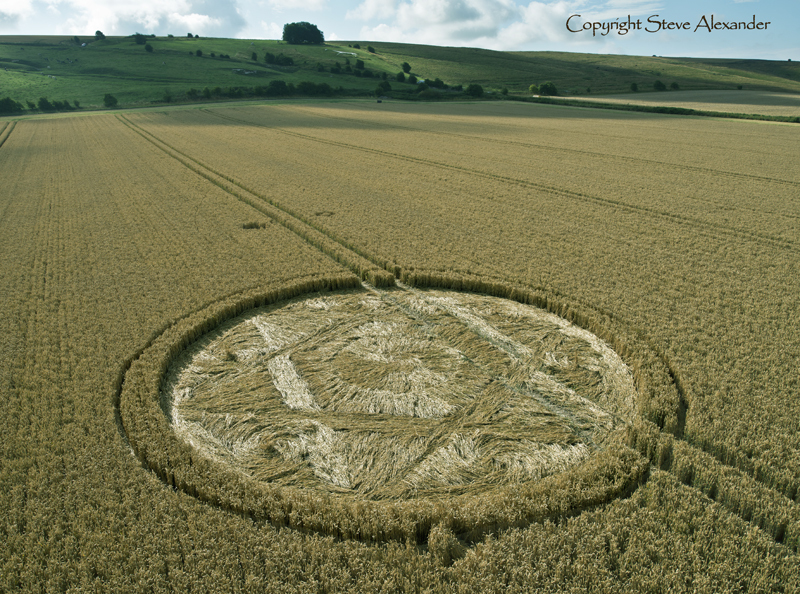 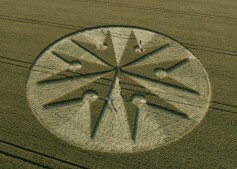 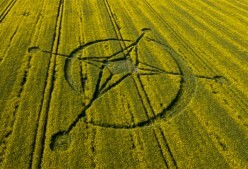 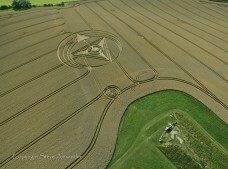 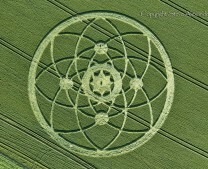 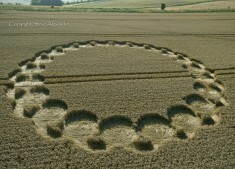 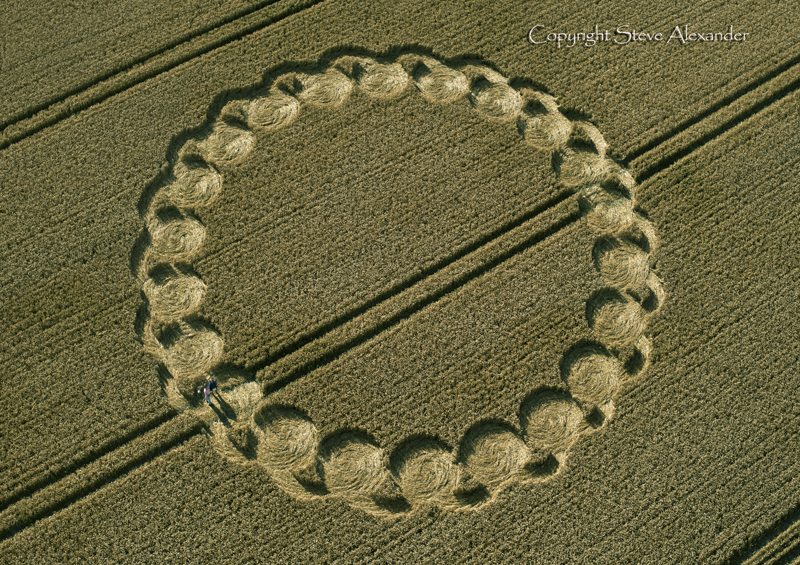 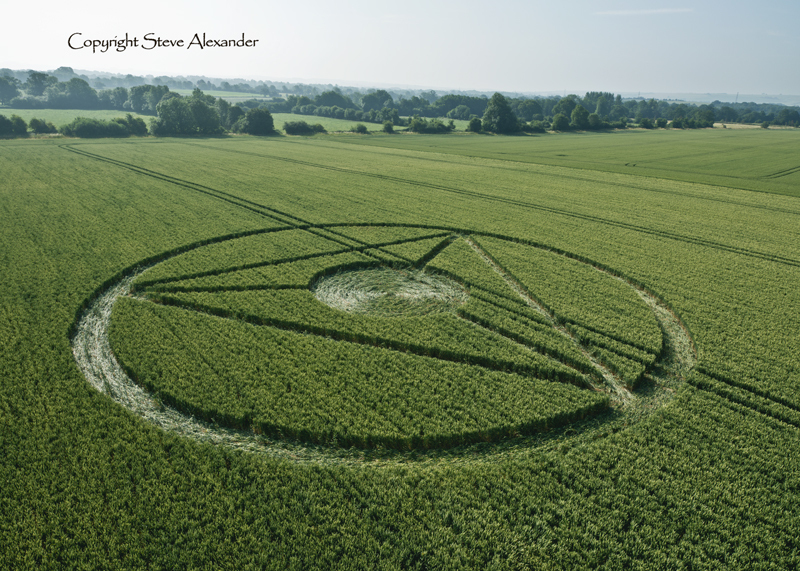 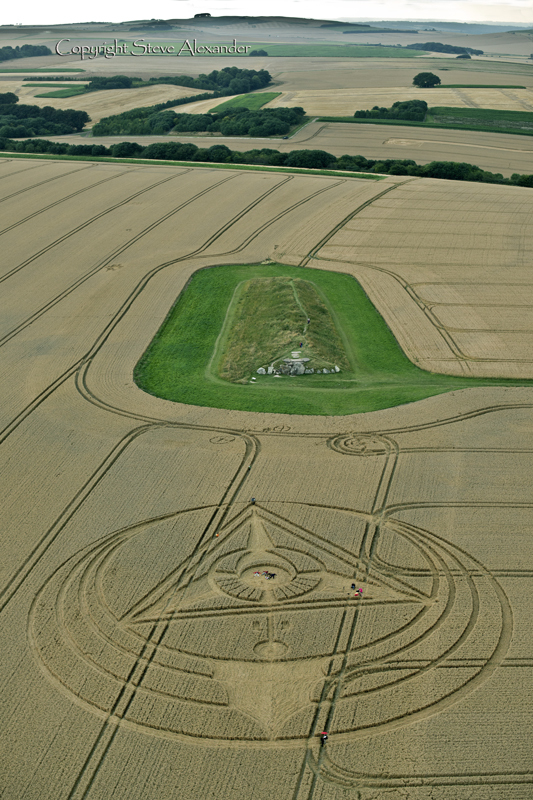 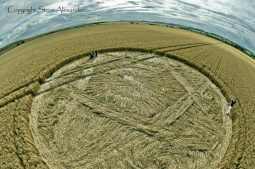 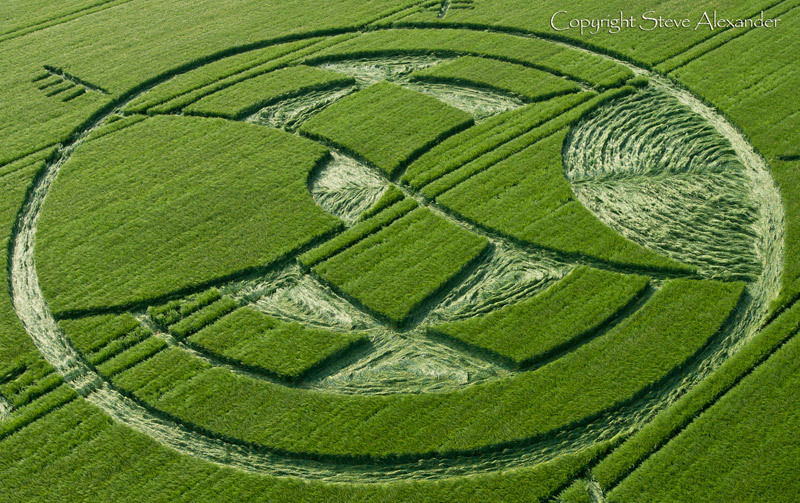 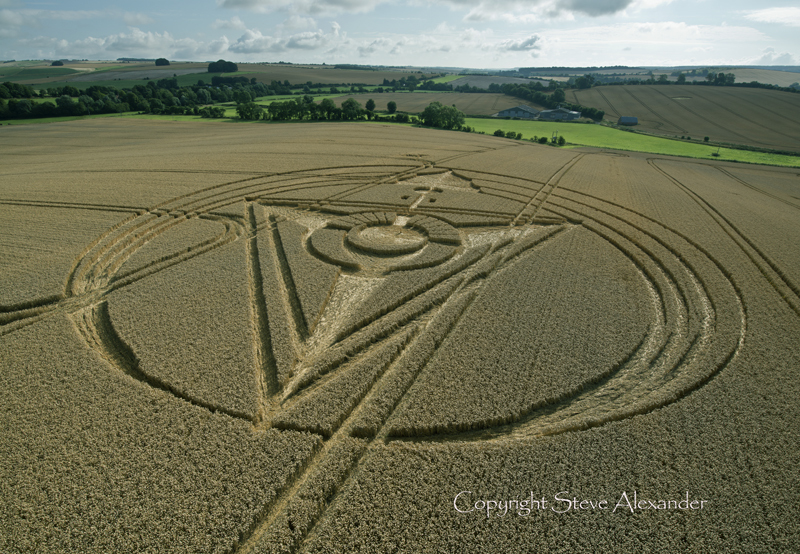 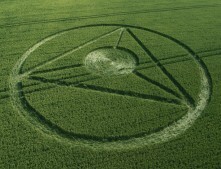 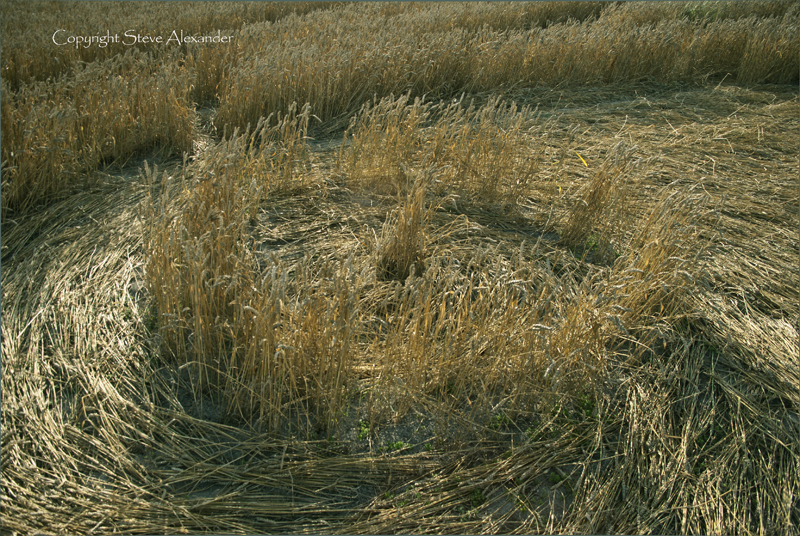 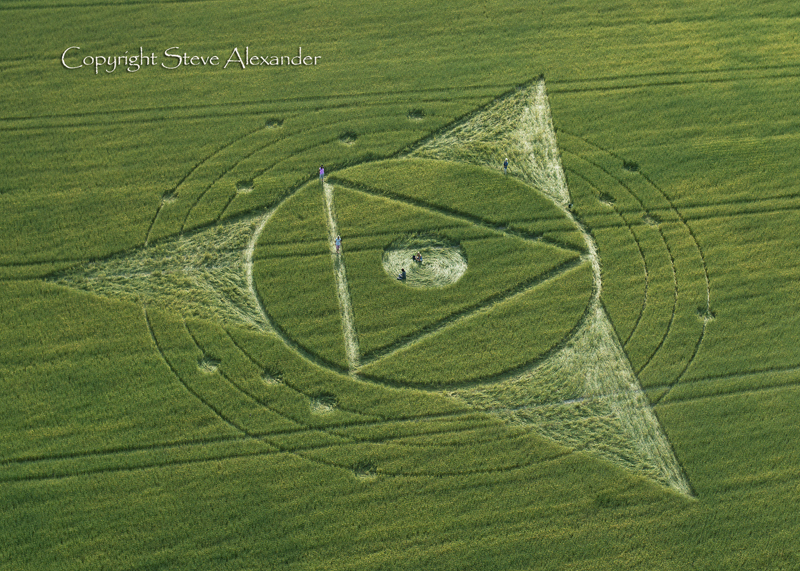 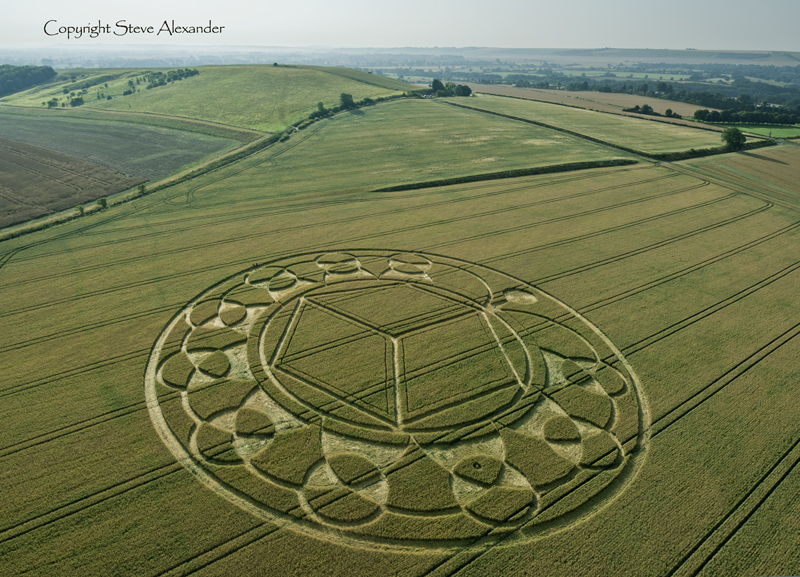 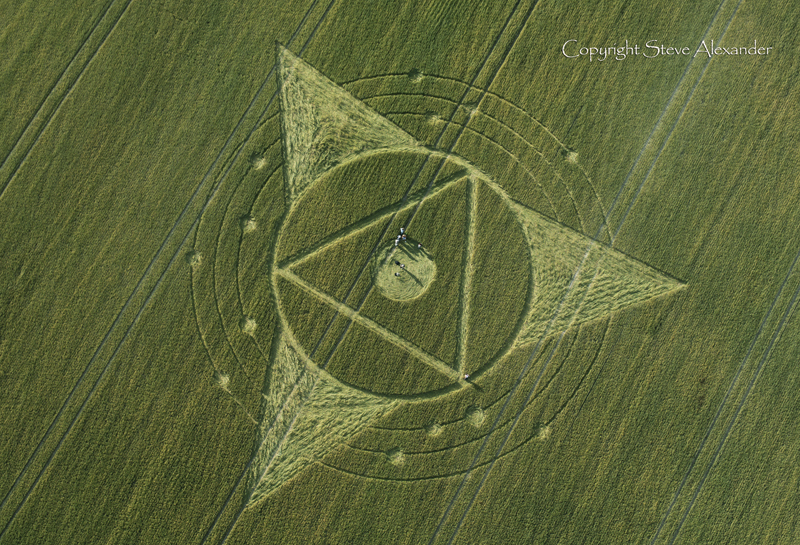 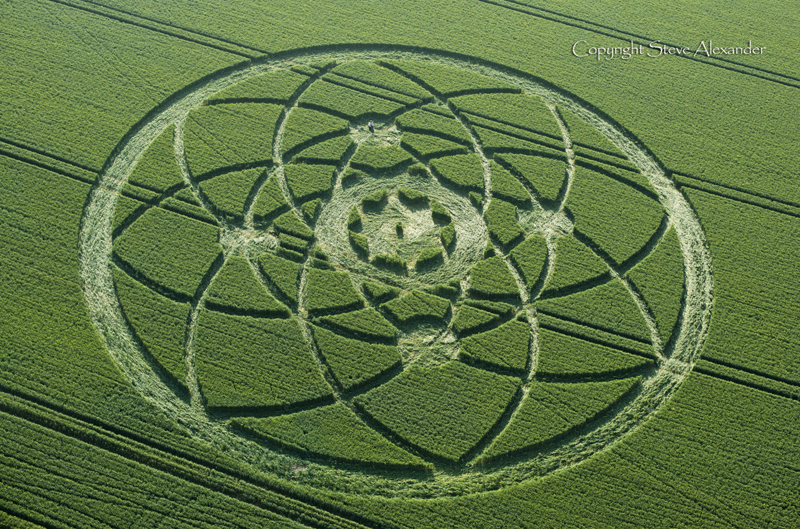 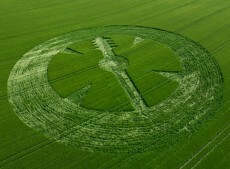 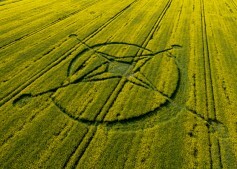 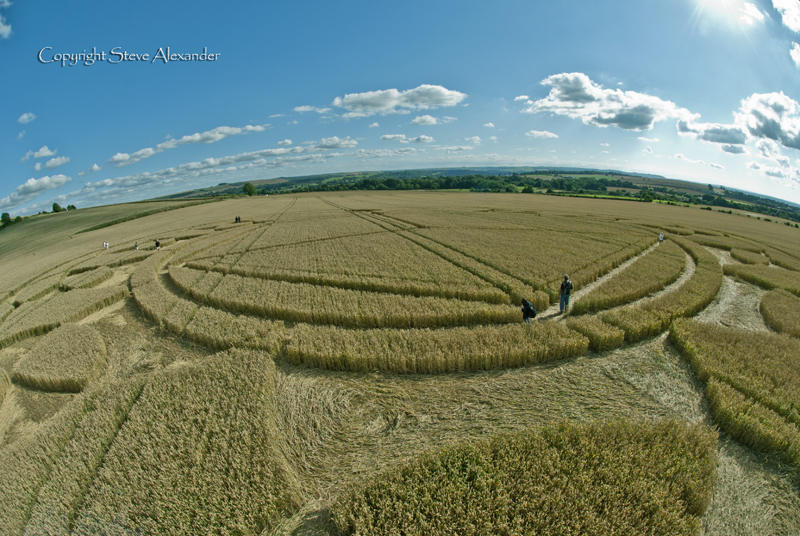 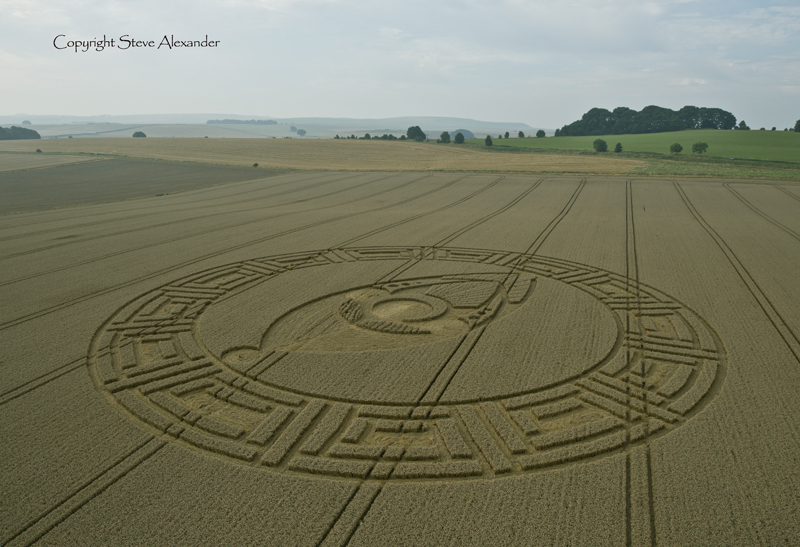 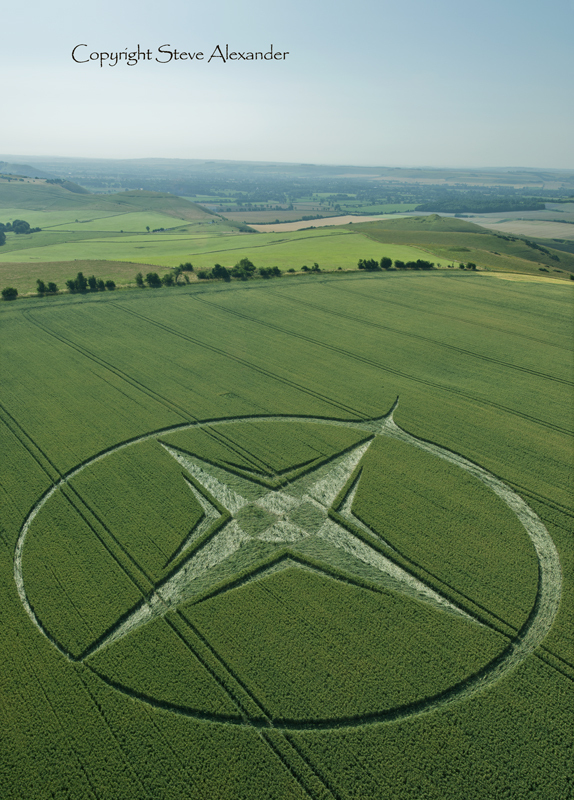 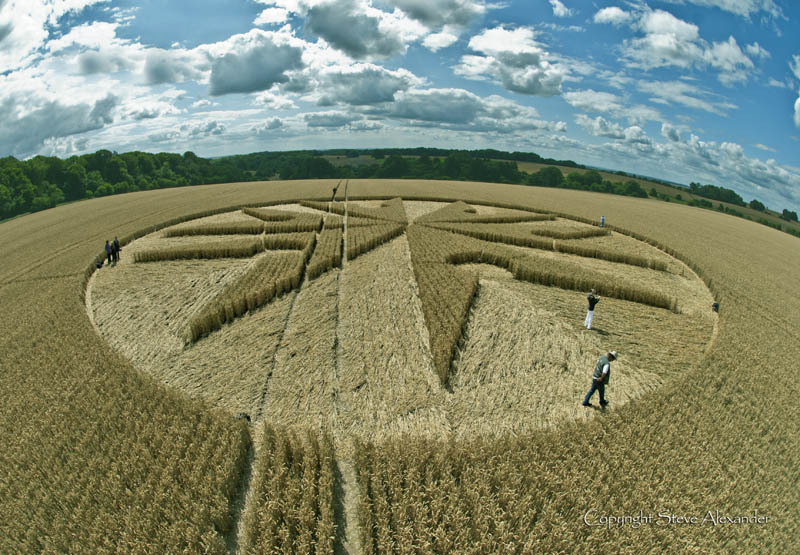 Other circles of note included the Six-fold circle at Chute, the small, but complex hexagram at Hackpen Hill and the clock/compass at West Kennet. 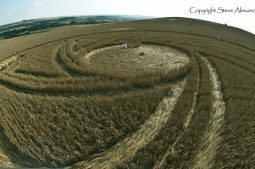 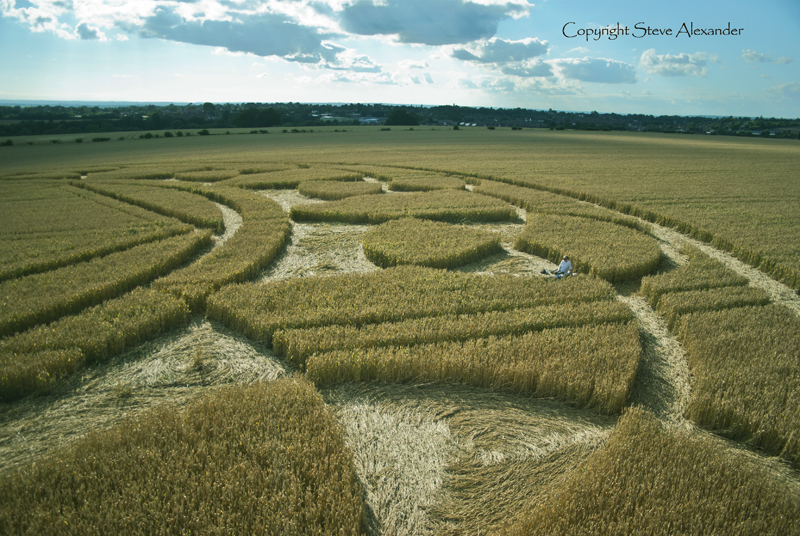 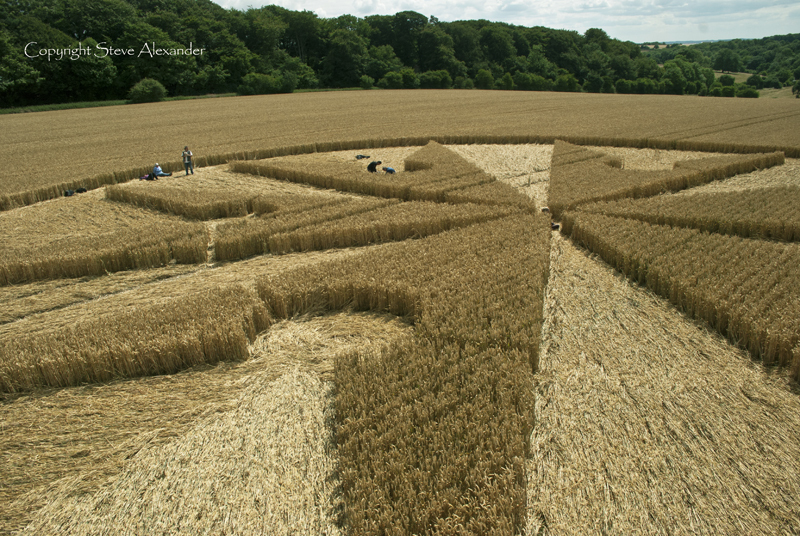 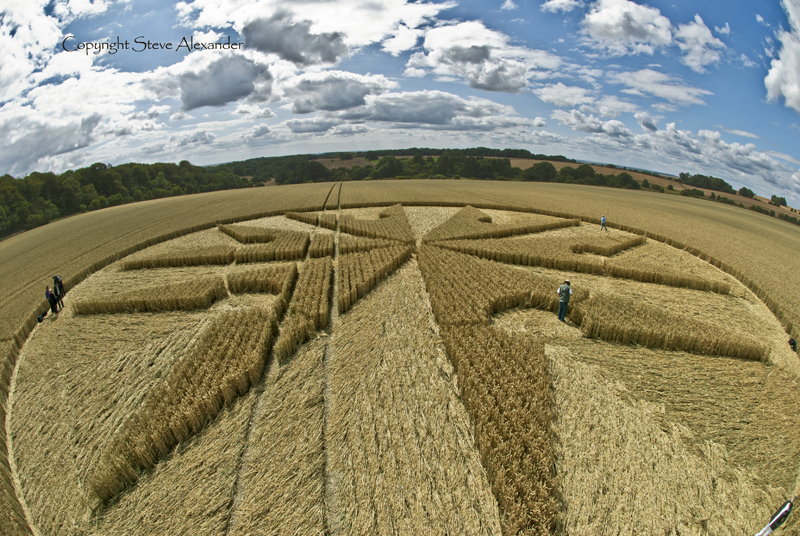 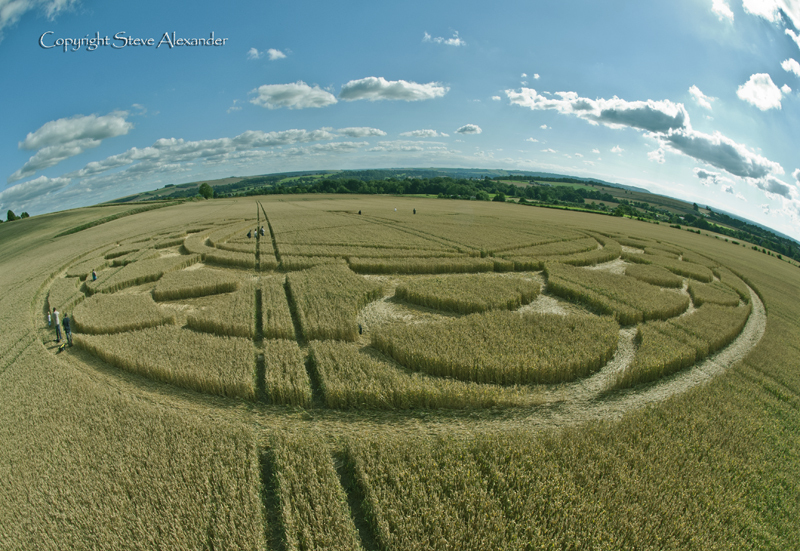 The year culminated with a huge design at Cooks Plantation; striking, elaborate, enigmatic, and the final circle at Hackpen Hill containing 72 standing squares.